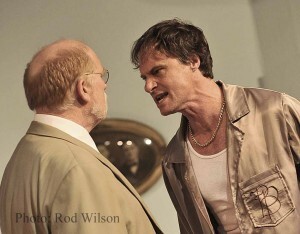 As the saying goes “what goes around comes around” and with this play that seems to happen on a frequent basis. 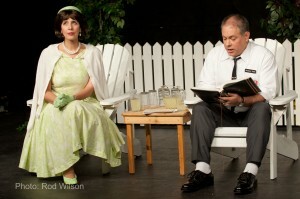 The most notable performance would have to be the 1968 film starring Jack Lemmon and Walter Mathau. 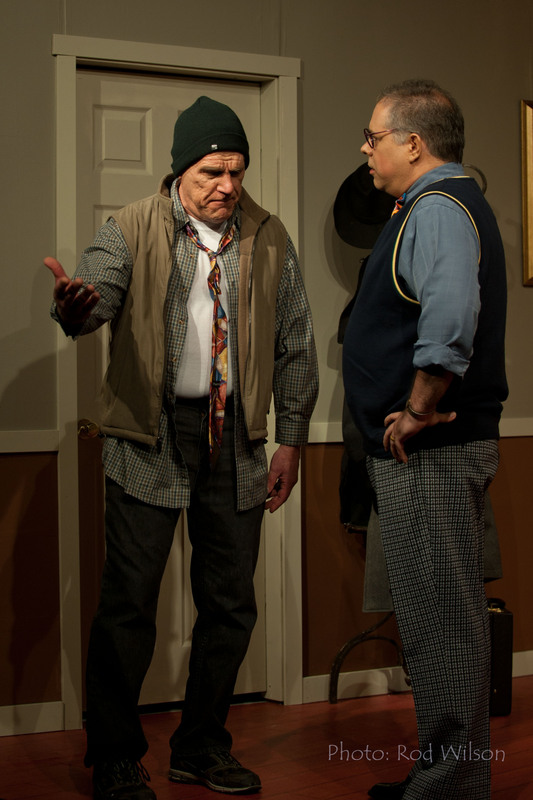 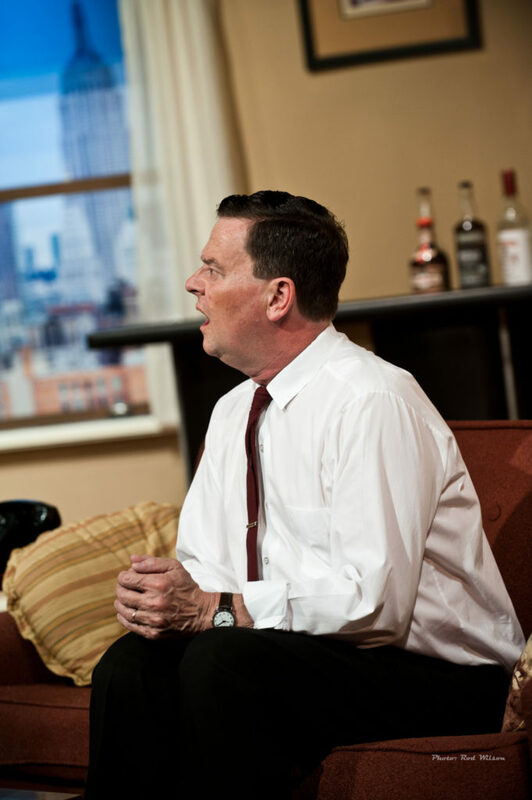 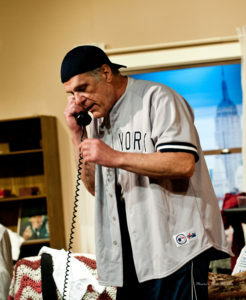 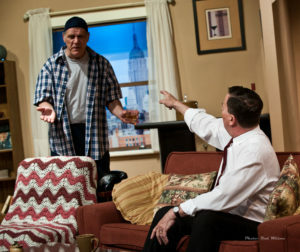 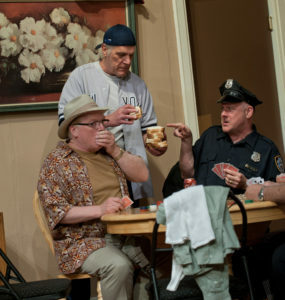 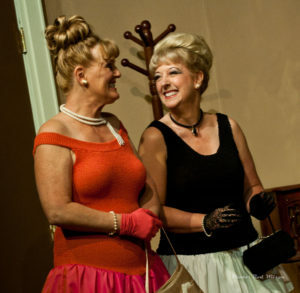 They followed that with their reprised roles in The Odd Couple II, directed by Neil Simon. 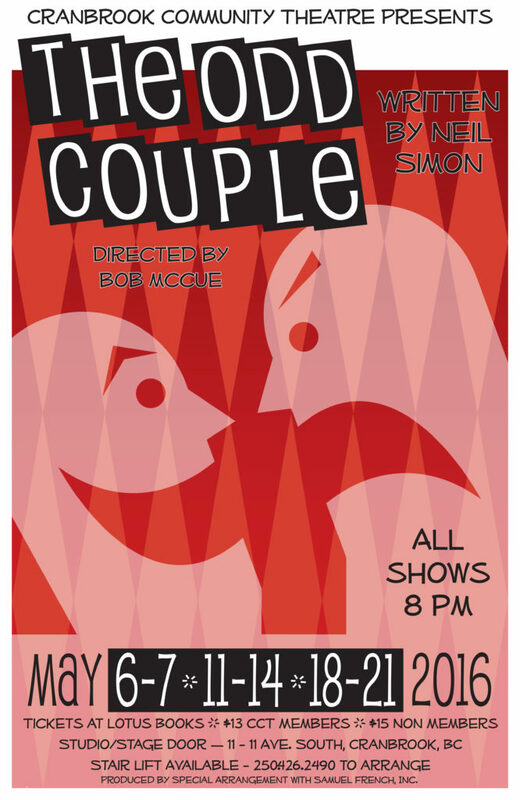 Now, here we are in 2016 and the show is once again the inspiration for another TV series, oddly enough called The Odd Couple. 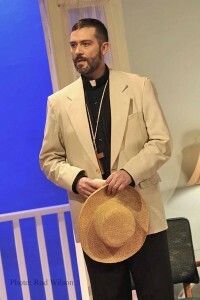 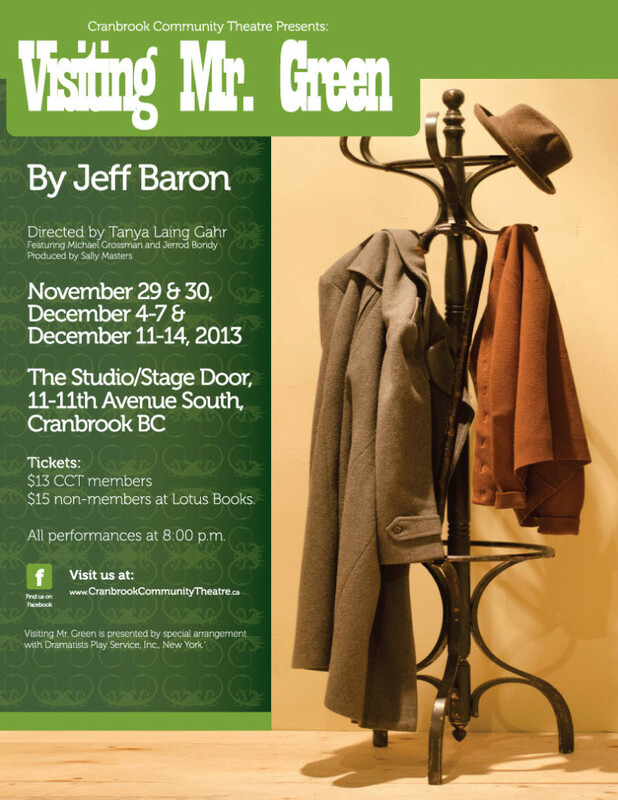 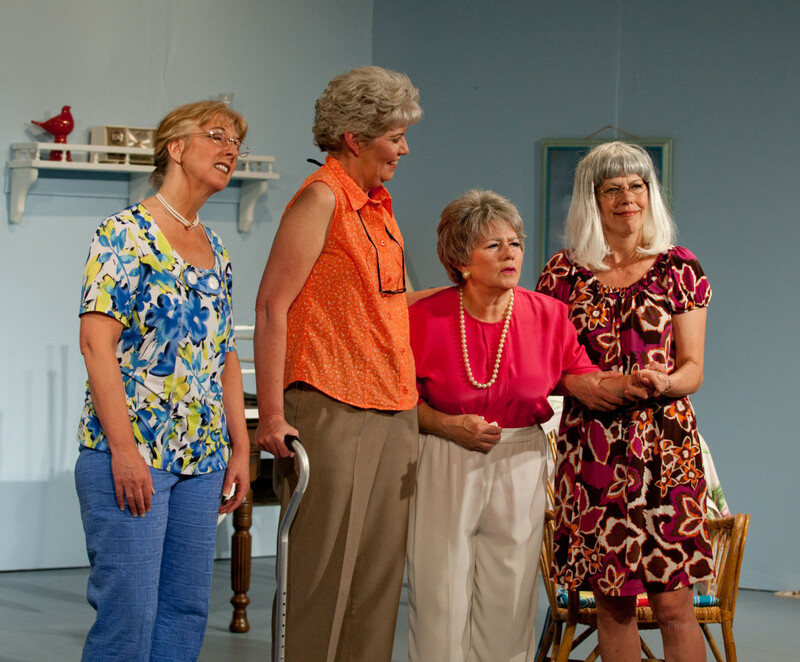 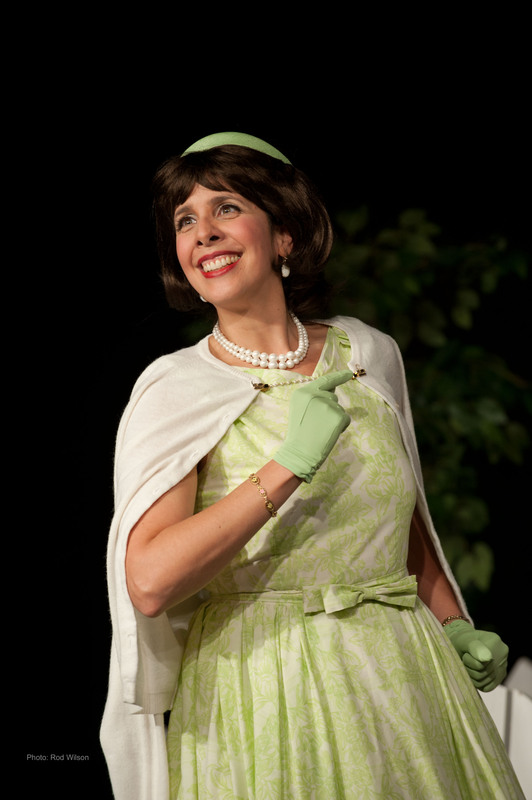 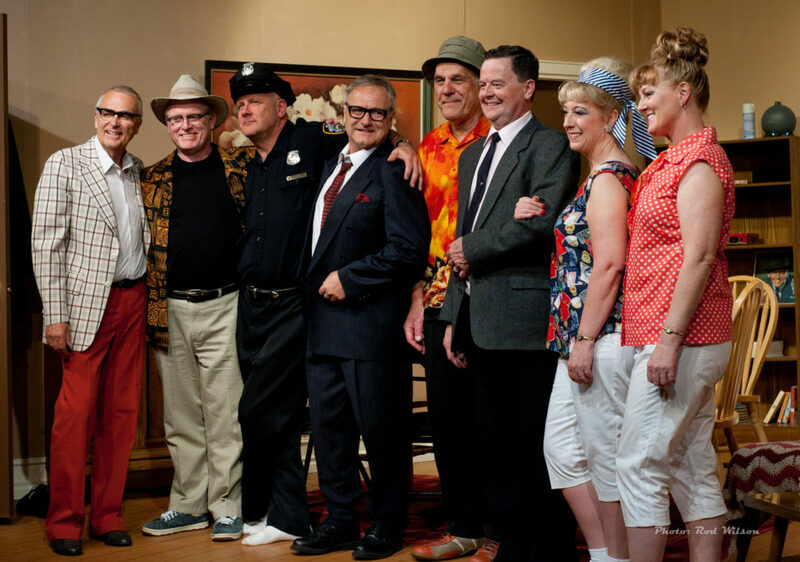 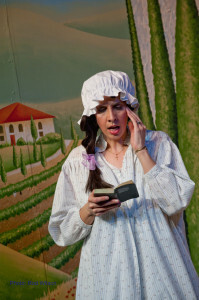 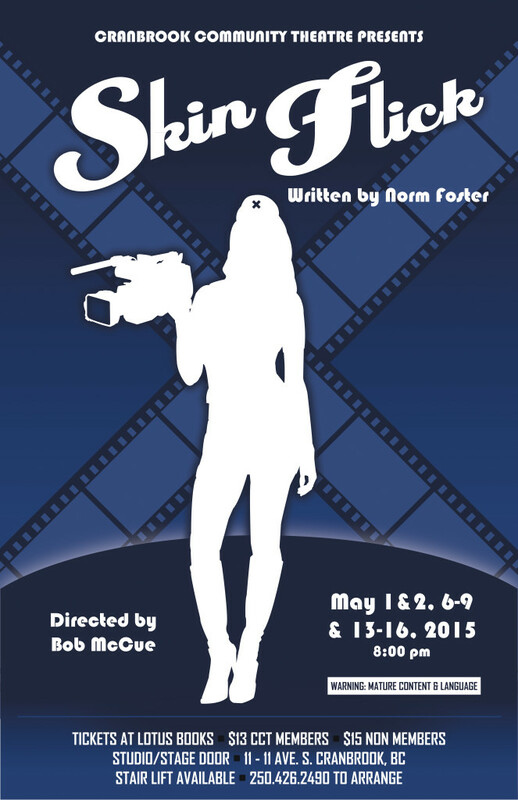 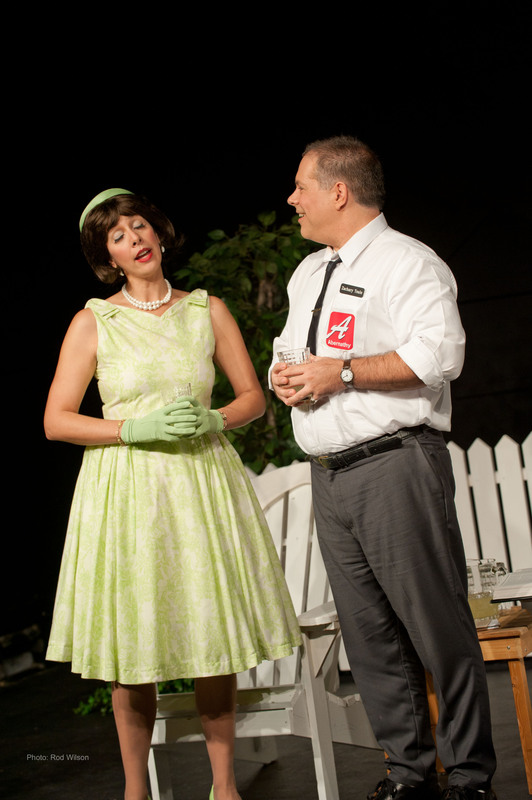 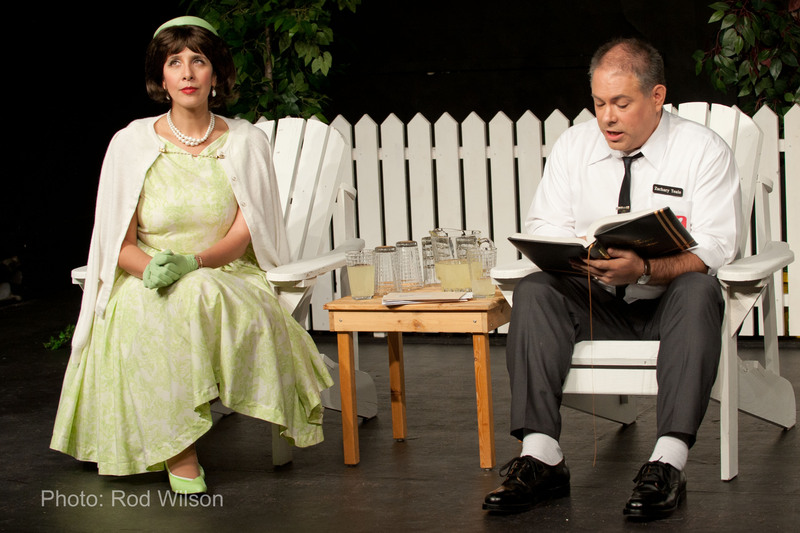 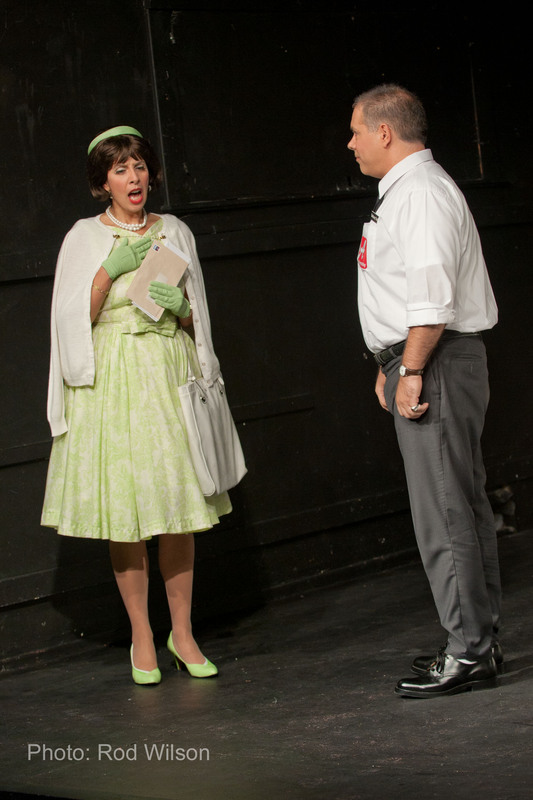 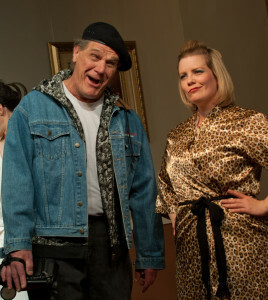 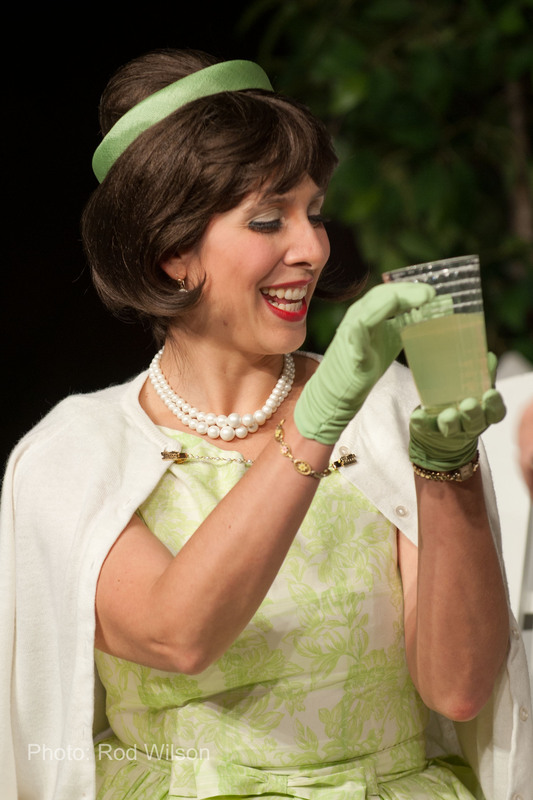 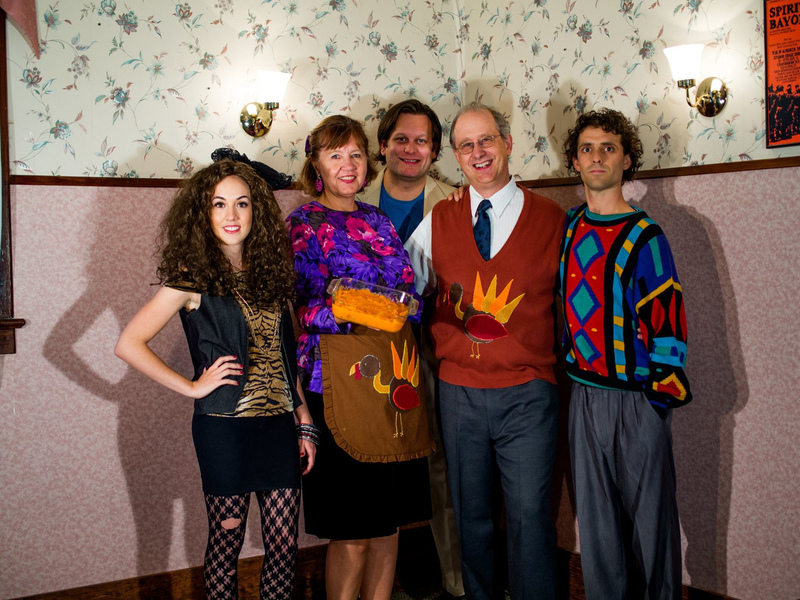 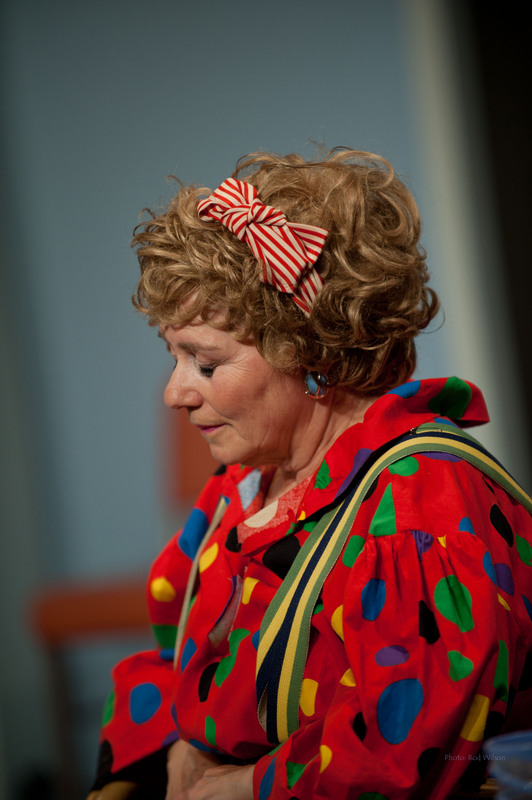 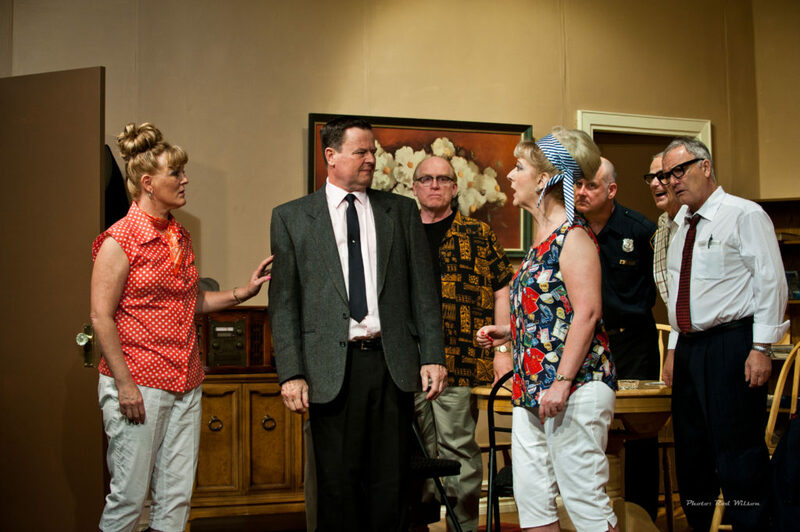 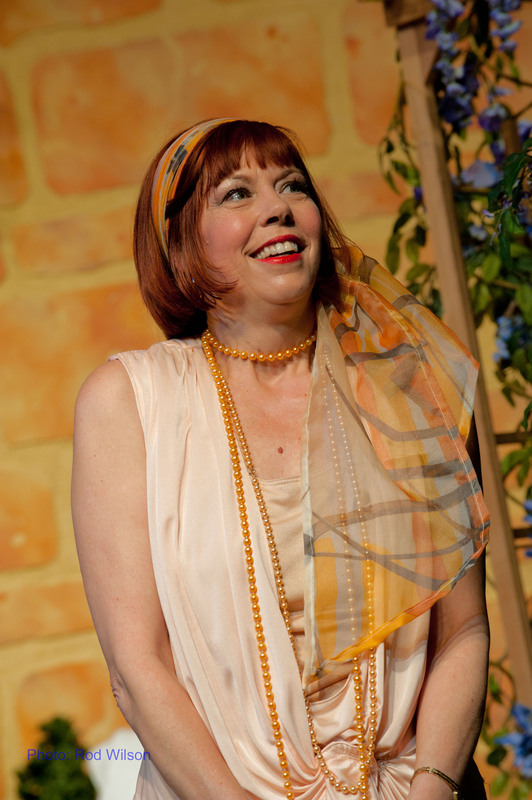 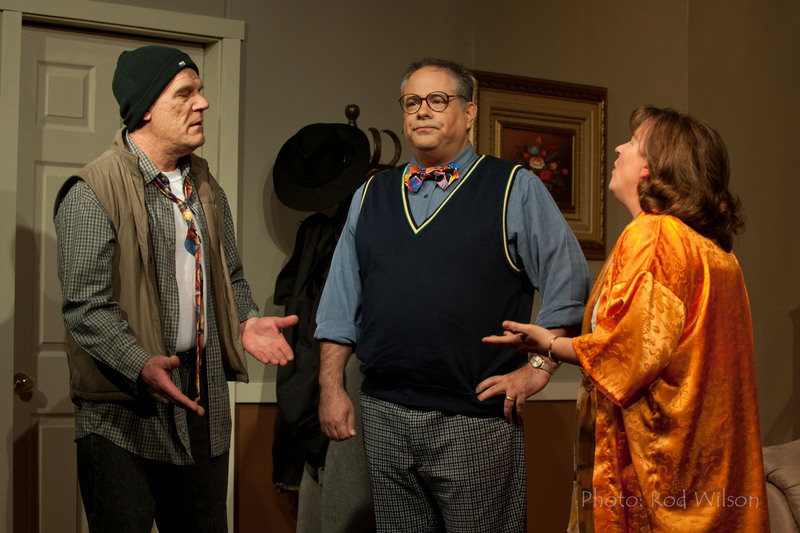 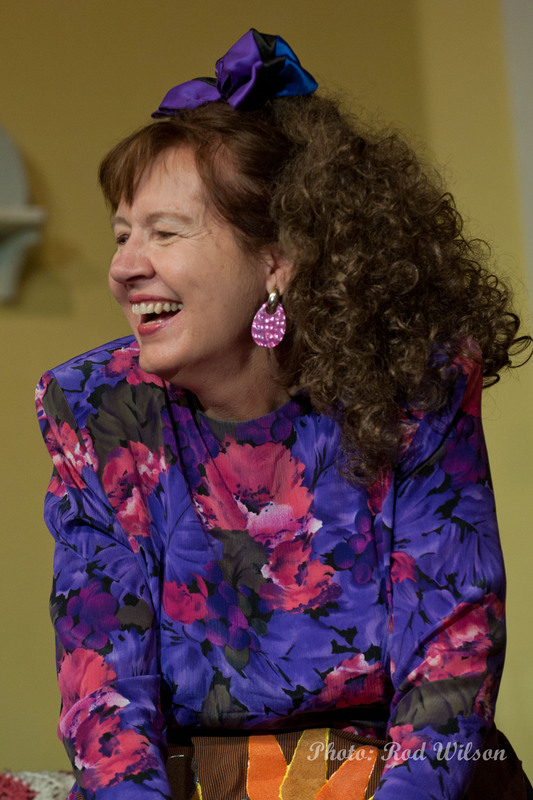 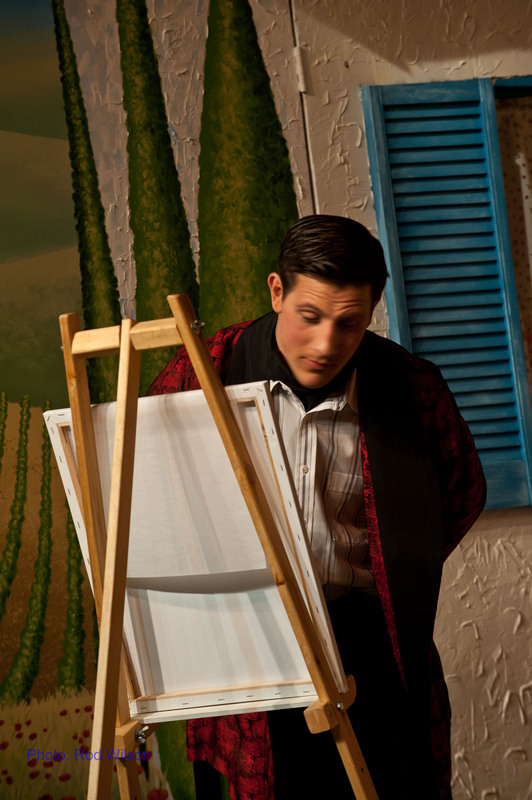 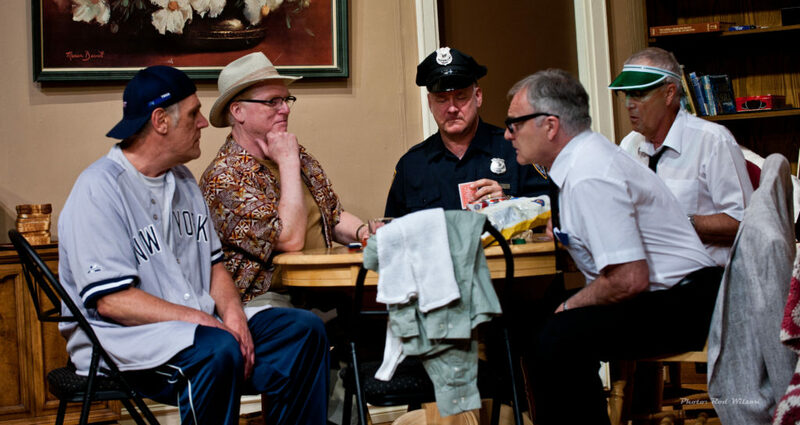 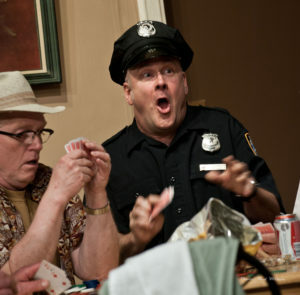 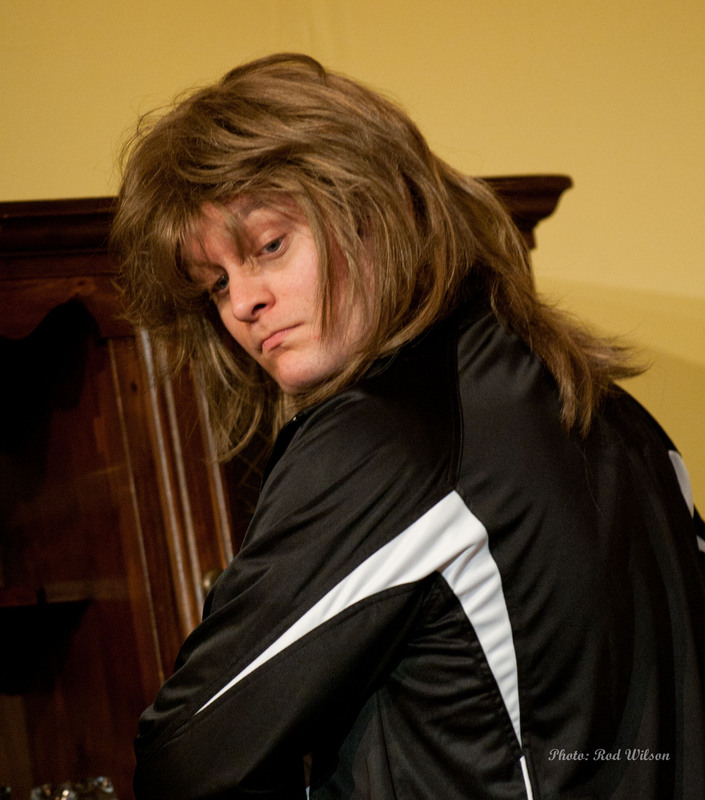 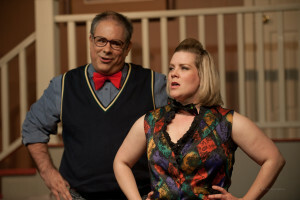 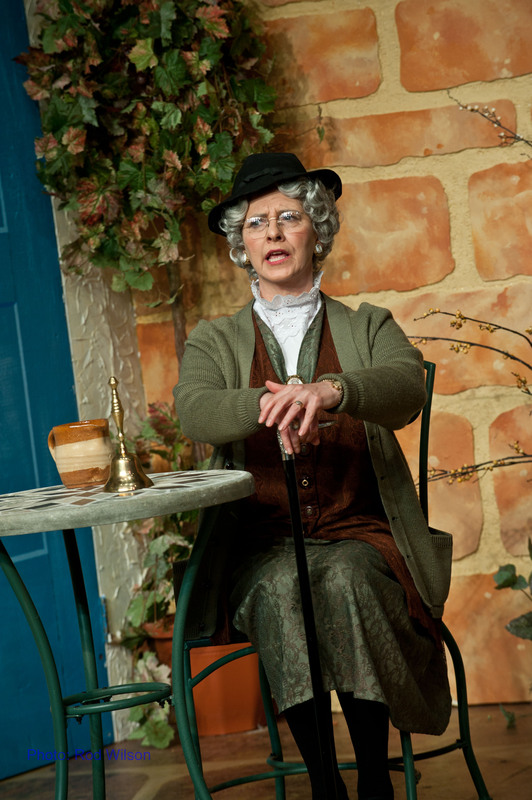 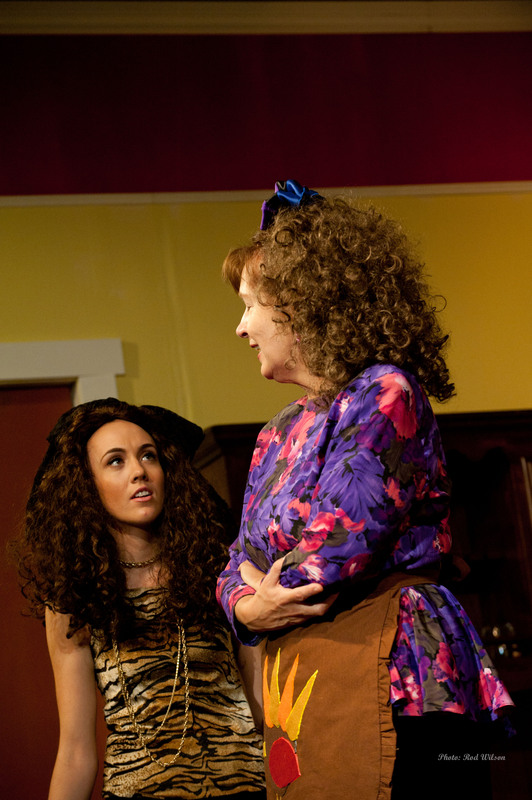 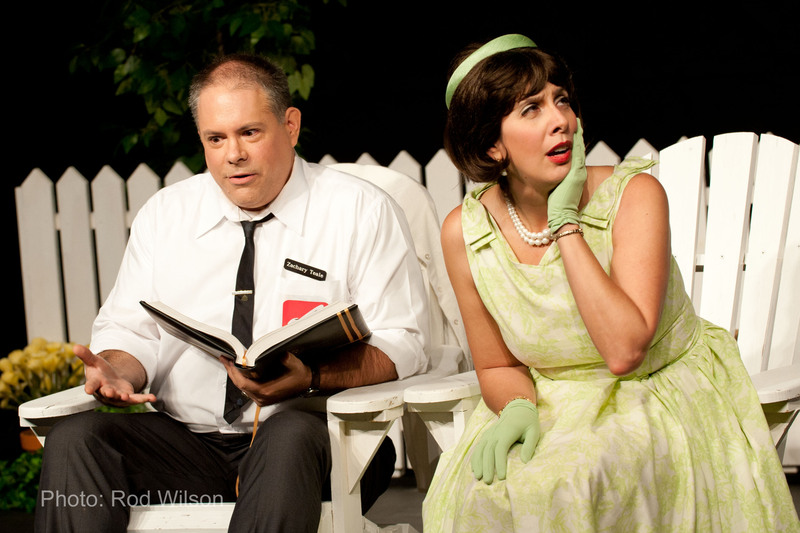 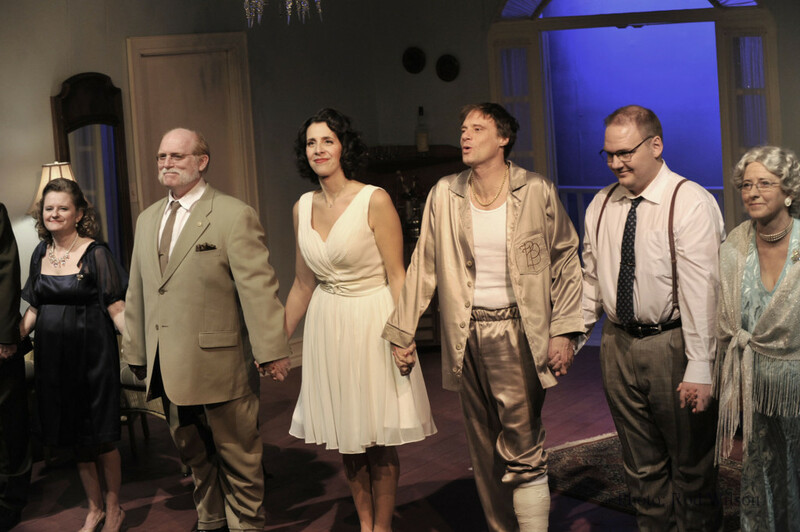 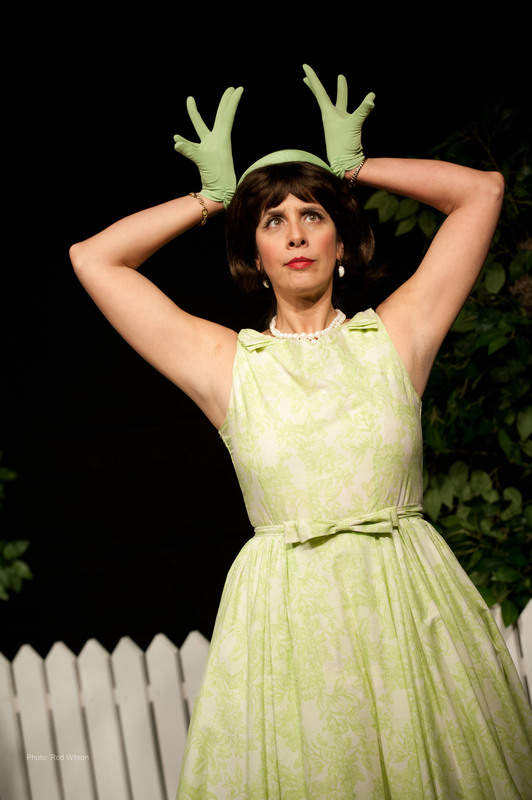 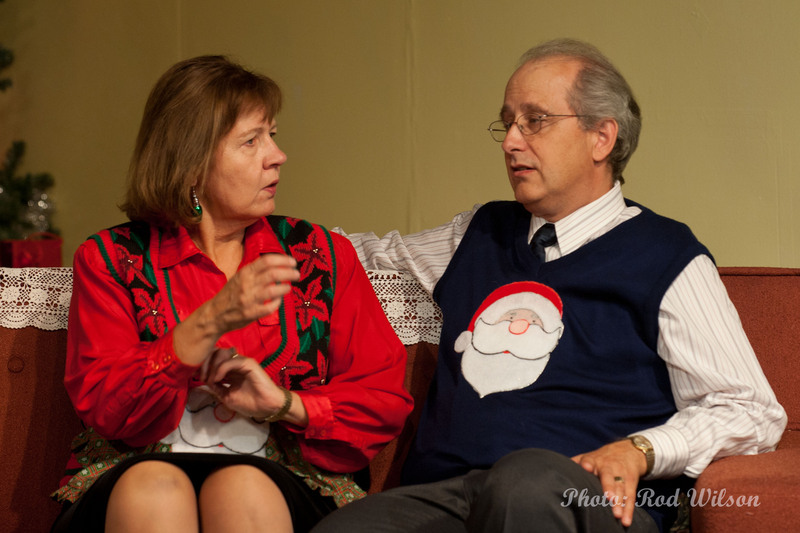 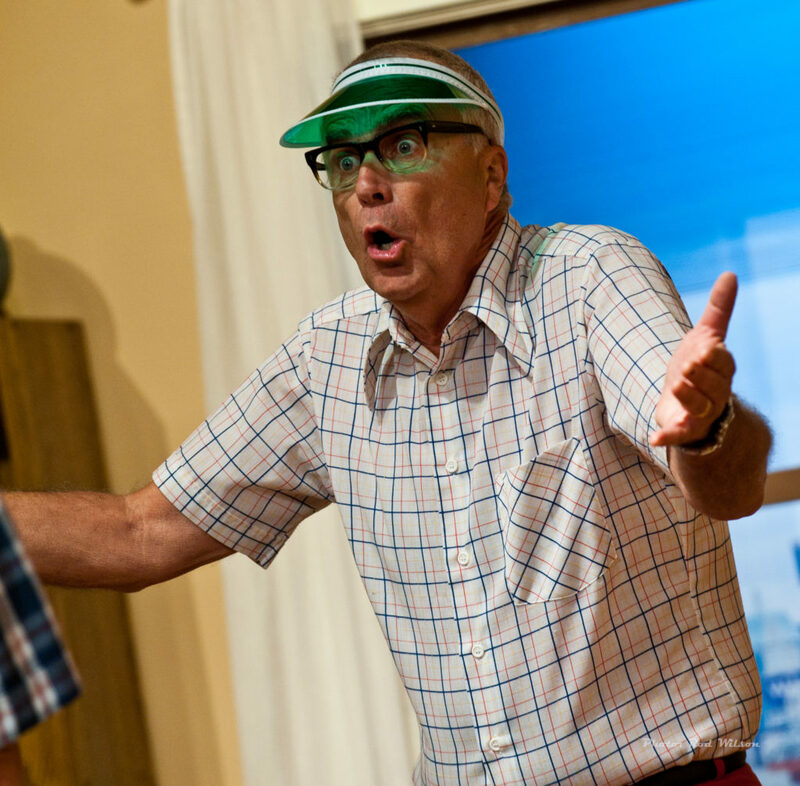 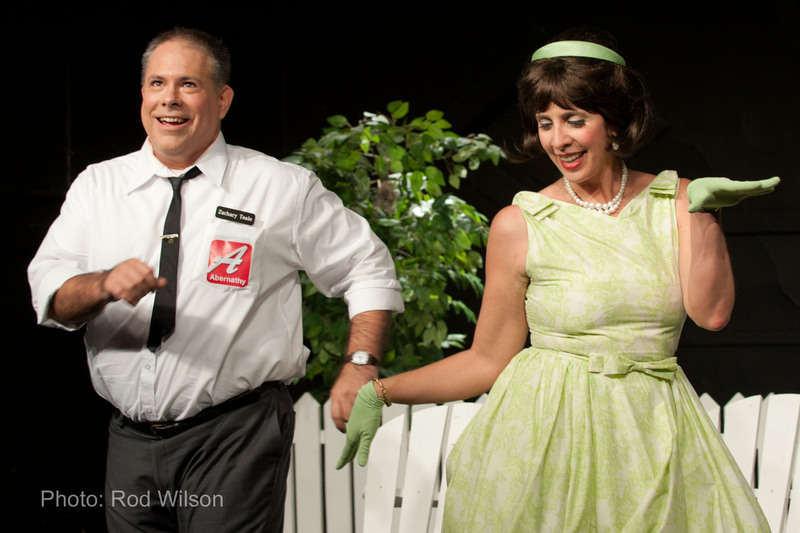 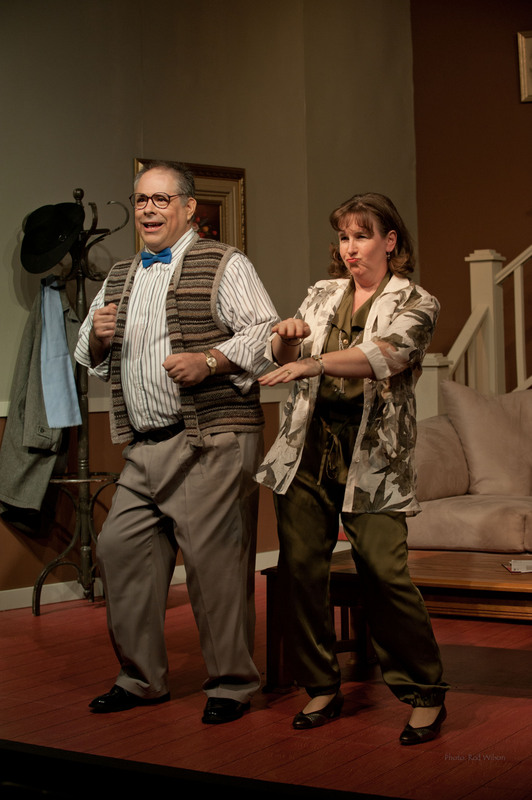 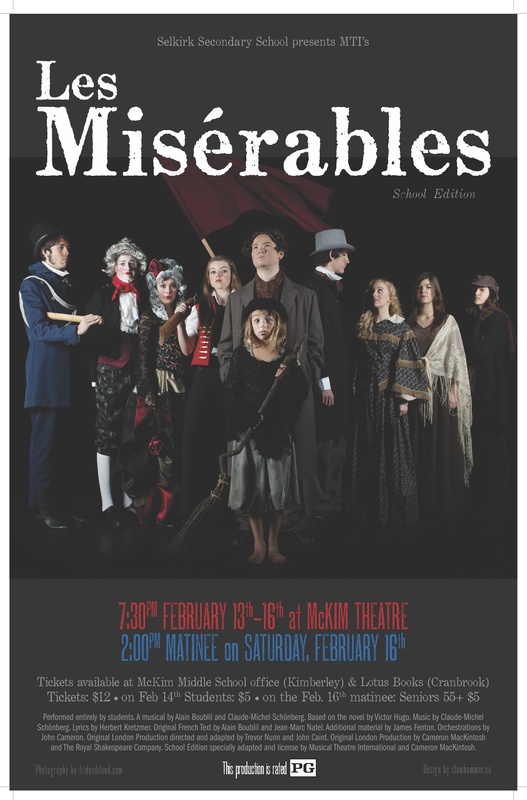 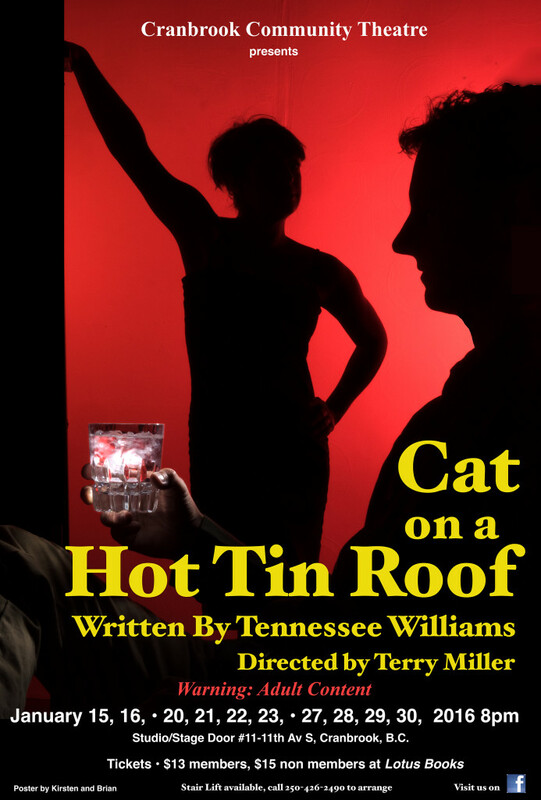 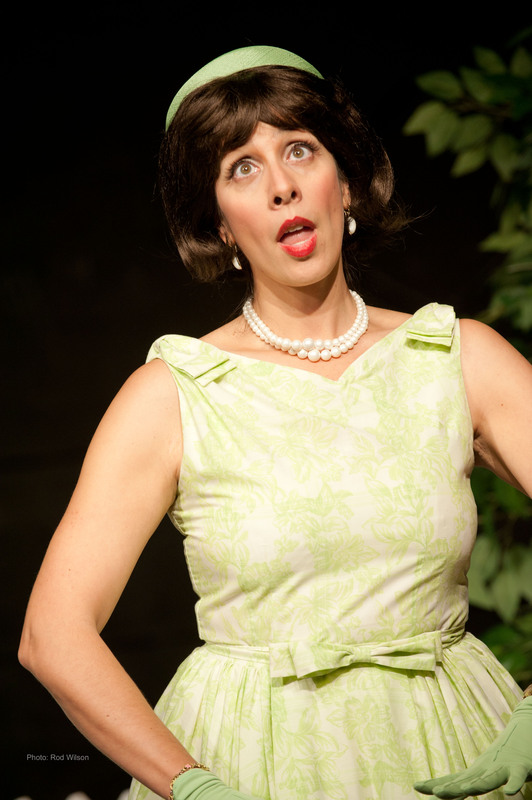 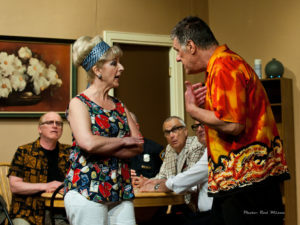 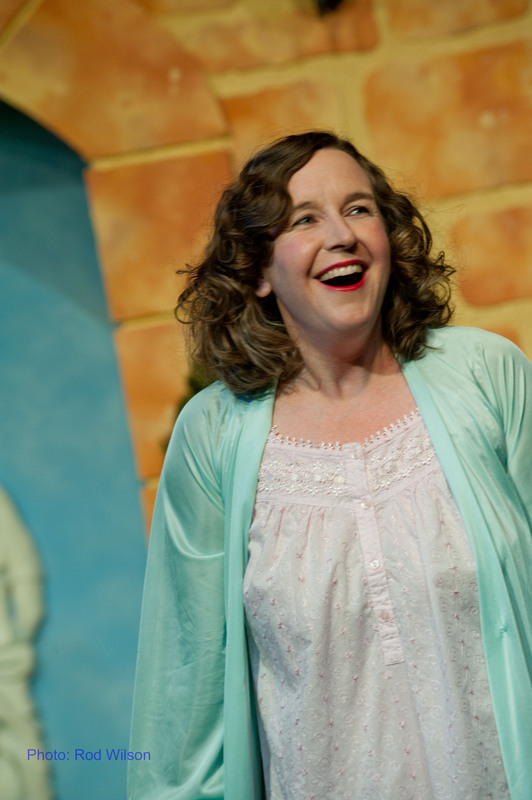 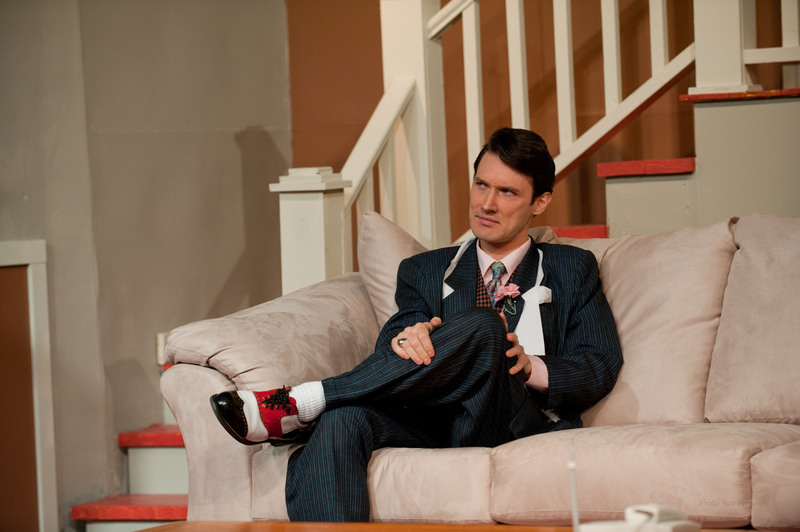 Not to be outdone by Broadway or Hollywood the Cranbrook Community Theatre, under the direction of Bob McCue brings the iconic characters to life for local audiences. 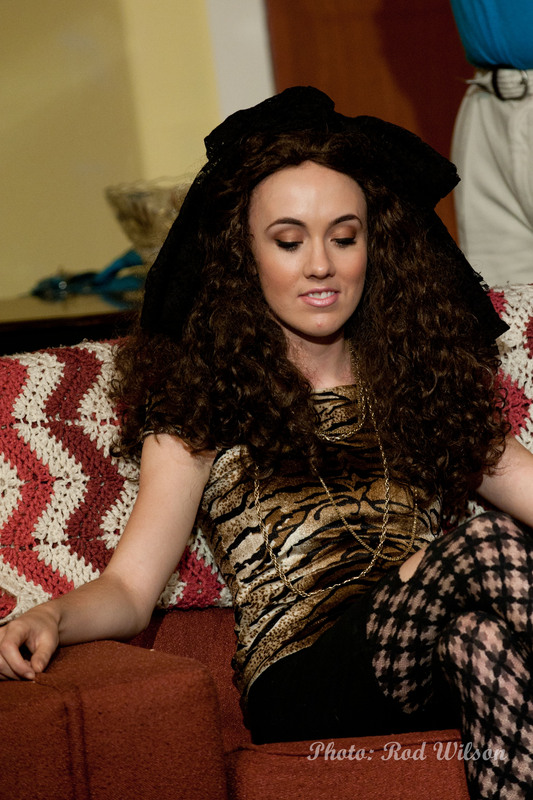 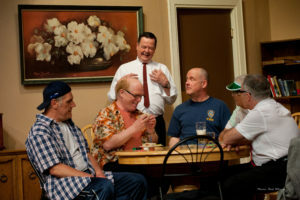 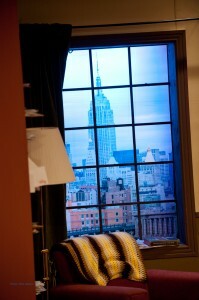 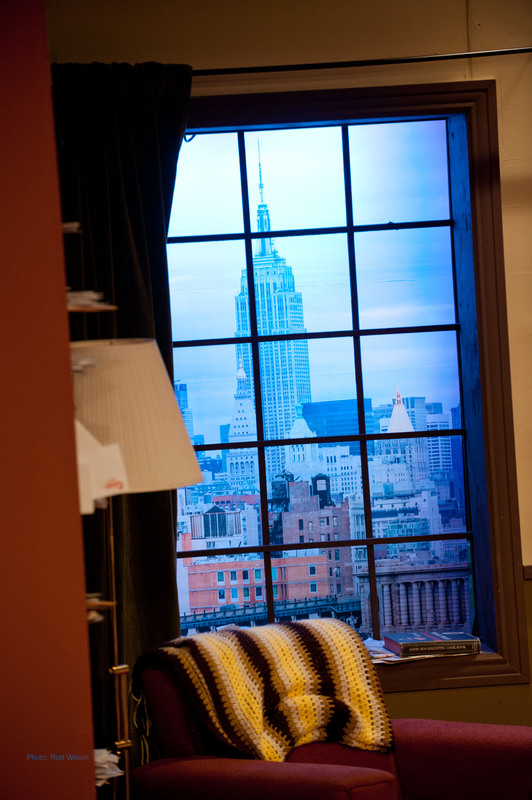 The Setting : Four acts in Oscar Madison’s apartment in New York City. 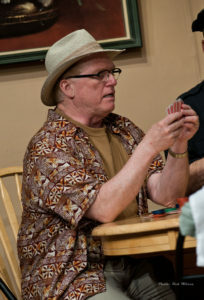 Act One: Poker night and where’s Felix? 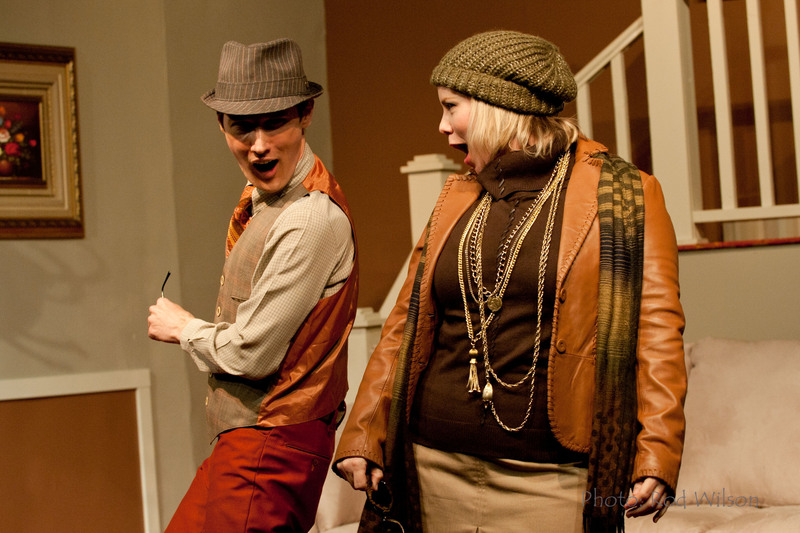 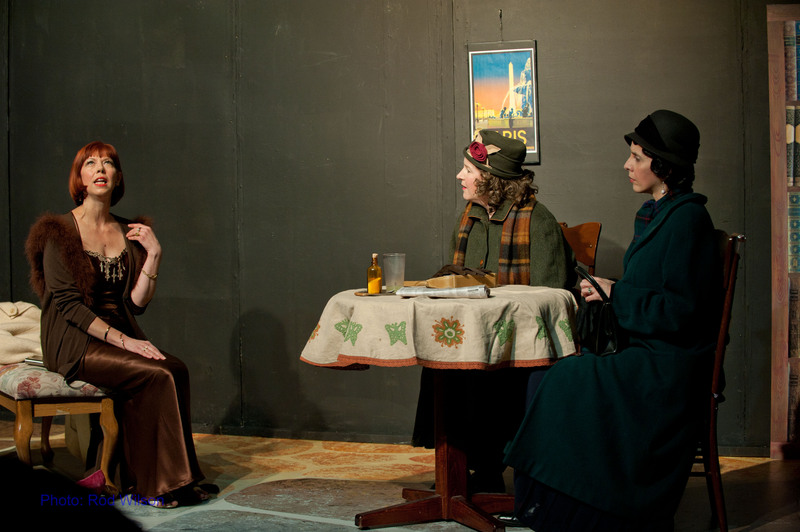 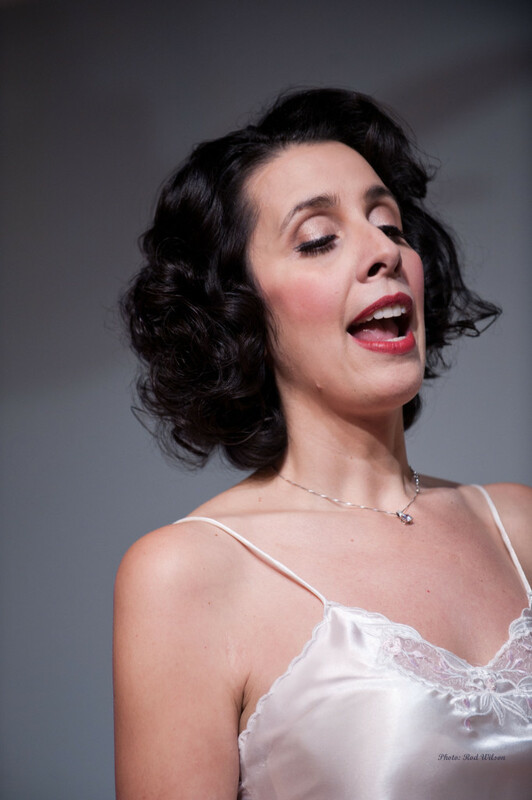 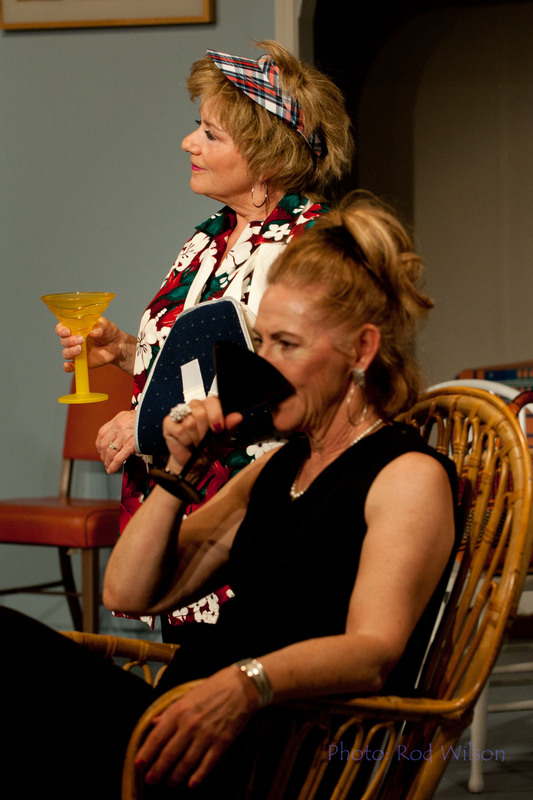 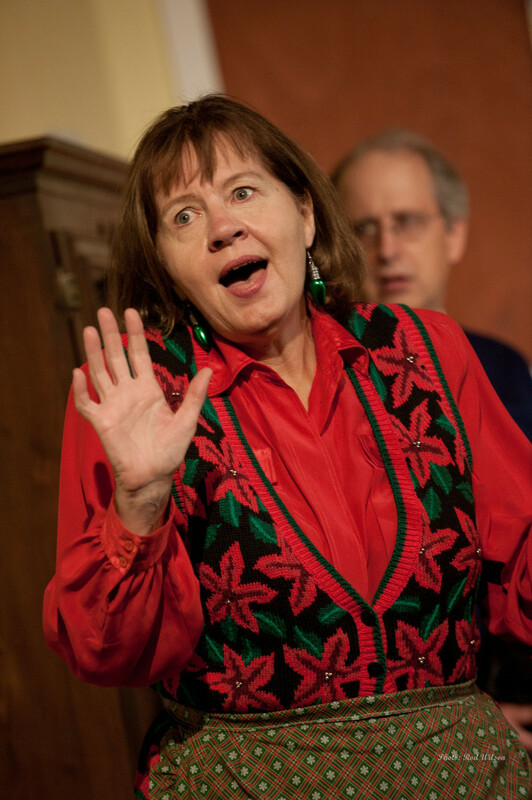 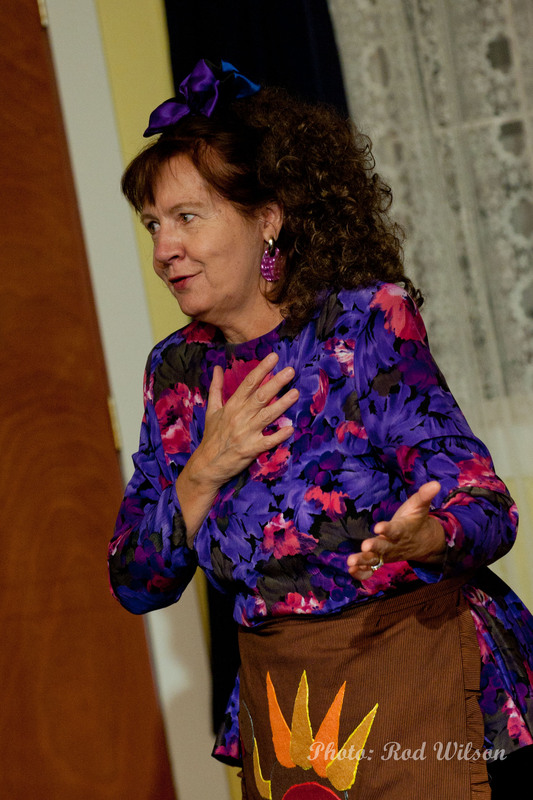 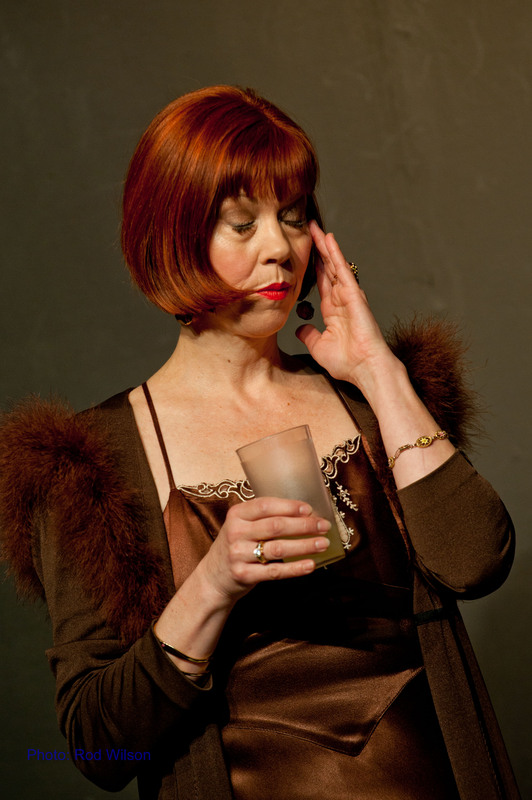 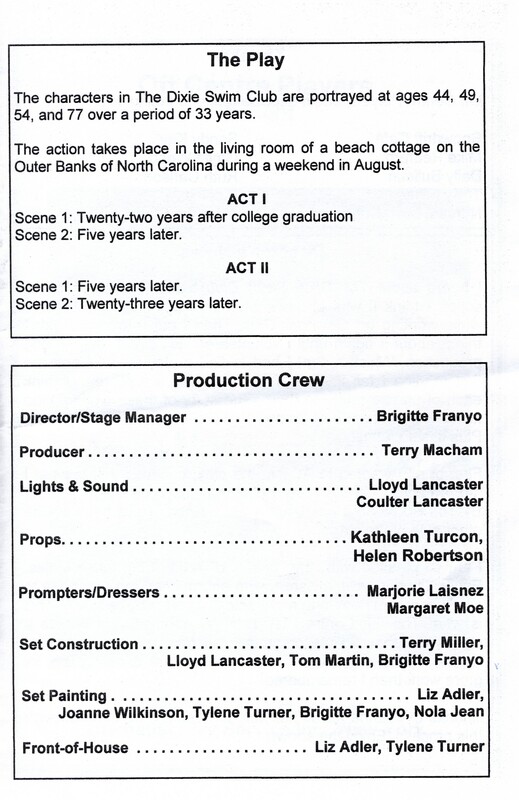 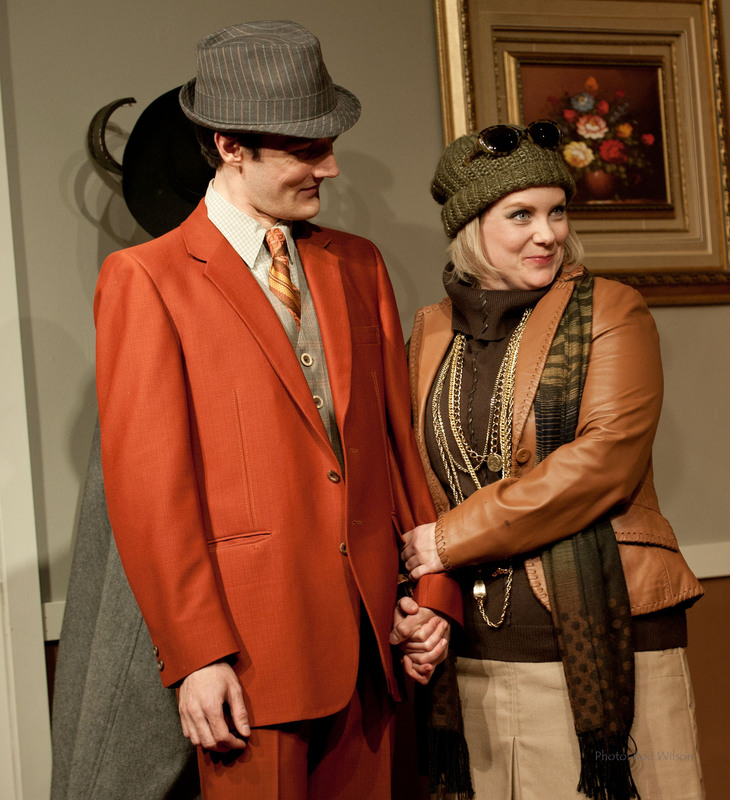 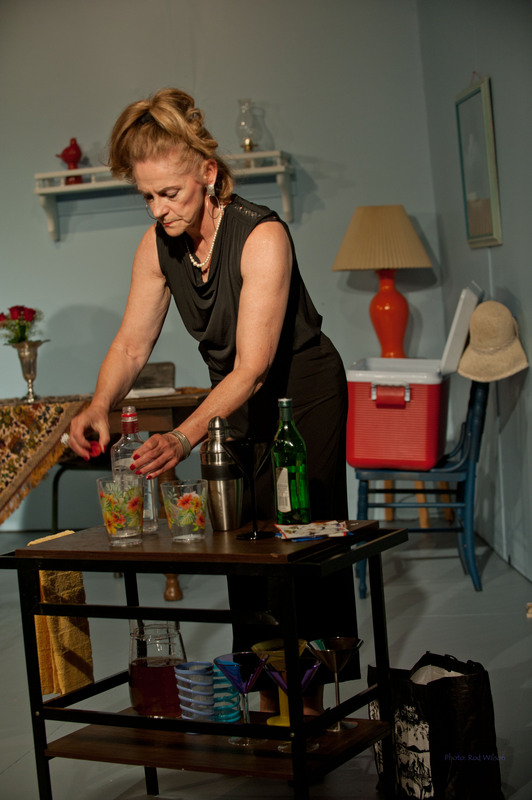 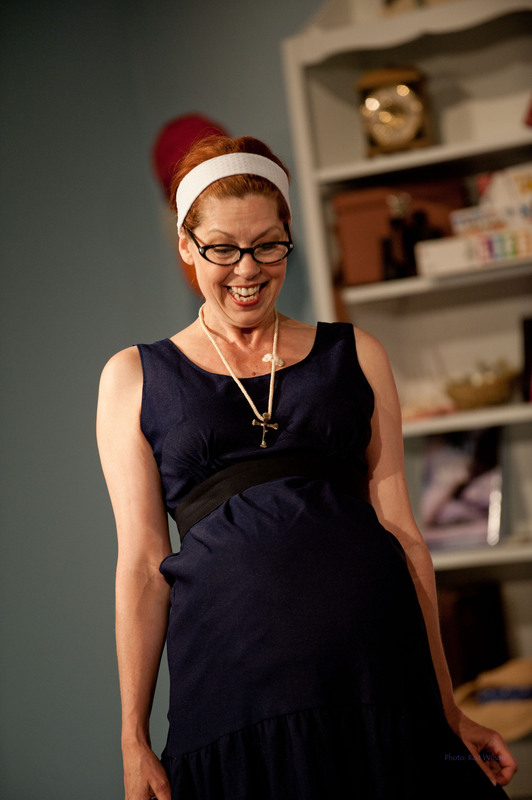 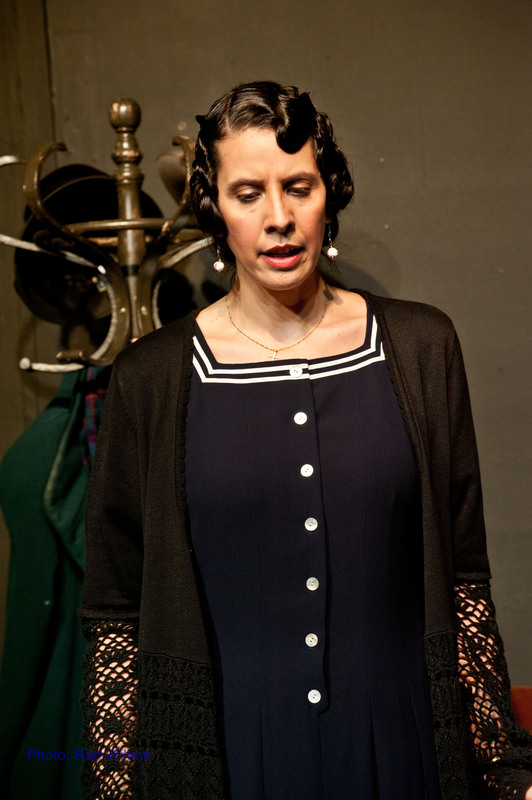 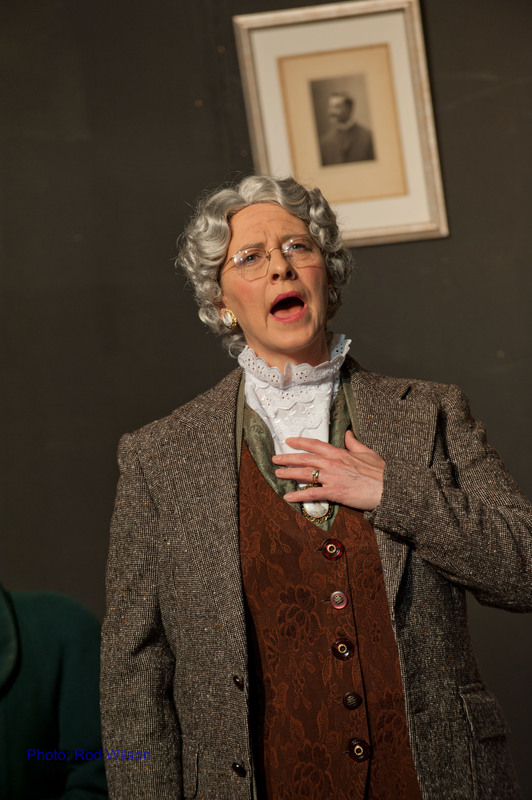 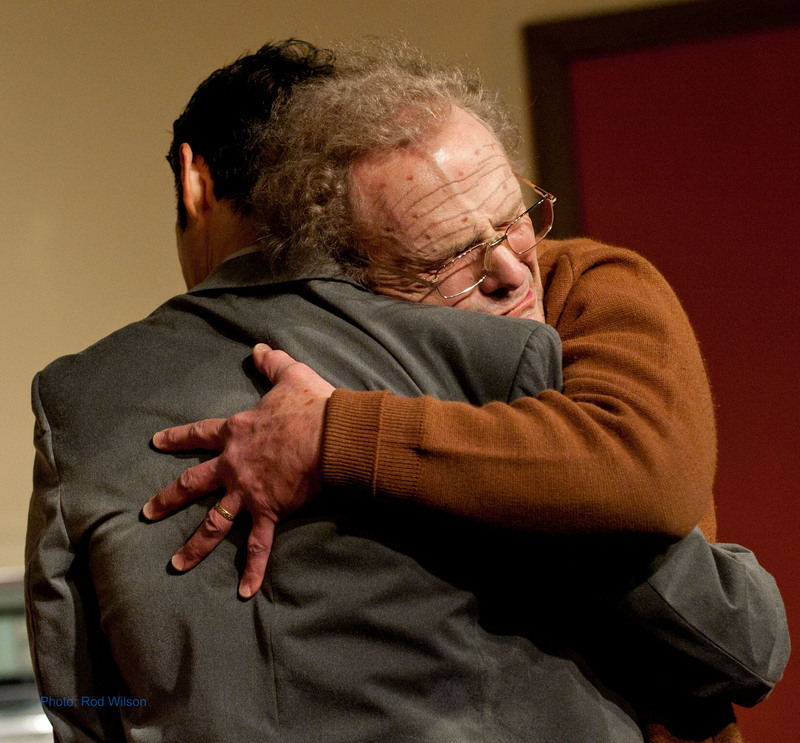 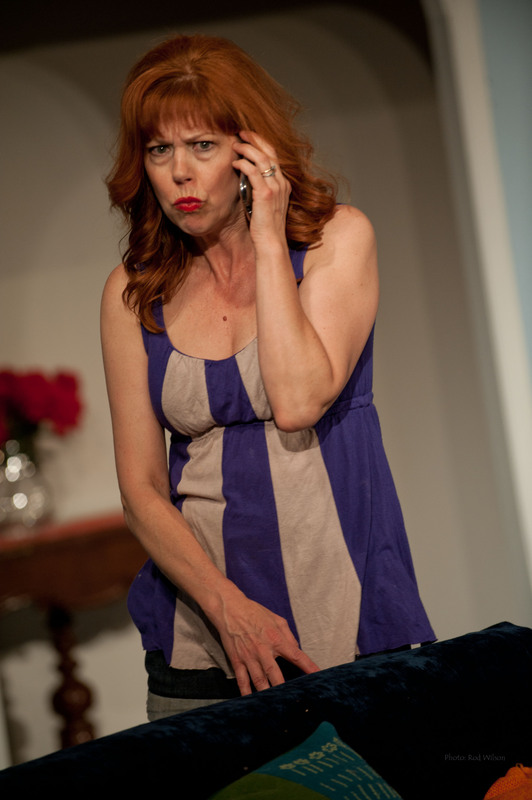 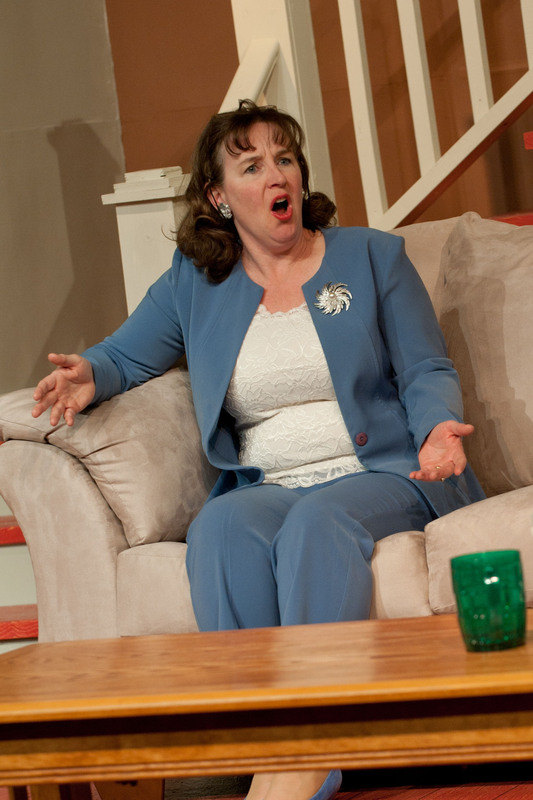 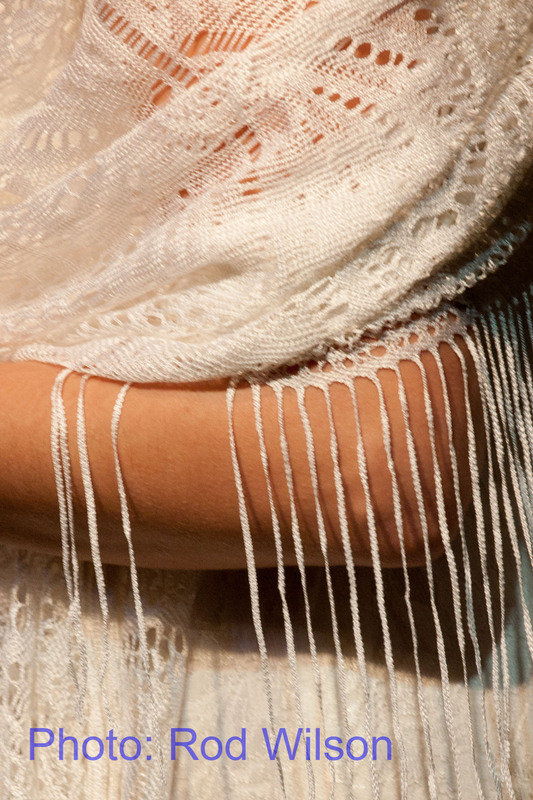 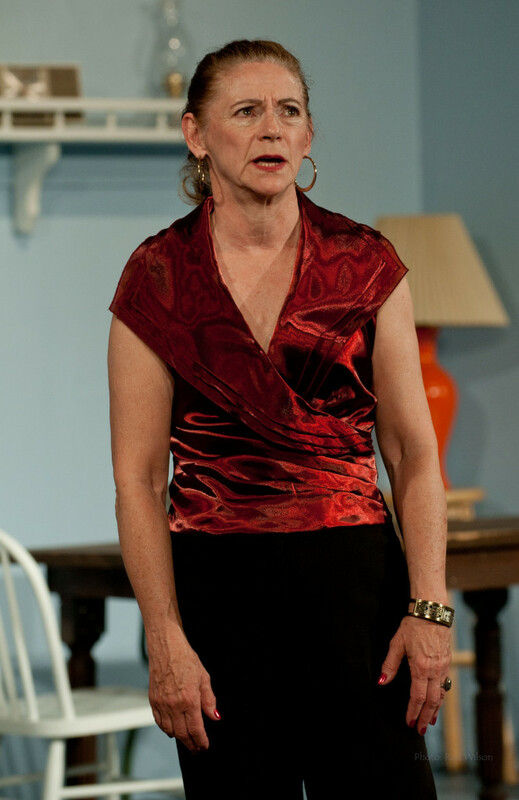 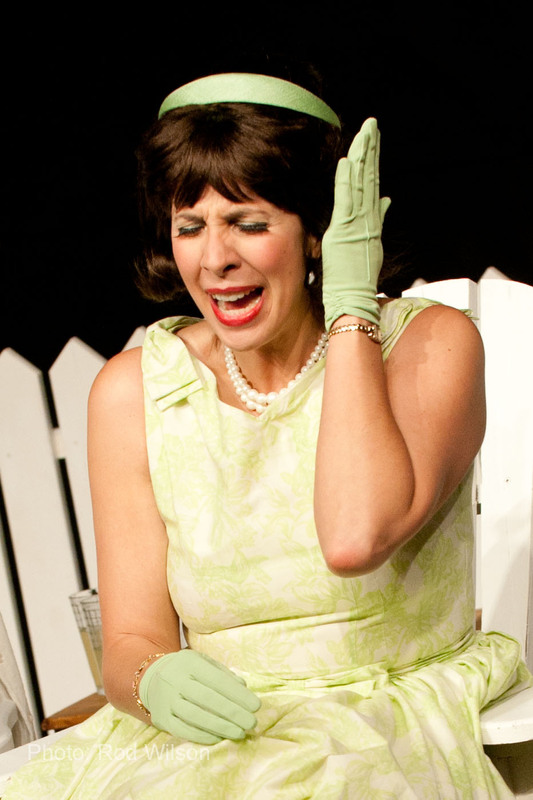 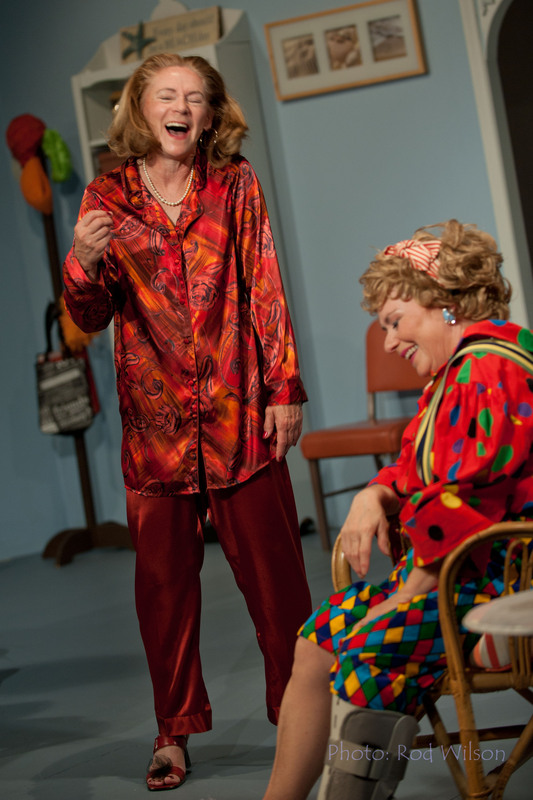 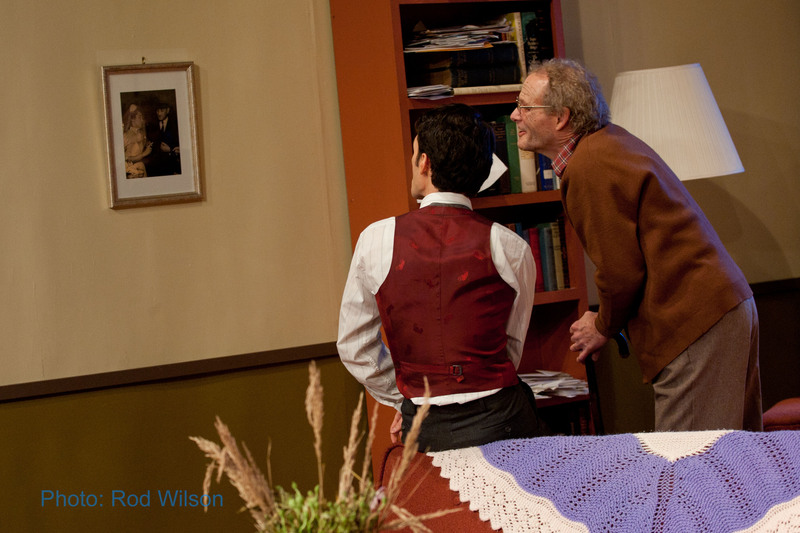 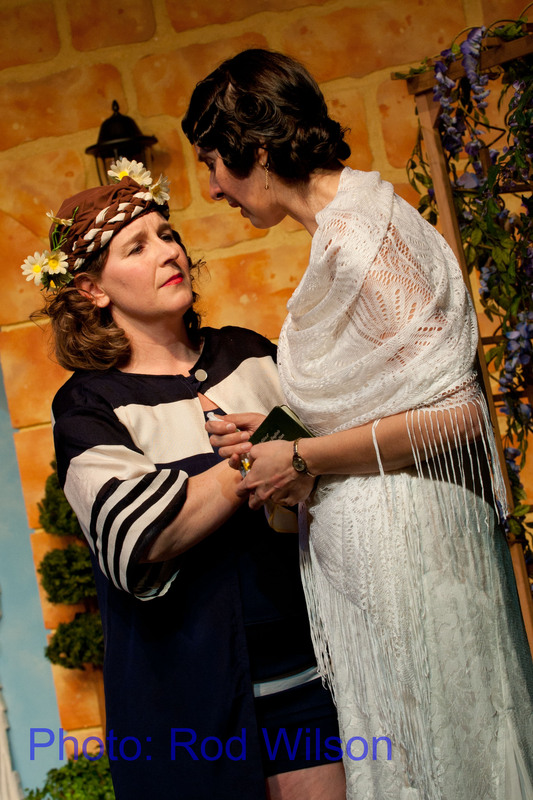 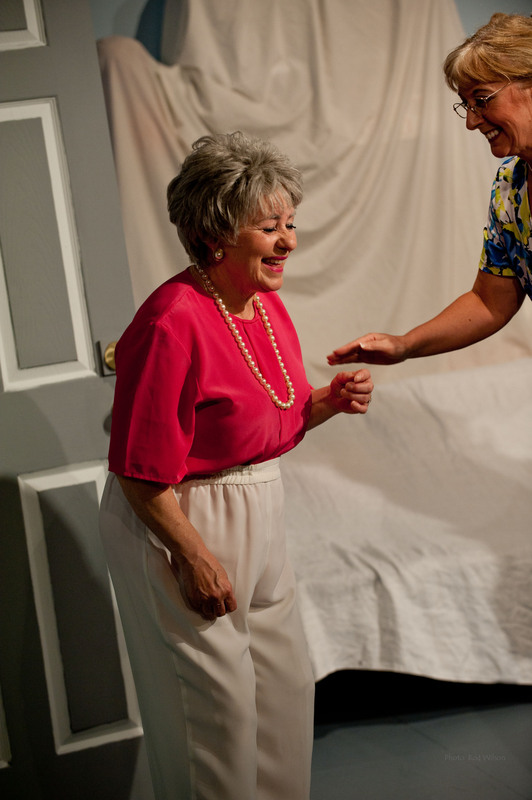 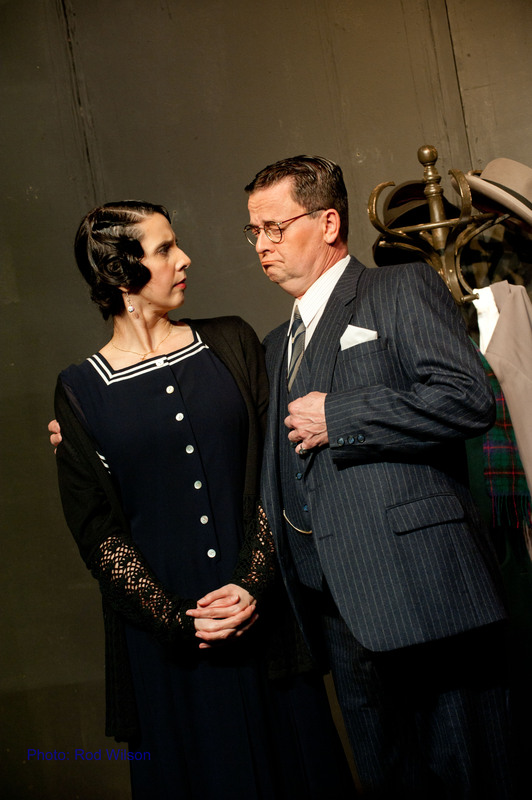 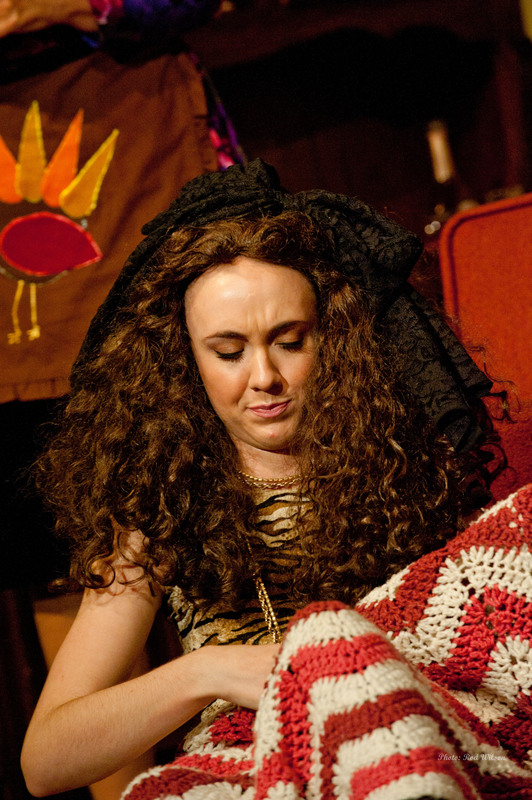 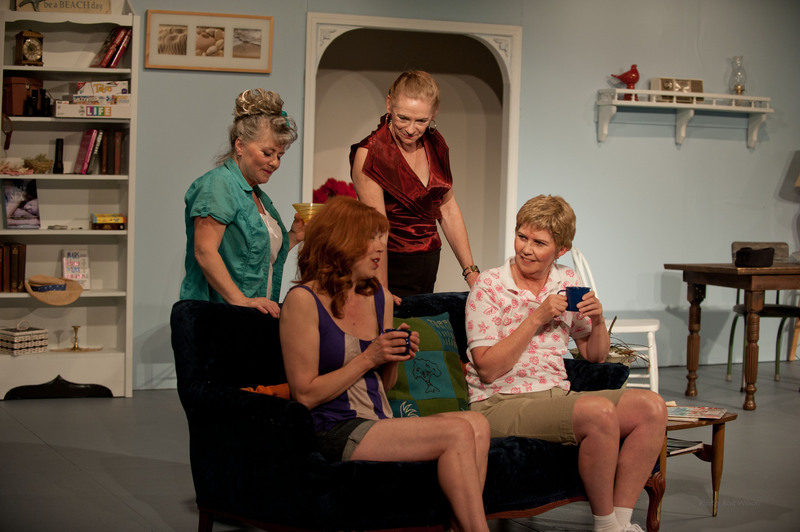 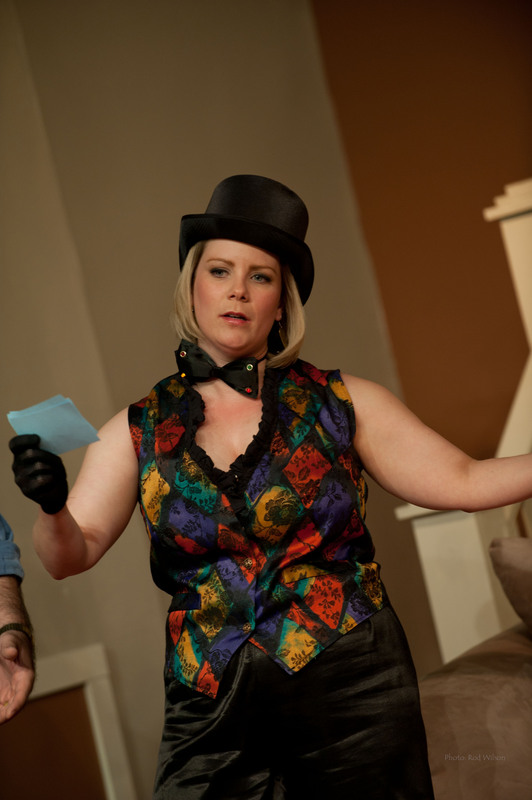 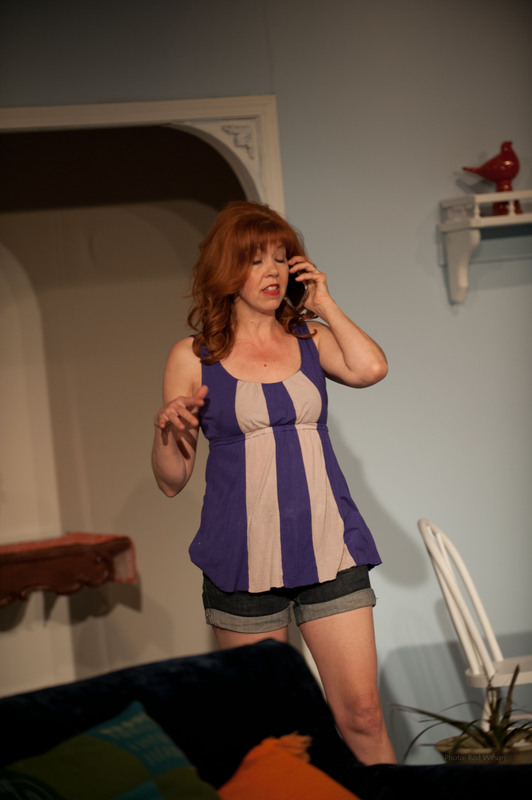 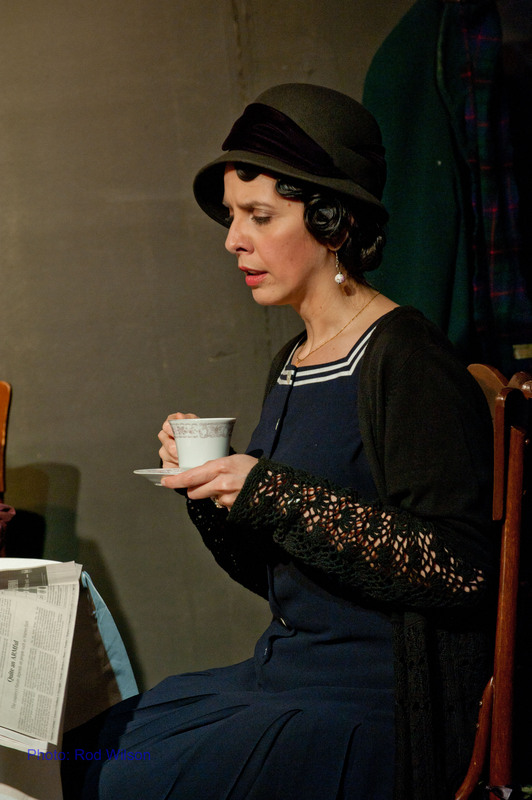 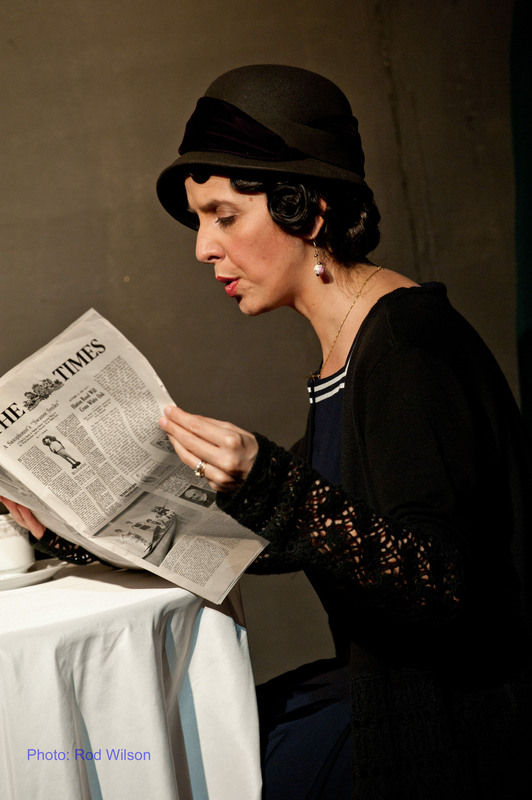 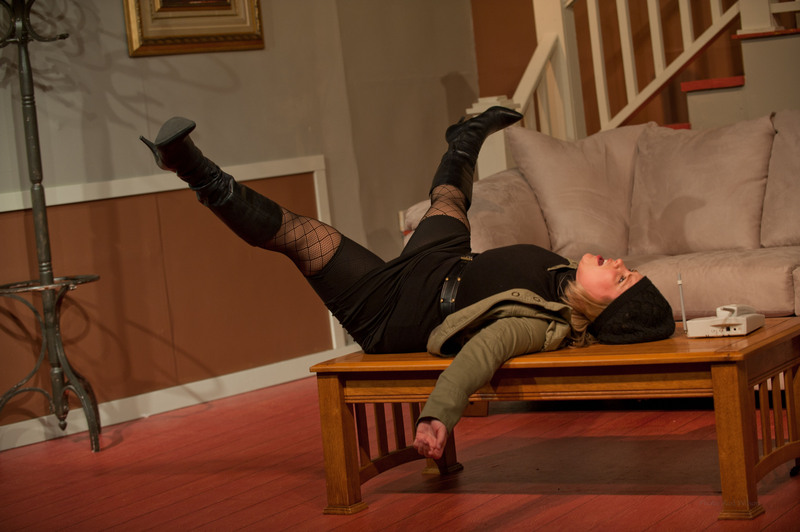 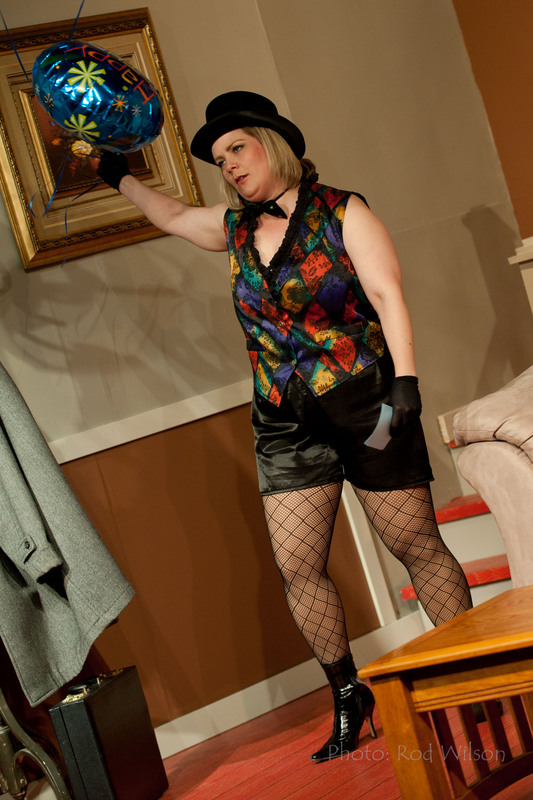 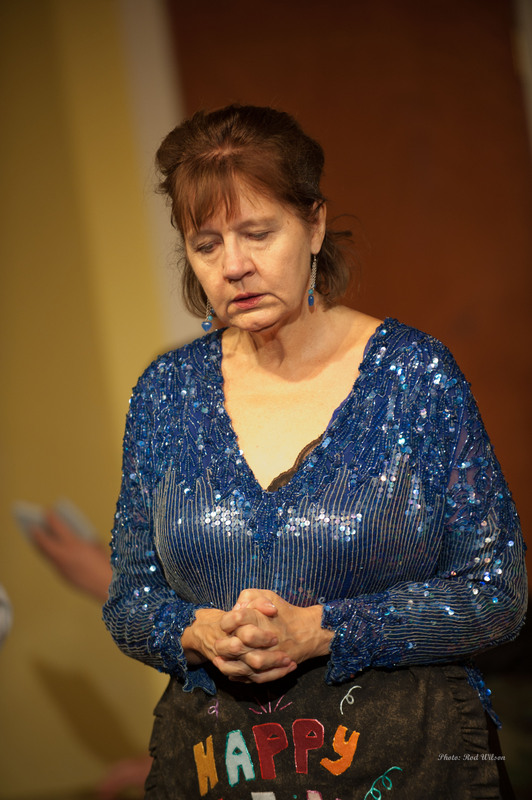 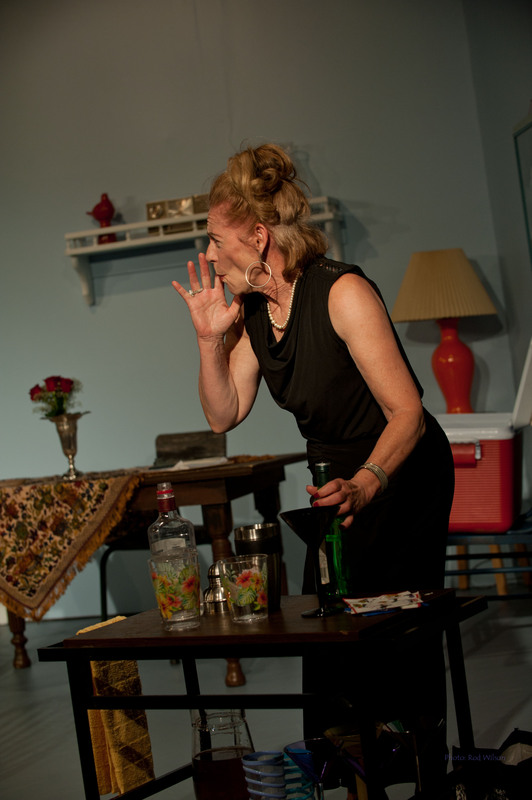 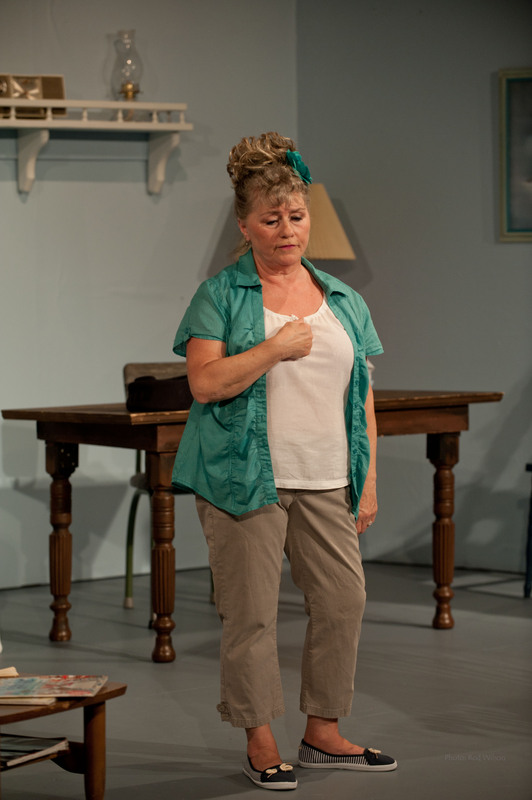 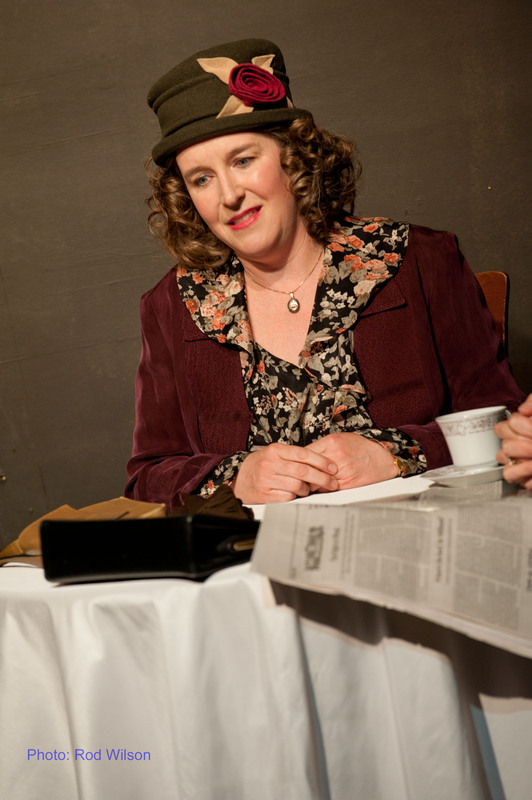 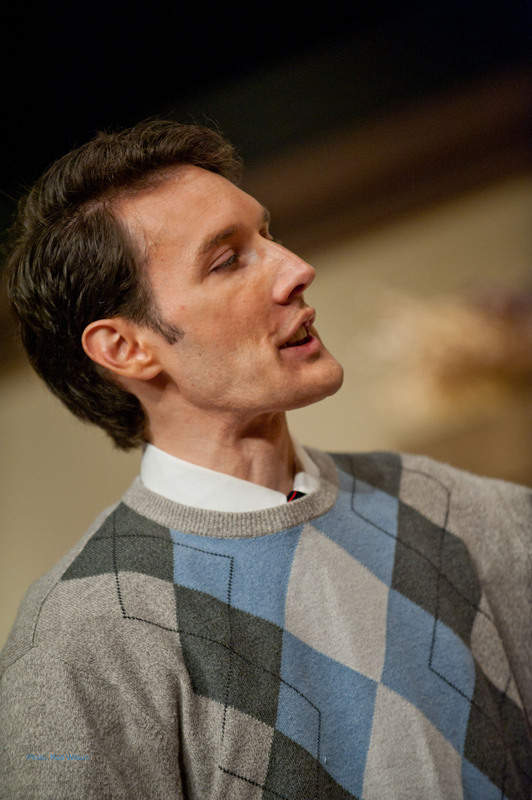 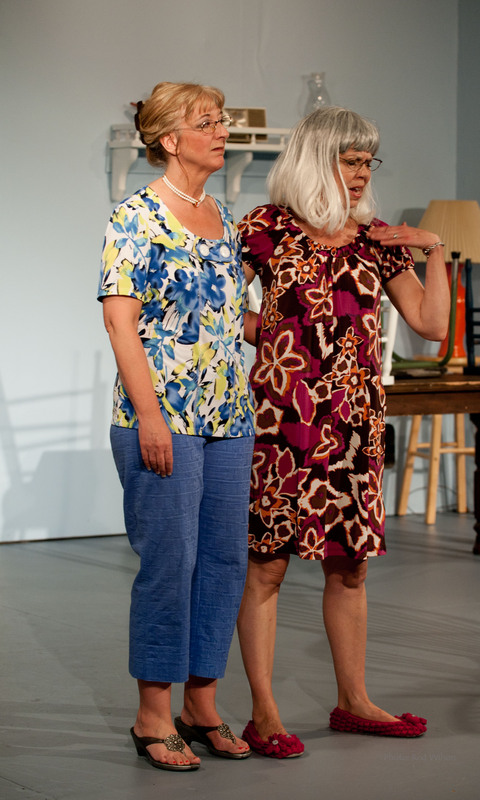 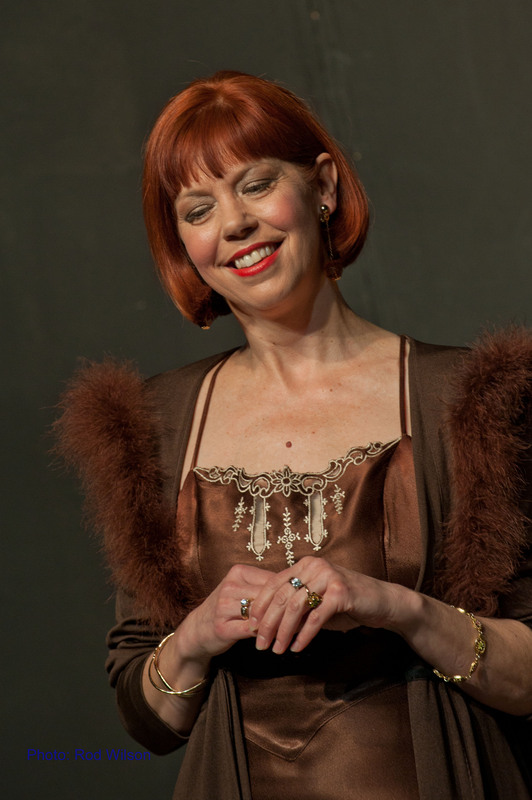 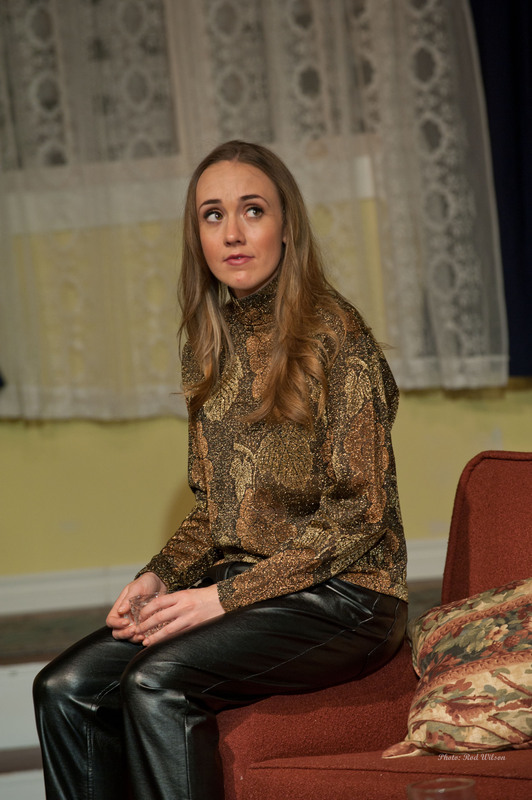 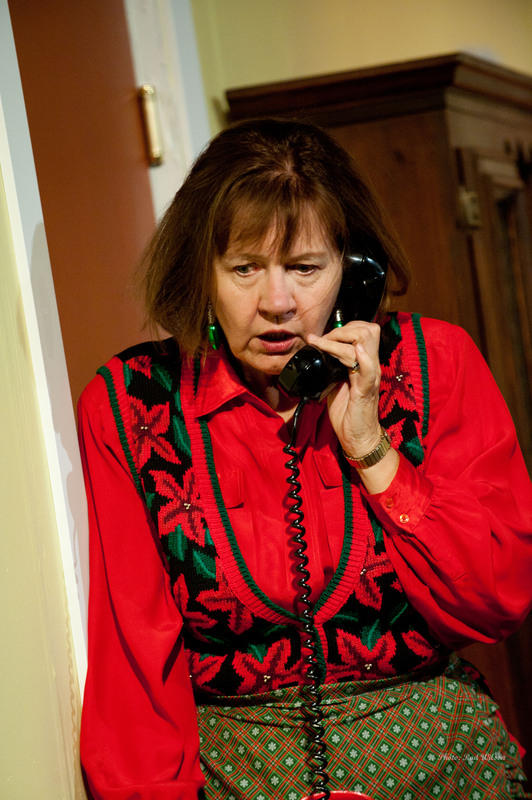 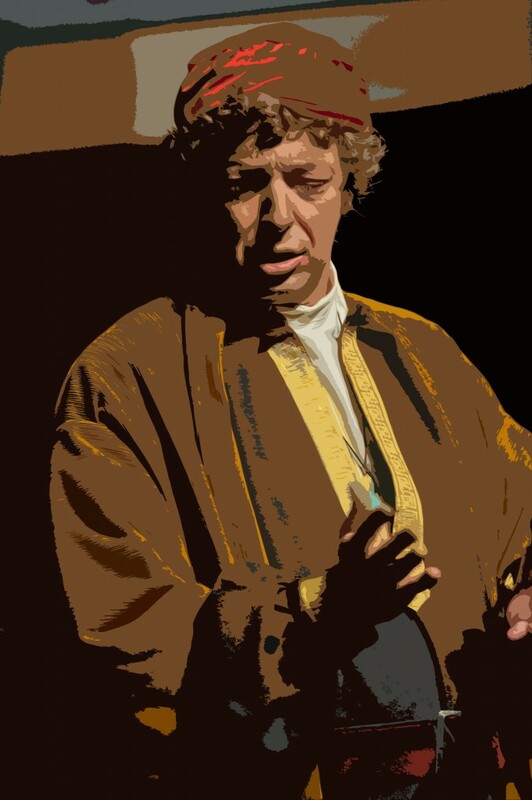 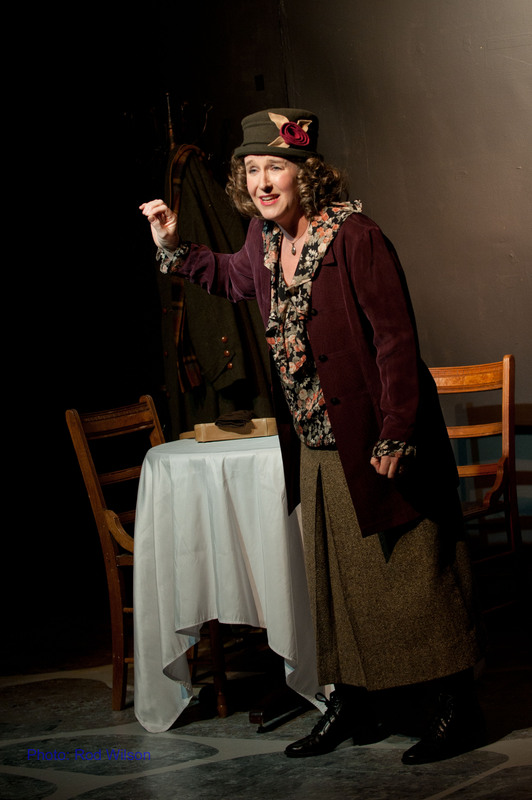 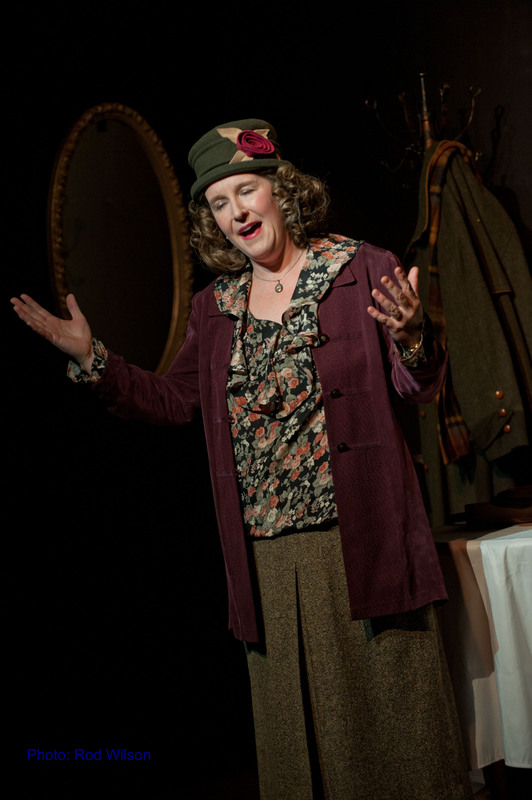 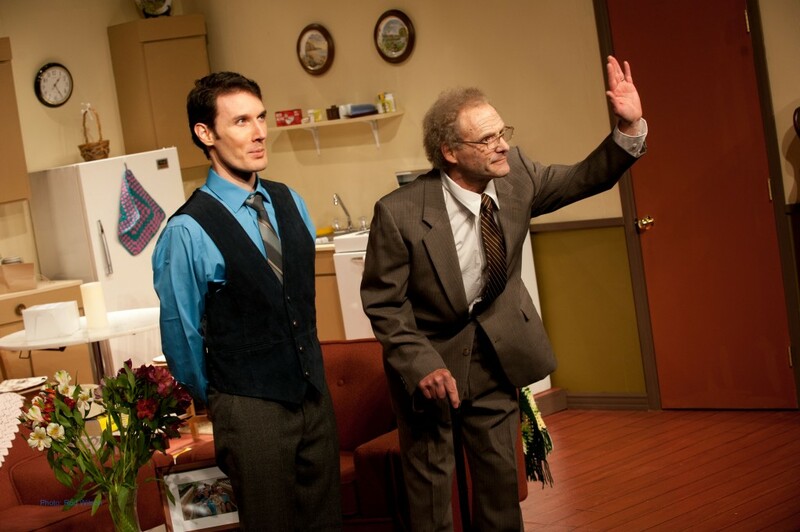 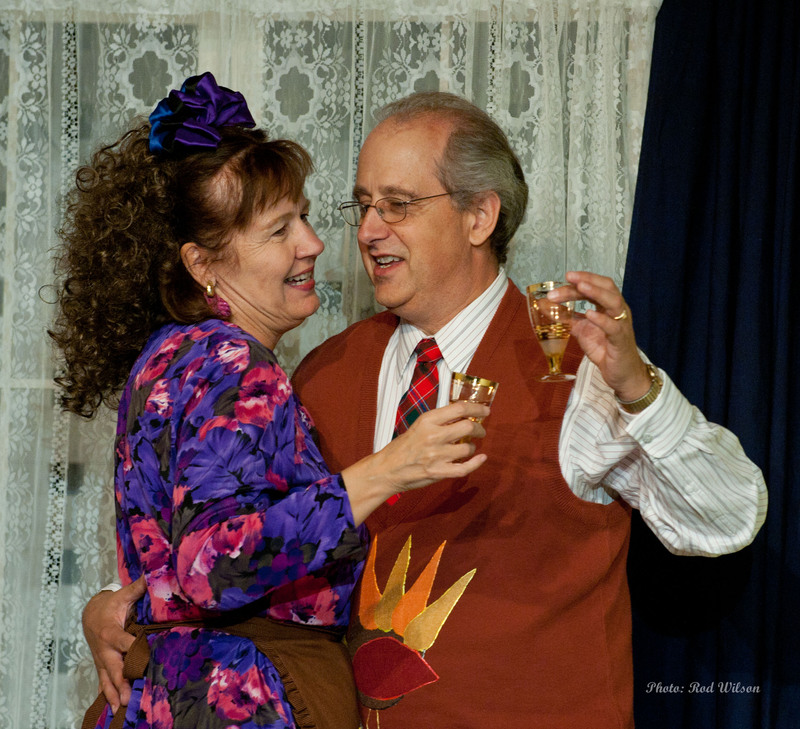 Two One Act plays at the Studio / Stage Door: rehearsal Wednesday, January 22, 2014, 8pm. 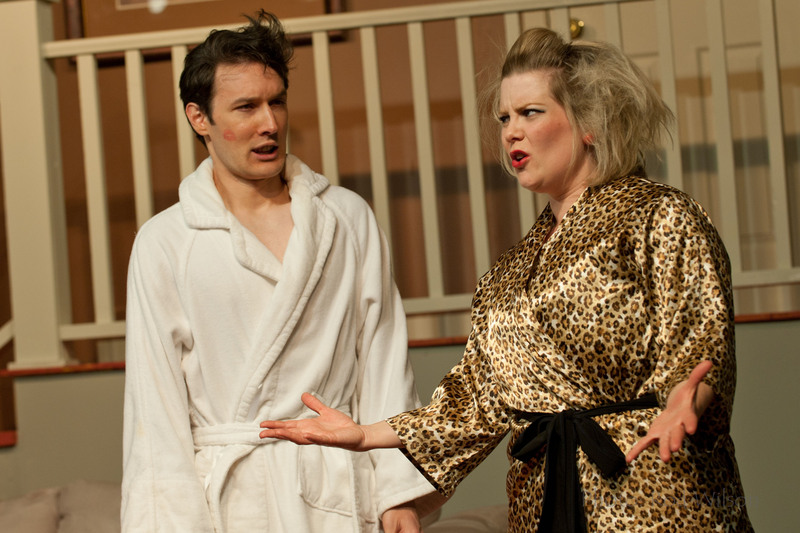 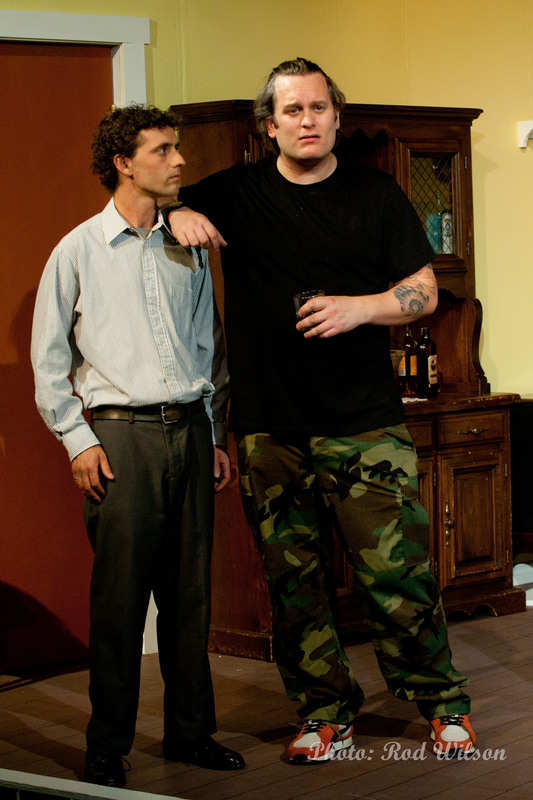 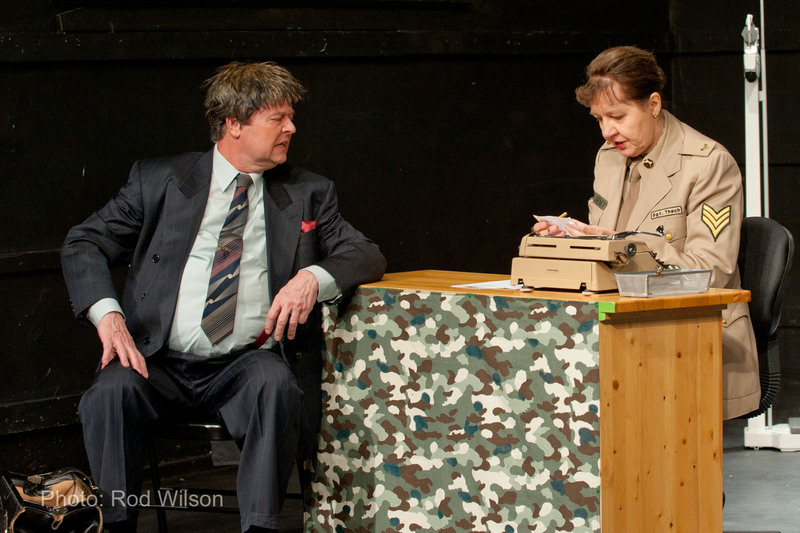 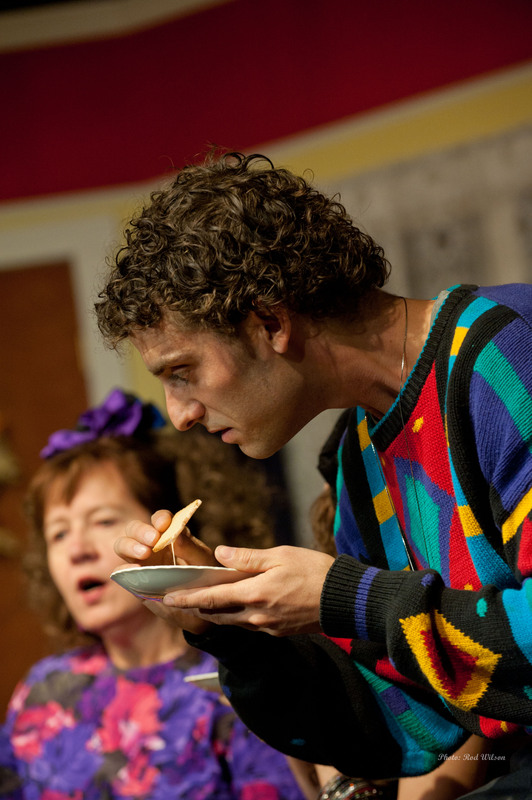 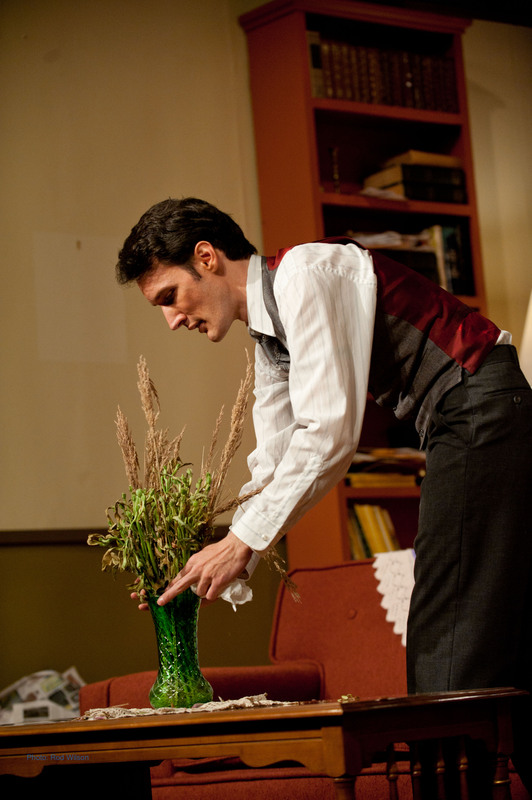 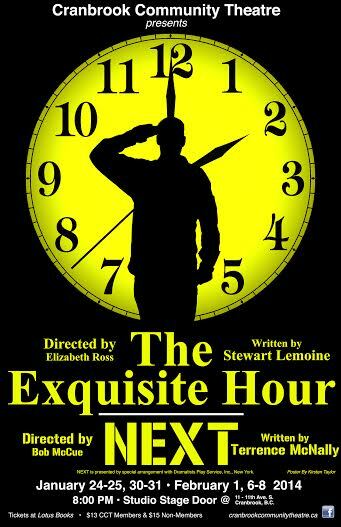 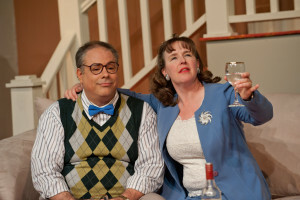 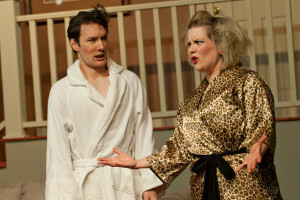 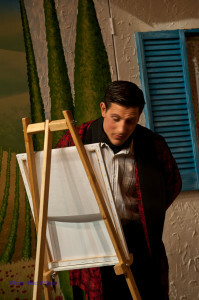 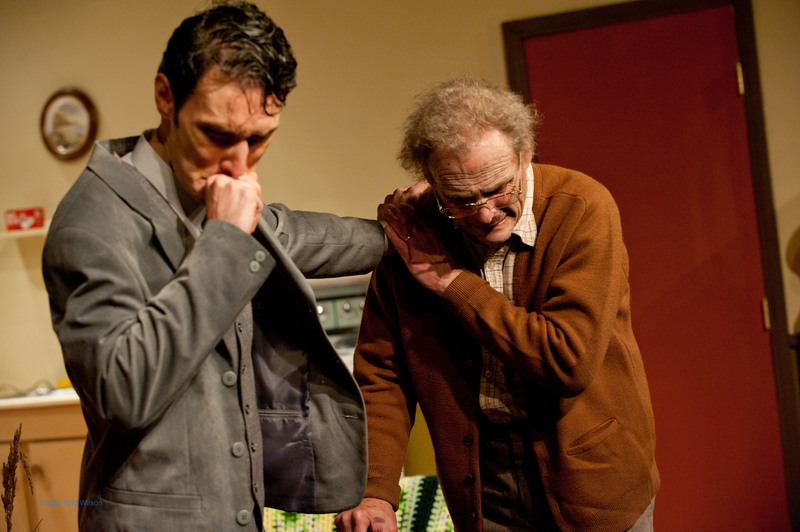 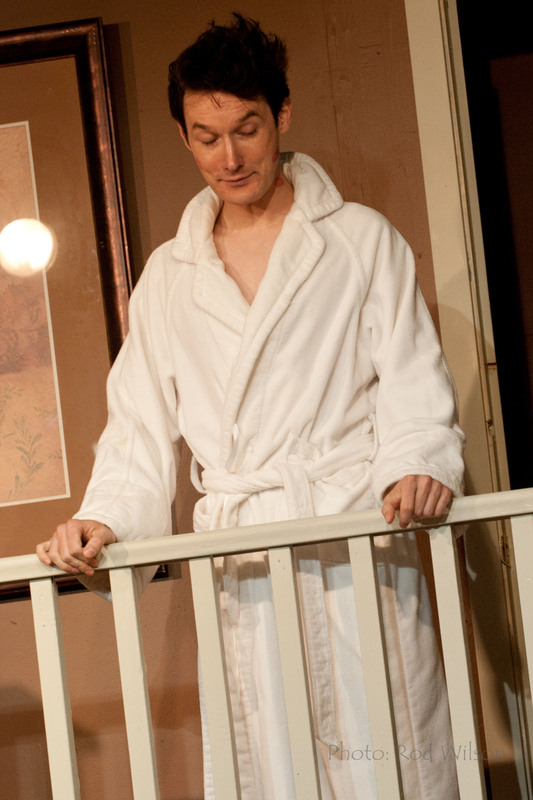 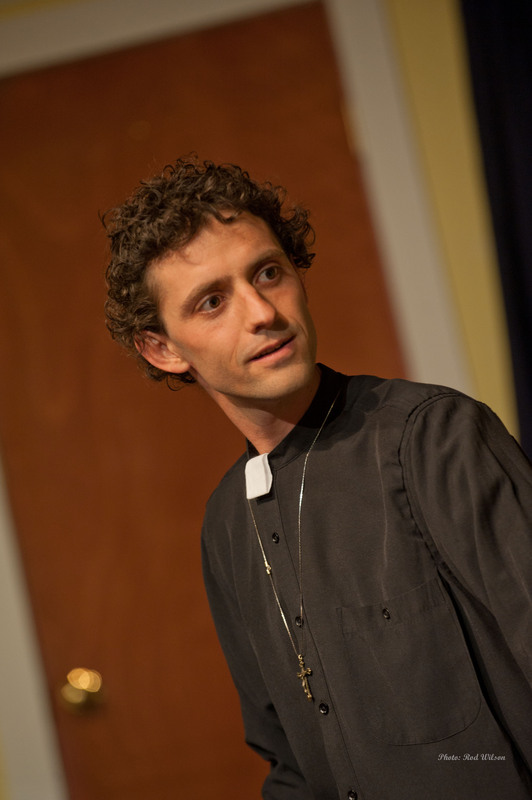 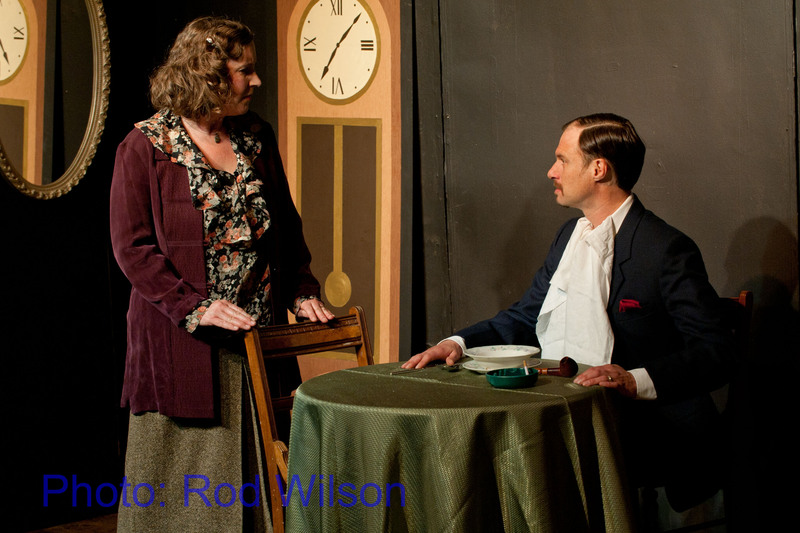 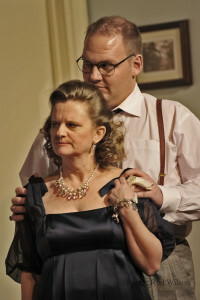 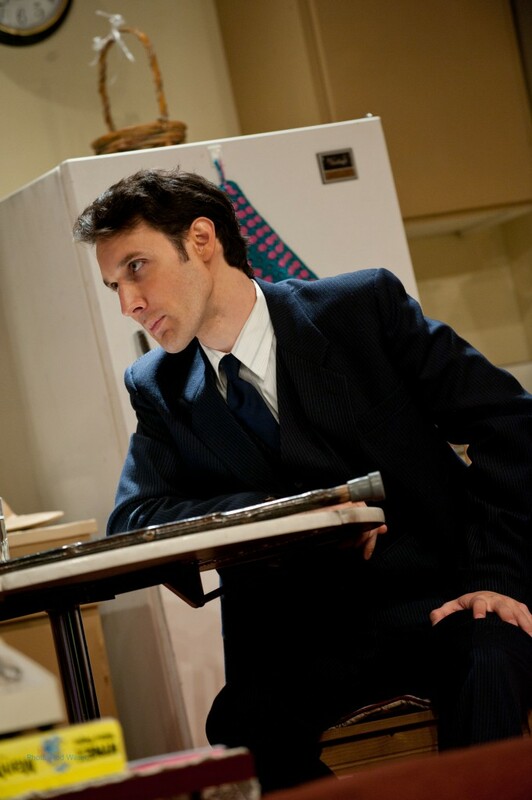 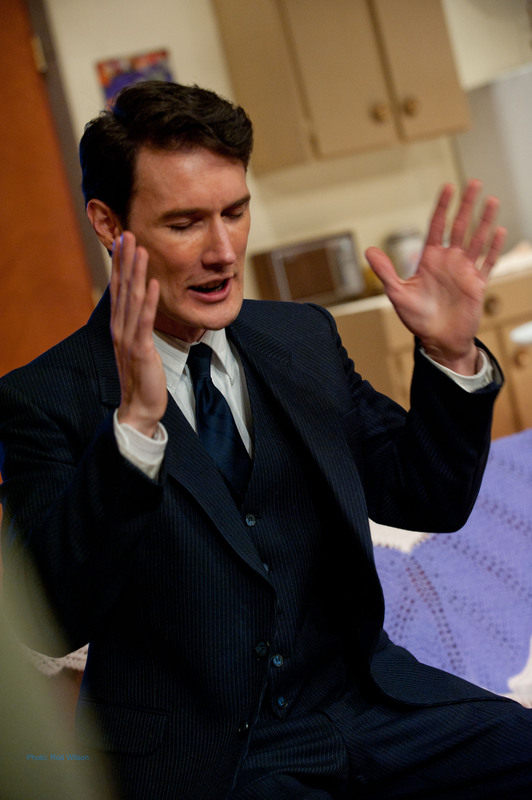 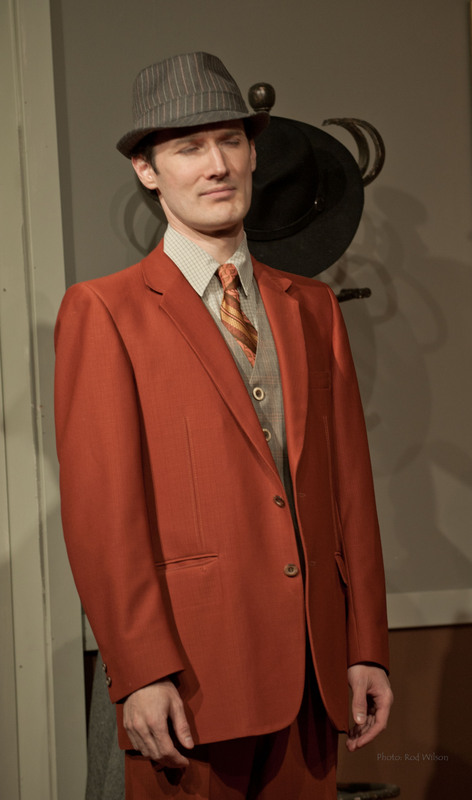 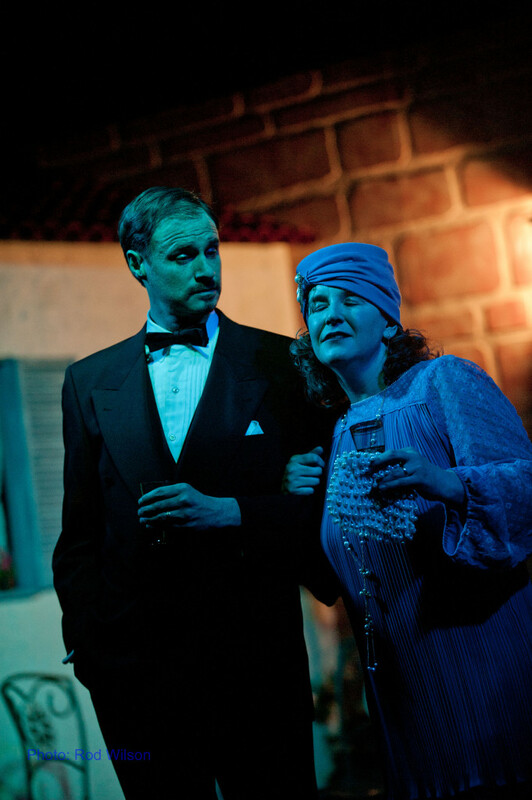 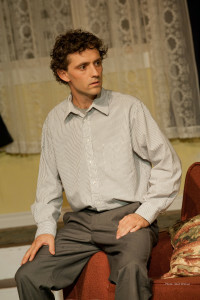 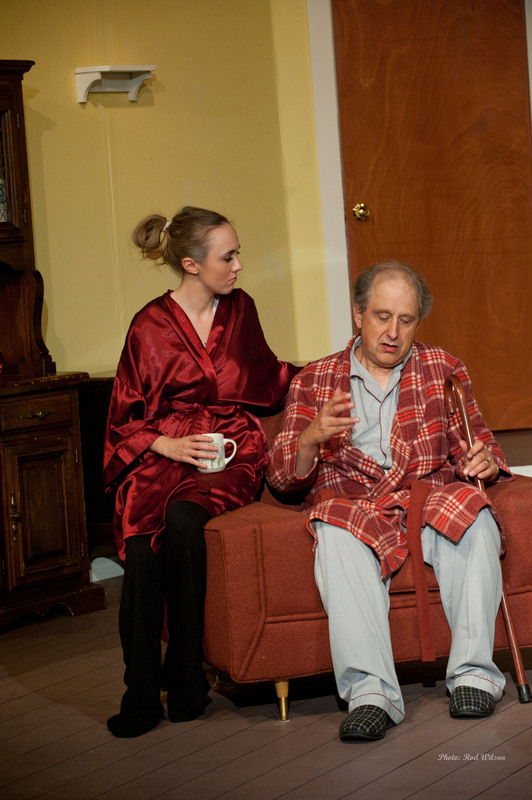 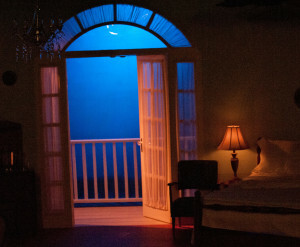 The Exquisite Hour – A one act play written by Edmonton playwright Stewart Lamoine (hurrah for Canadian content), Directed by Elizabeth Ross, staring Jennifer Inglis as Helen Darimont and Patrick Baranowski as Zachary Teale. 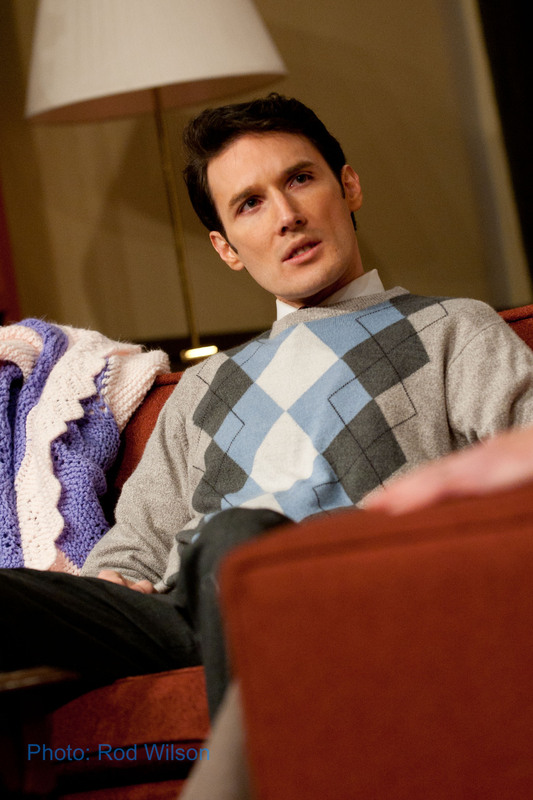 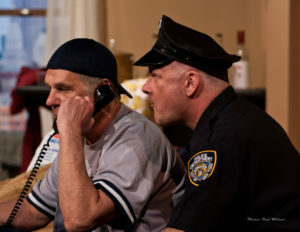 NEXT a one act play written by the American actor and playwright Terrence McNally, starring Peter Schalk as Marion Cheever and Melodie Hull as Sergeant Thech and directed by Bob McCue. 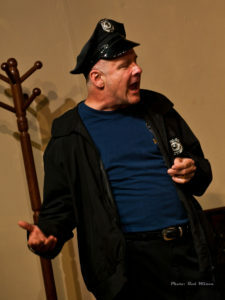 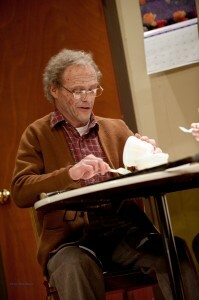 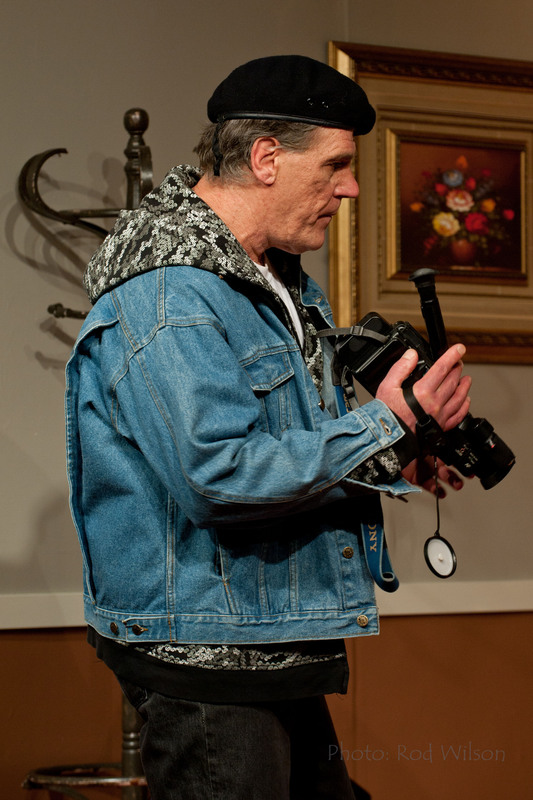 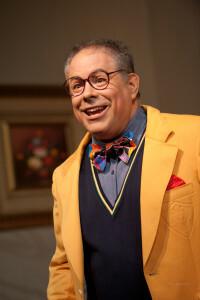 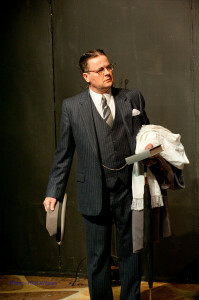 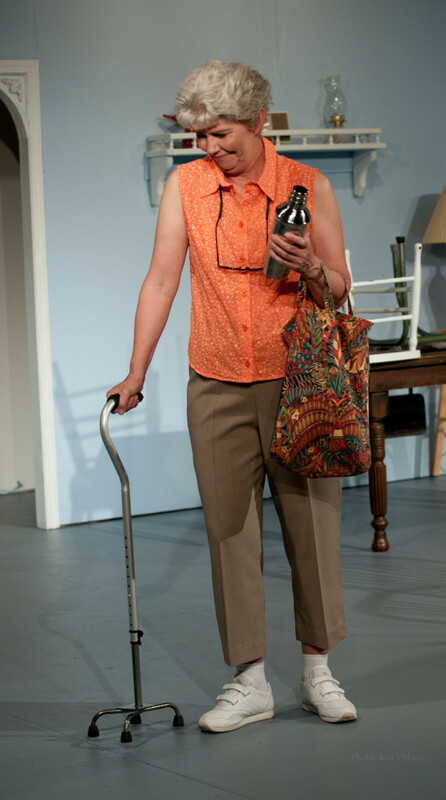 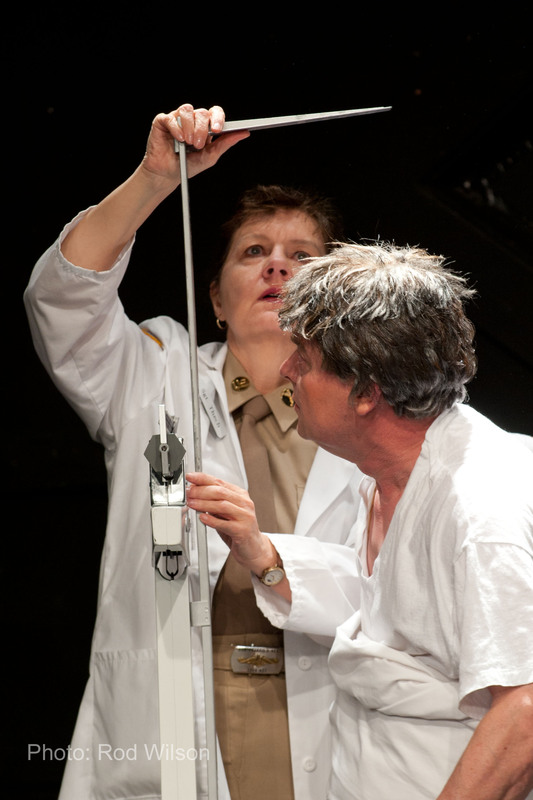 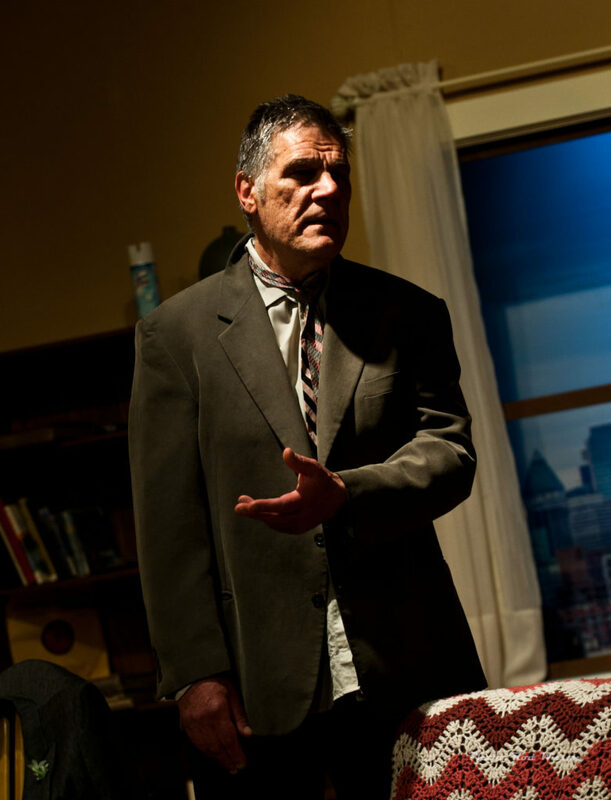 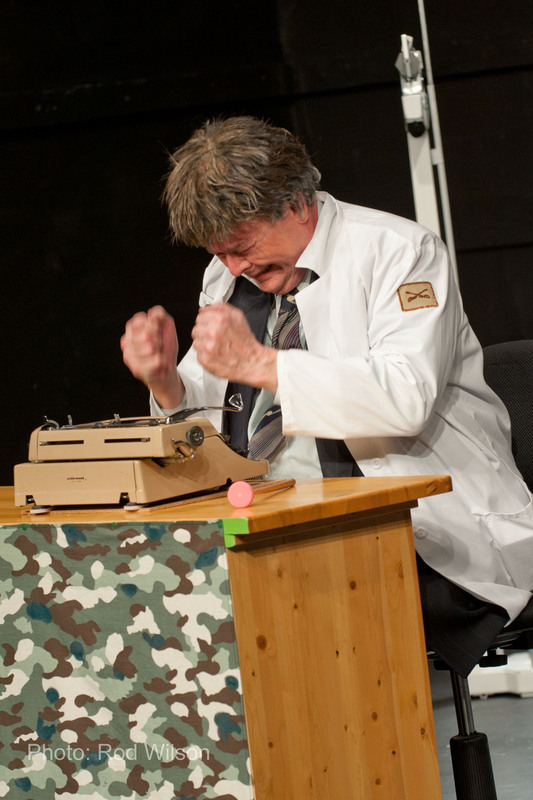 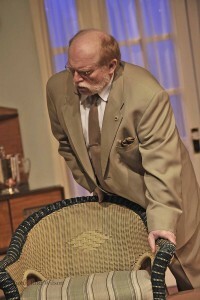 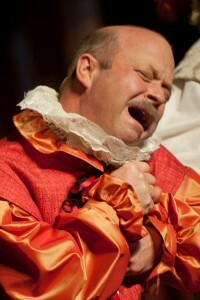 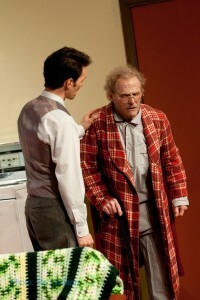 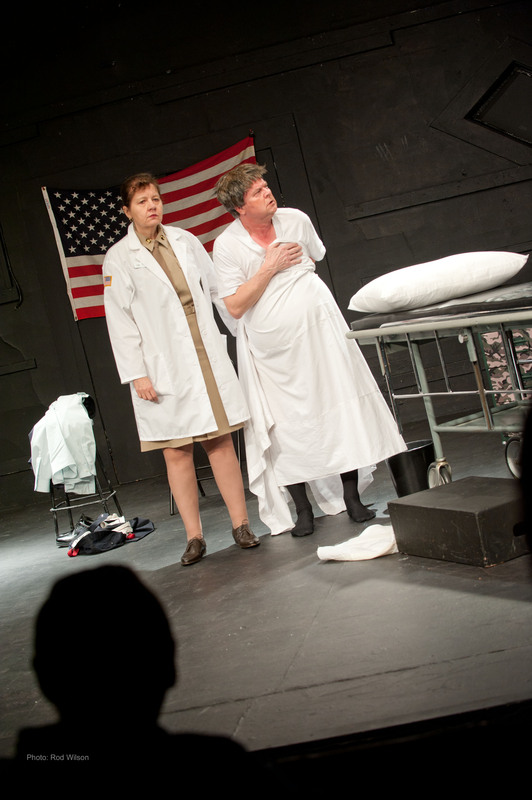 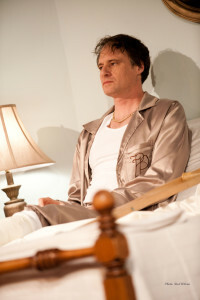 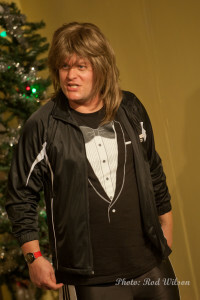 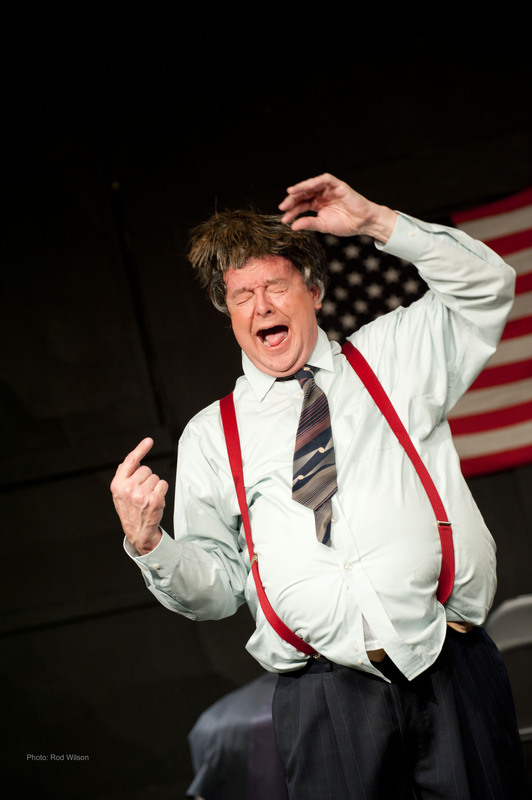 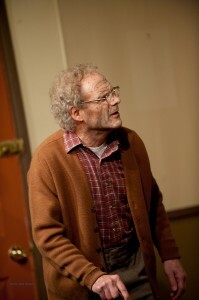 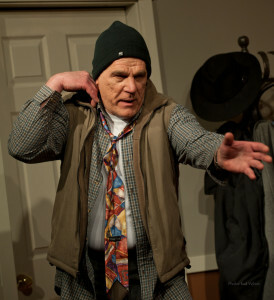 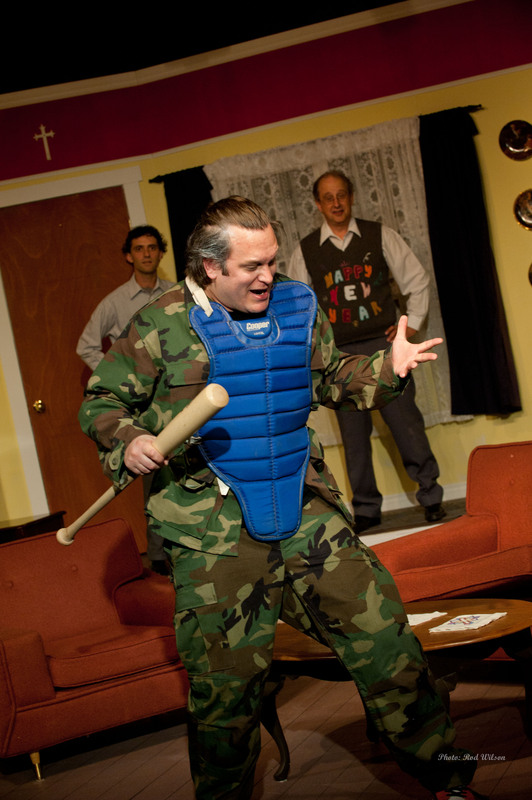 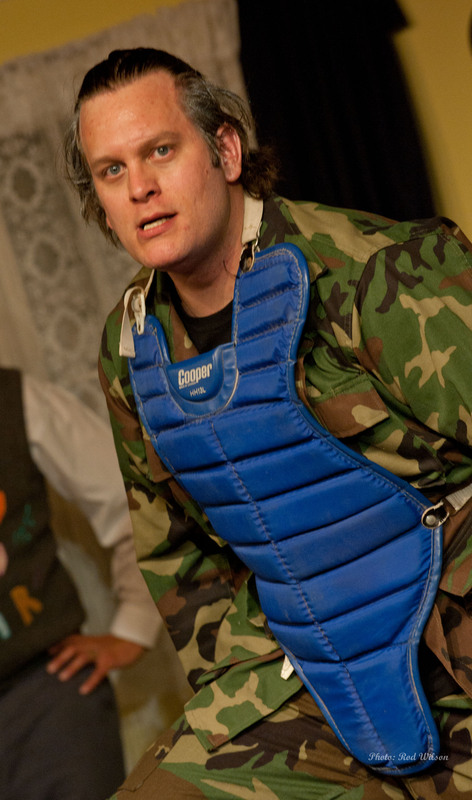 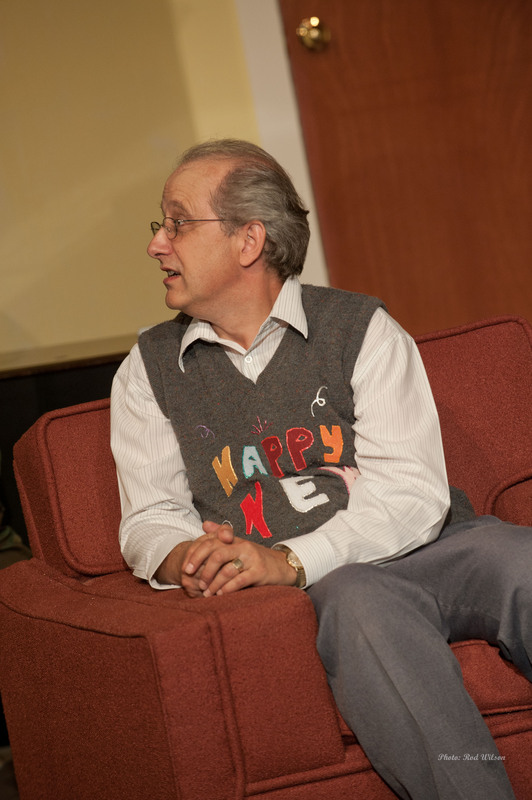 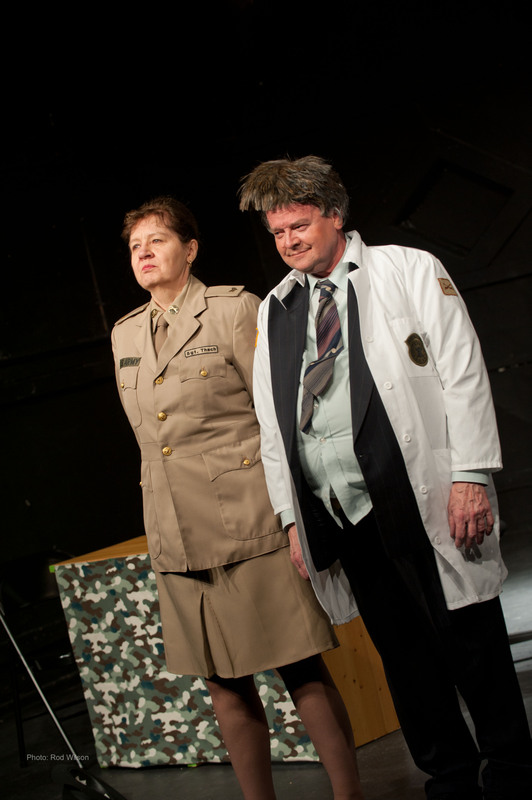 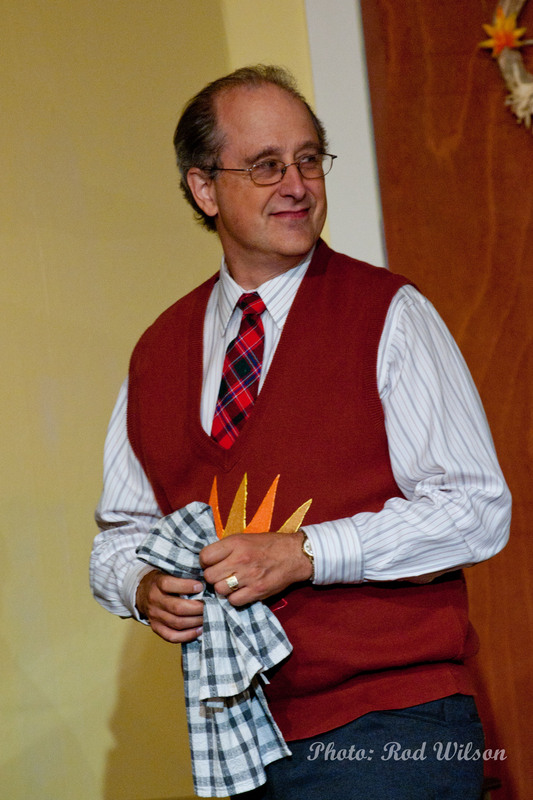 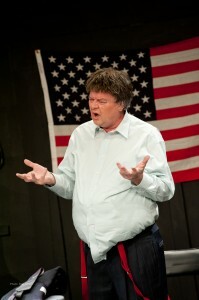 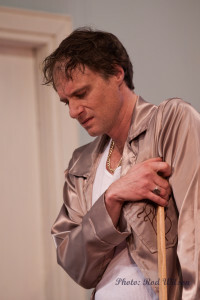 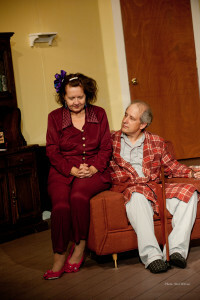 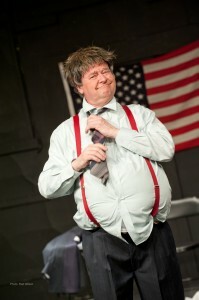 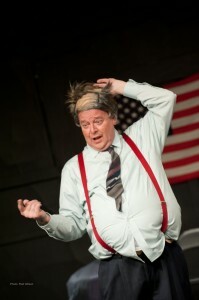 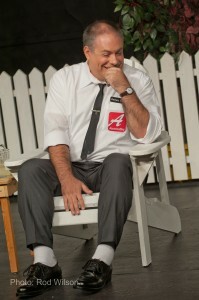 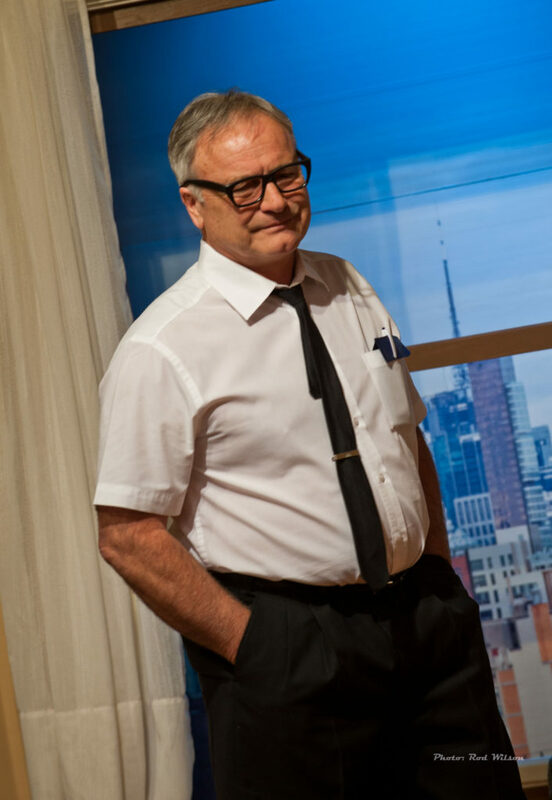 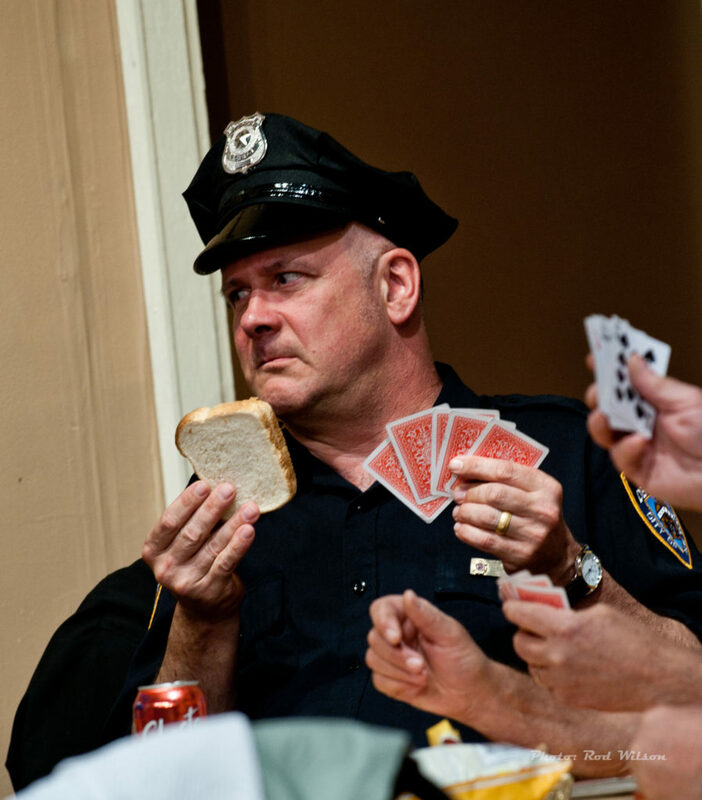 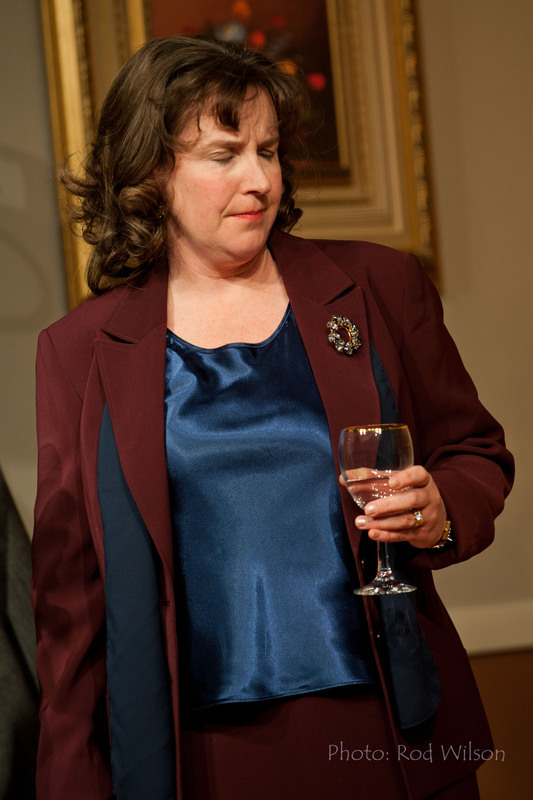 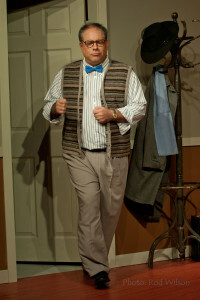 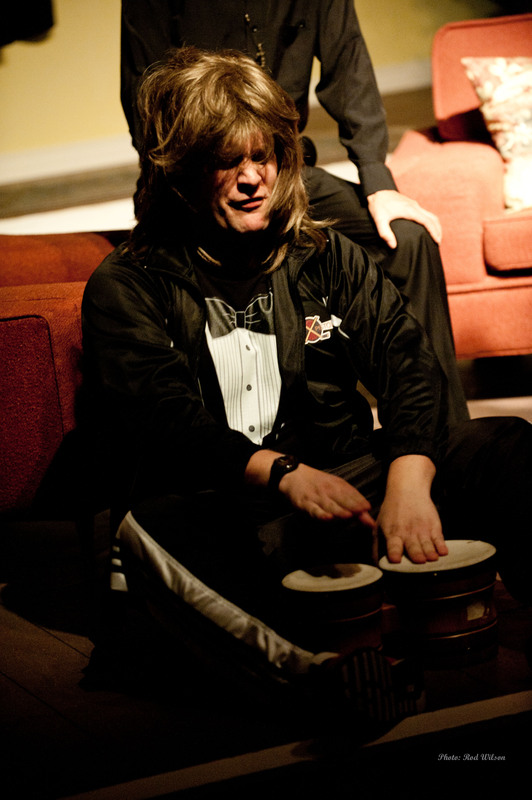 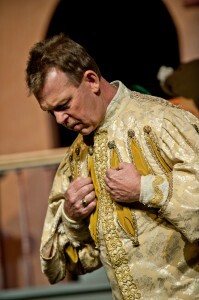 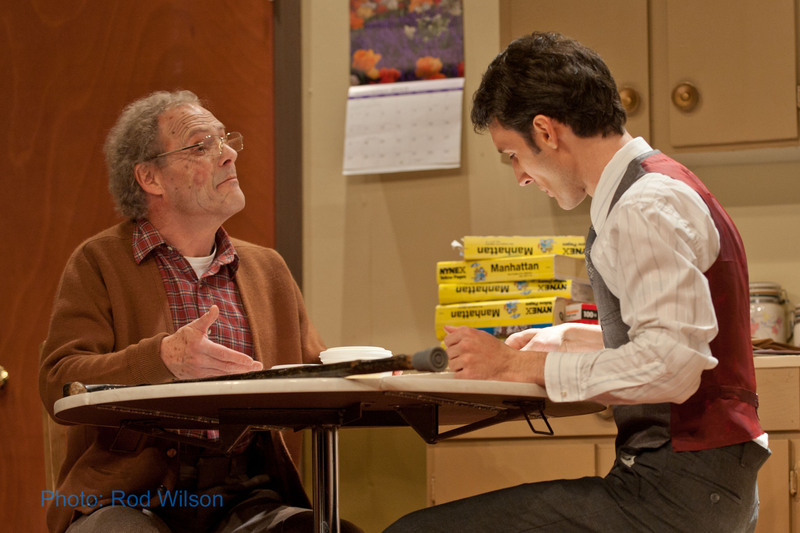 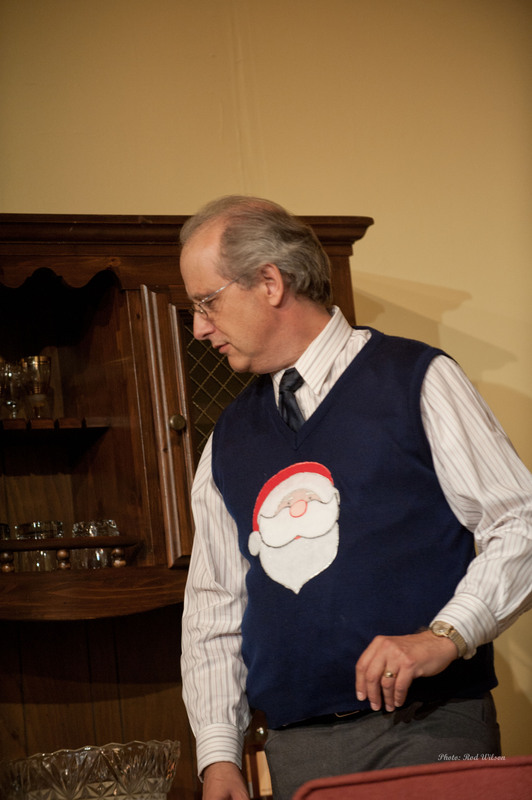 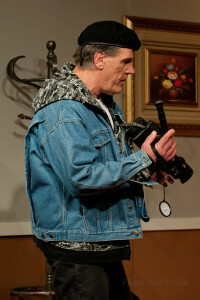 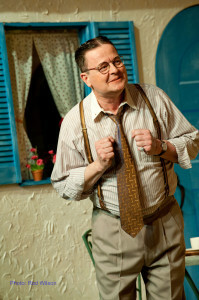 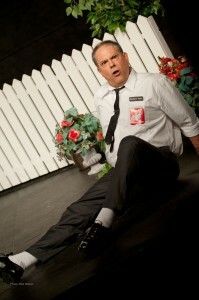 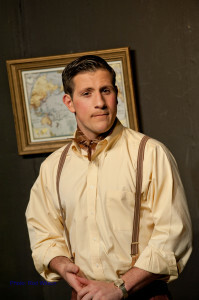 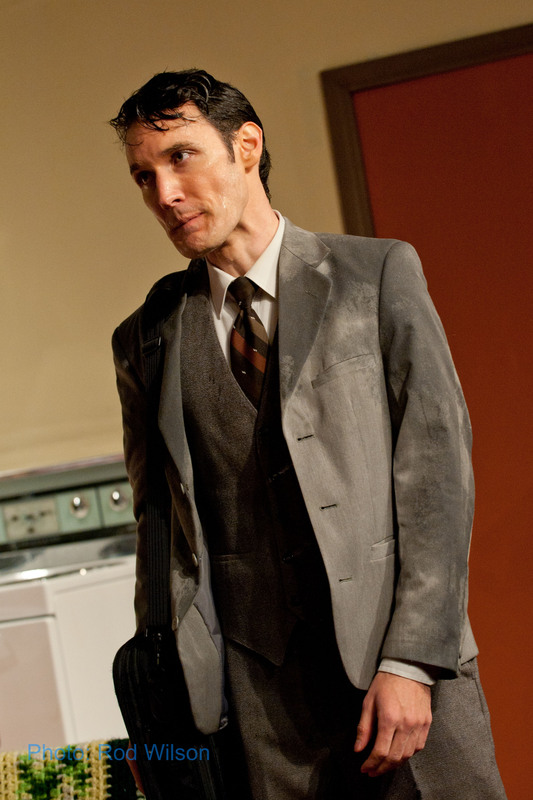 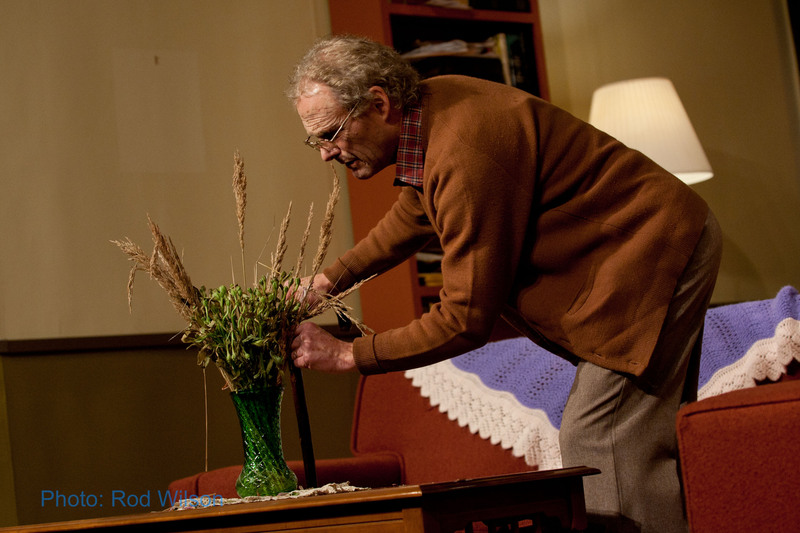 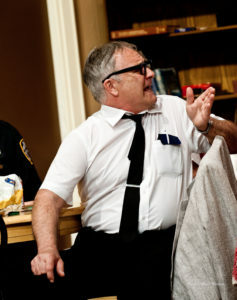 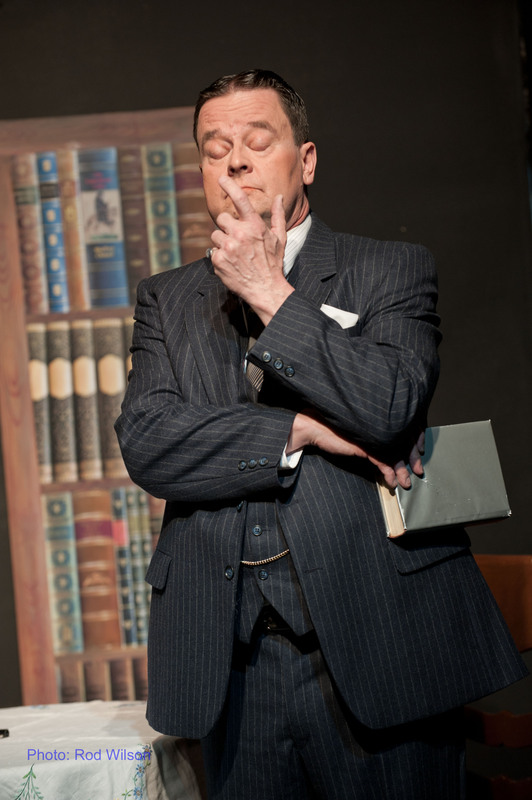 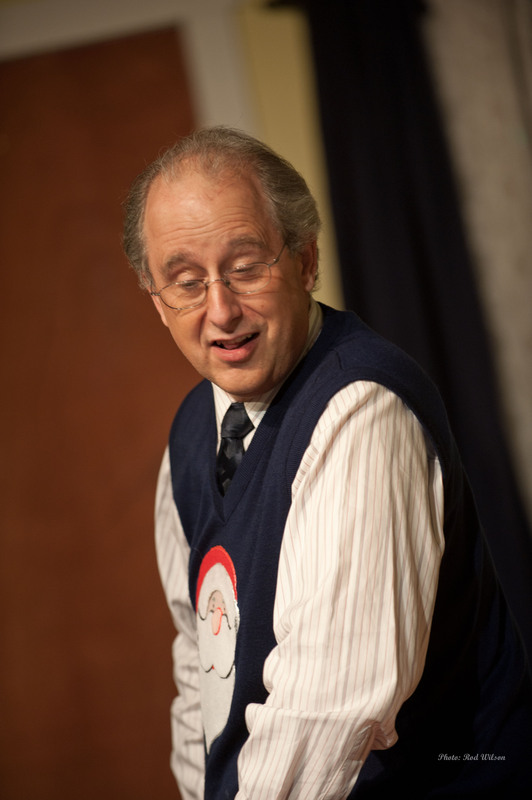 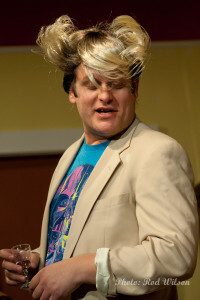 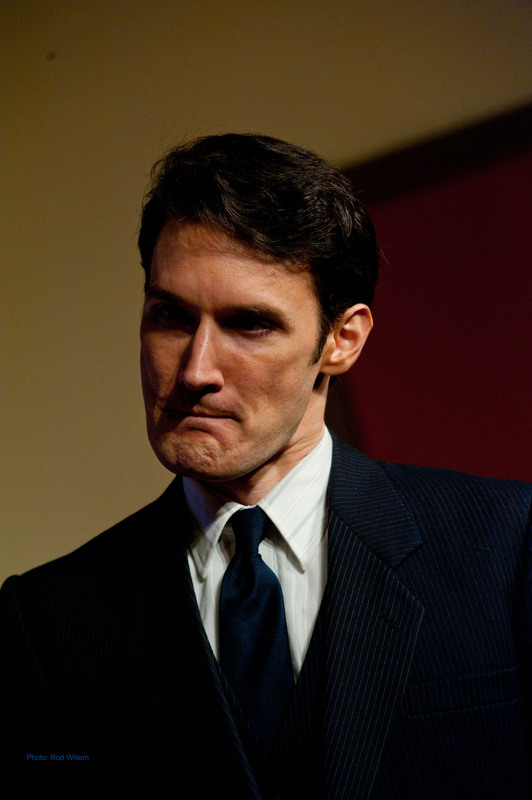 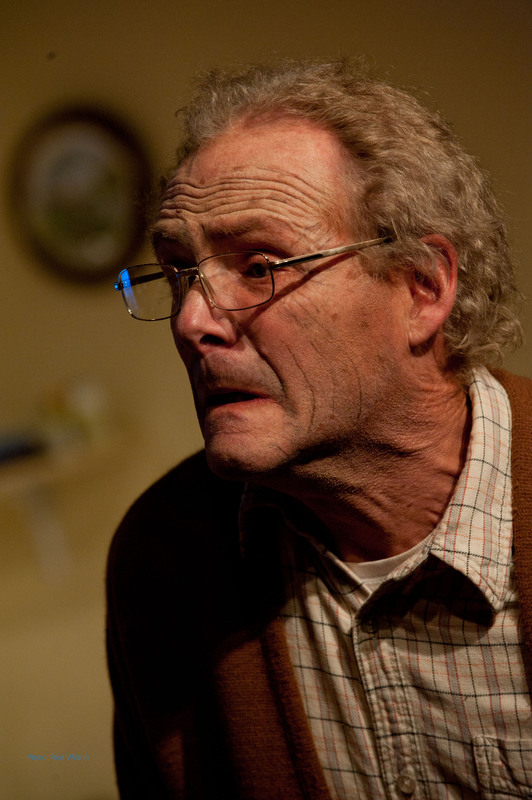 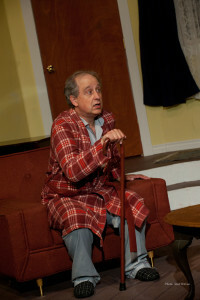 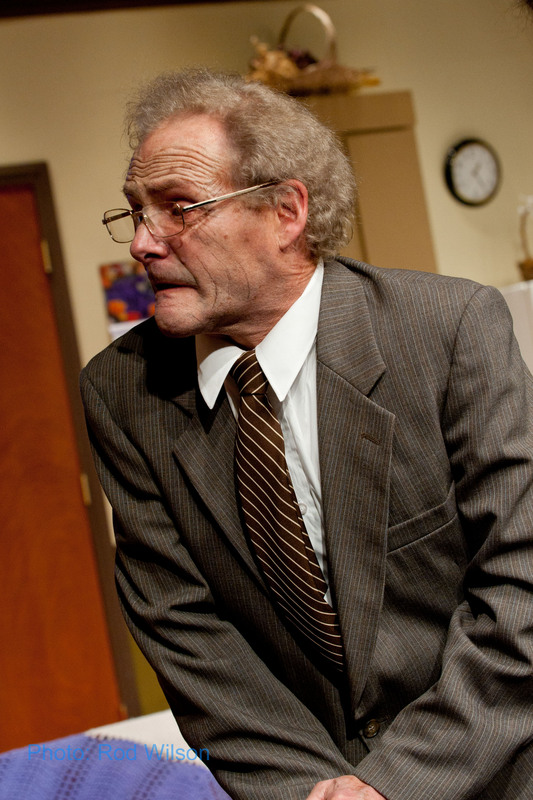 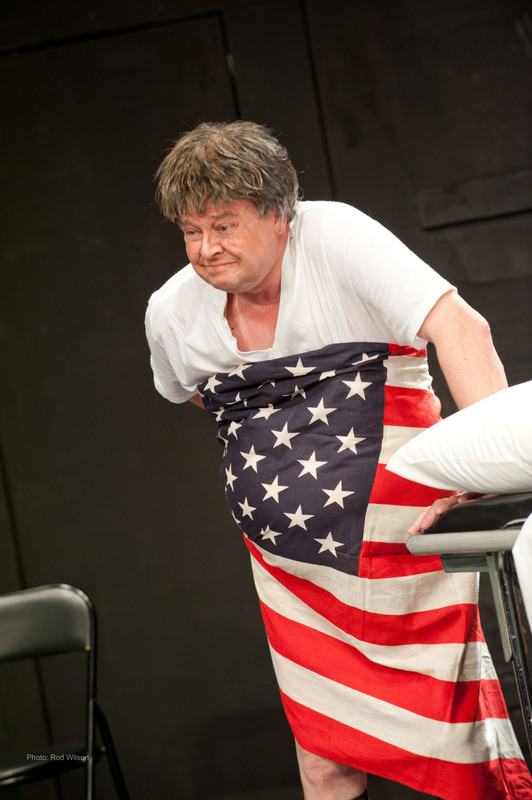 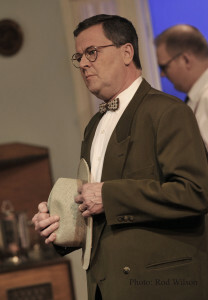 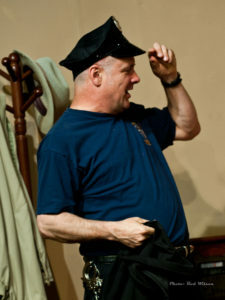 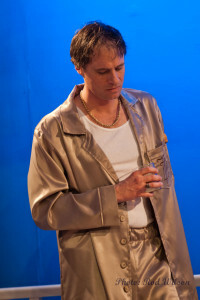 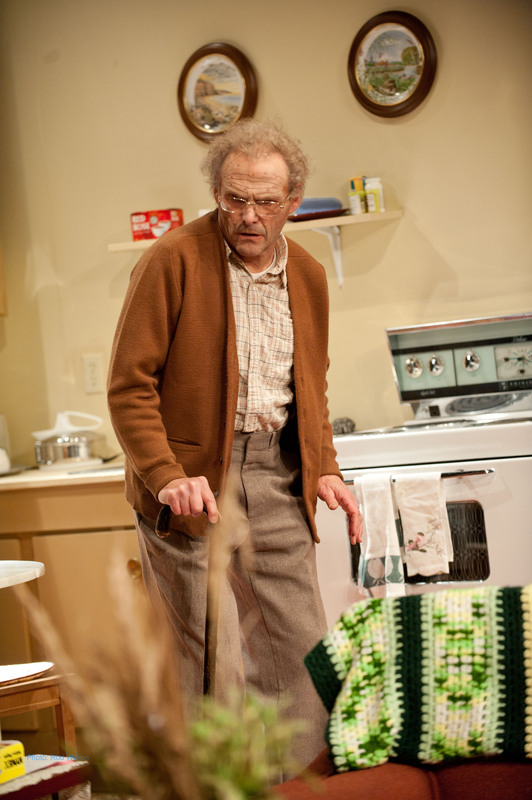 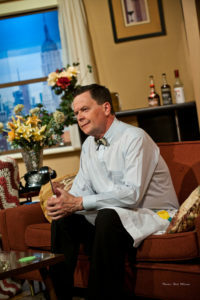 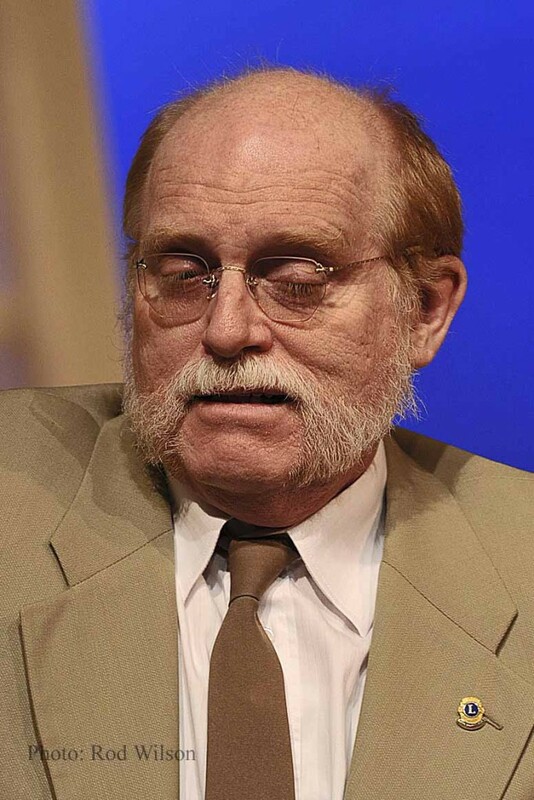 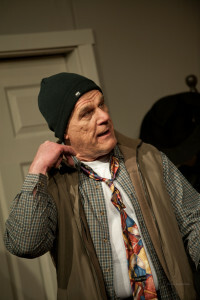 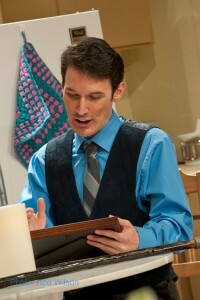 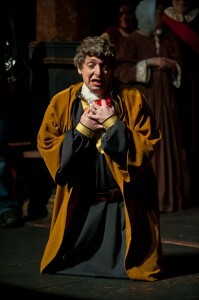 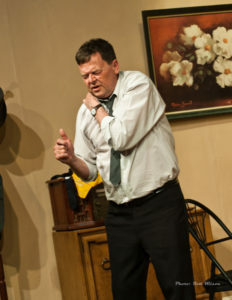 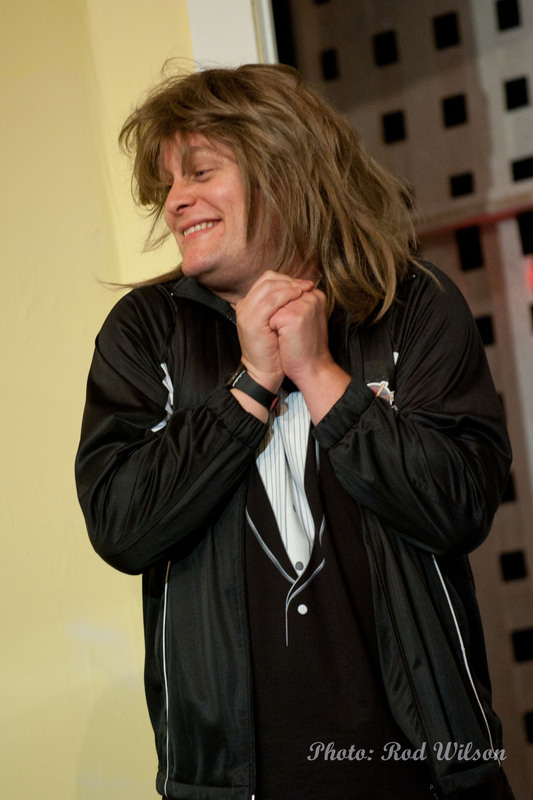 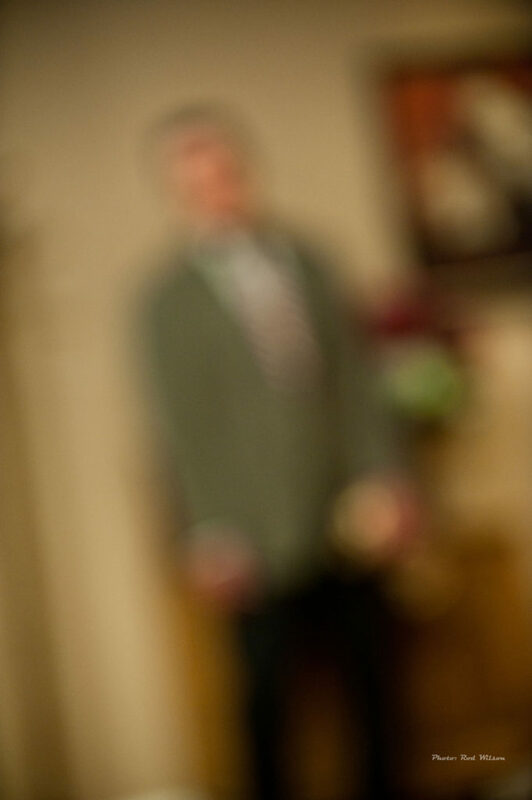 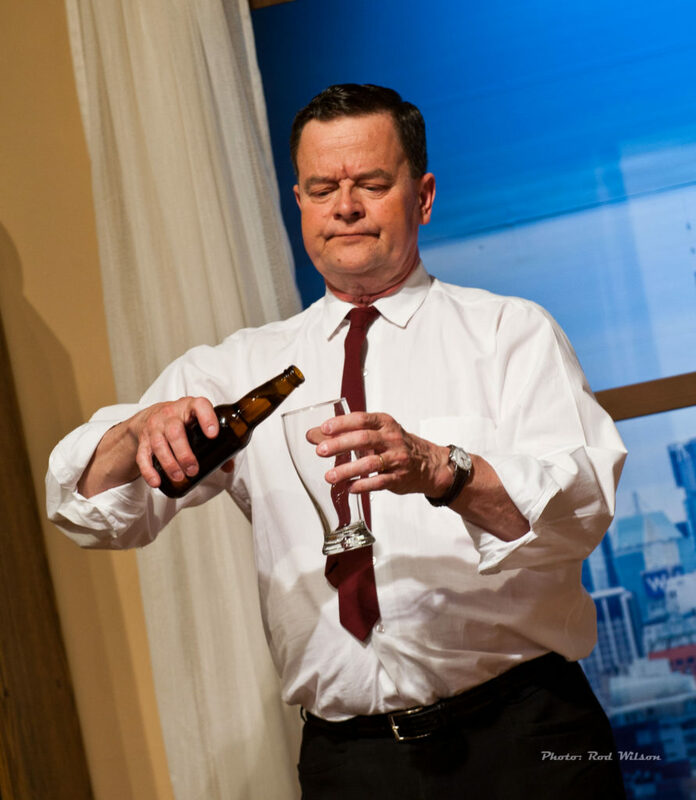 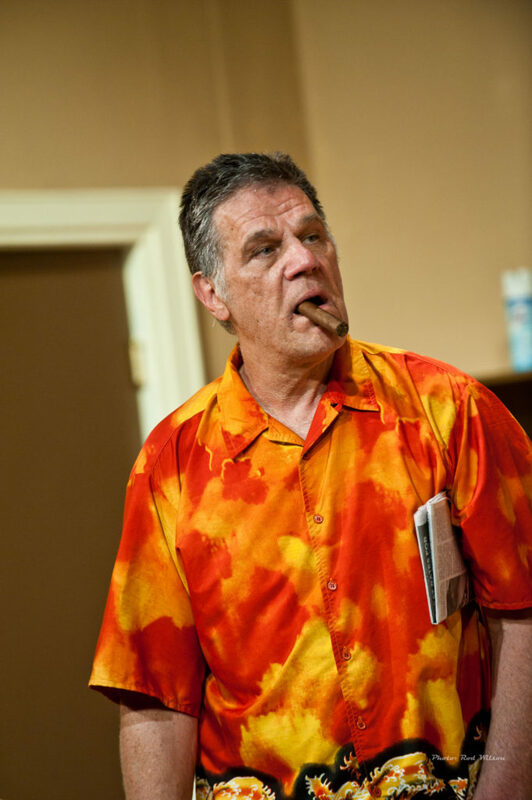 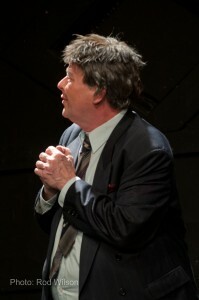 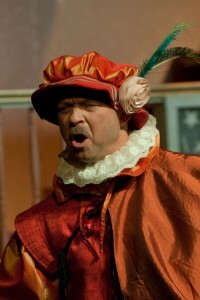 Marion Cheever, played by Peter Schalk, is a man who is unfit, fat and 58 years old. He considers himself unsuitable for any role in the army. 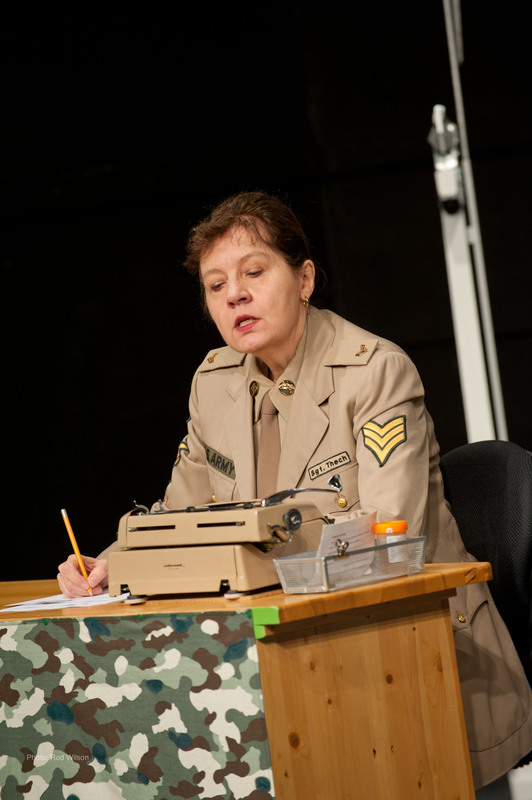 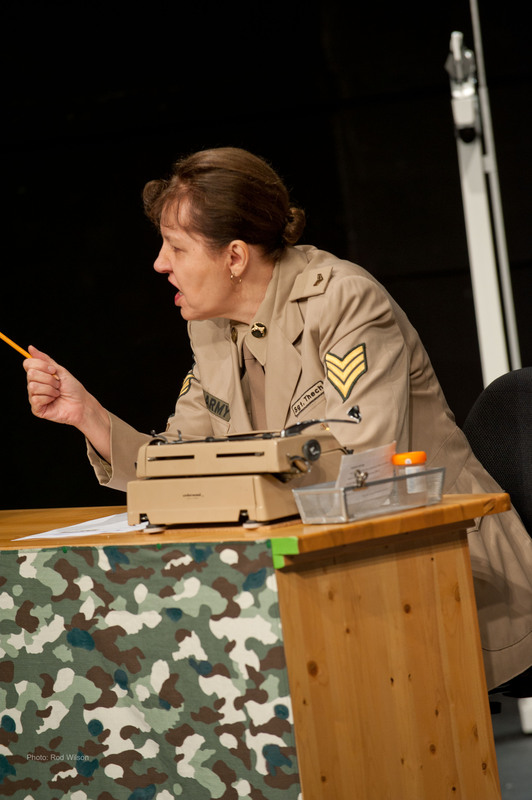 His task is to convince the Army Induction Centre examining officer, Sergeant Thech played by Melodie Hull, of his unsuitability. Peter Schalk, in a manner that he does so well, does that in a maniac tour-de-force. Melodie, in contrast, is a solid sea of stern calmness. 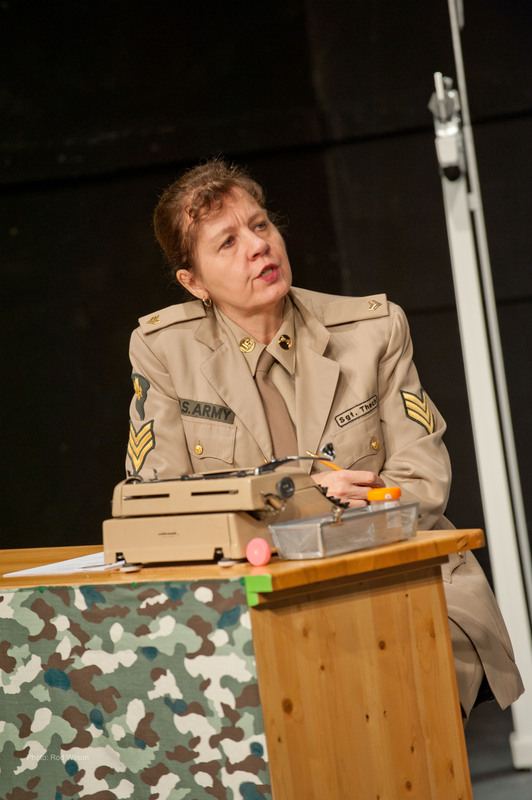 During the Vietnam war era I am sure the army examiners were exposed to all manners of the absurd behavior by conscripts trying to avoid the draft. 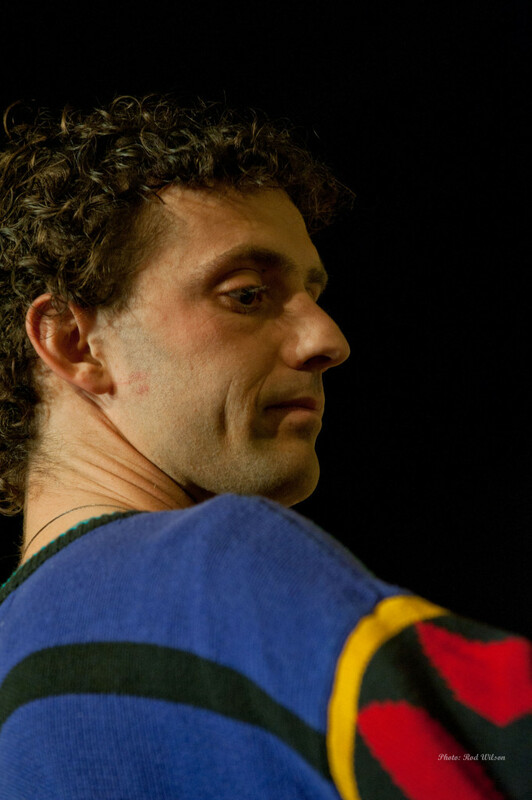 This scene reminds me of a scene in the classic cult movie Big Wednesday when all the local surfers, in their efforts to avoid military service, show up as physical and mental head cases. All this in an effort to prove they are unsuitable material to serve in the army. 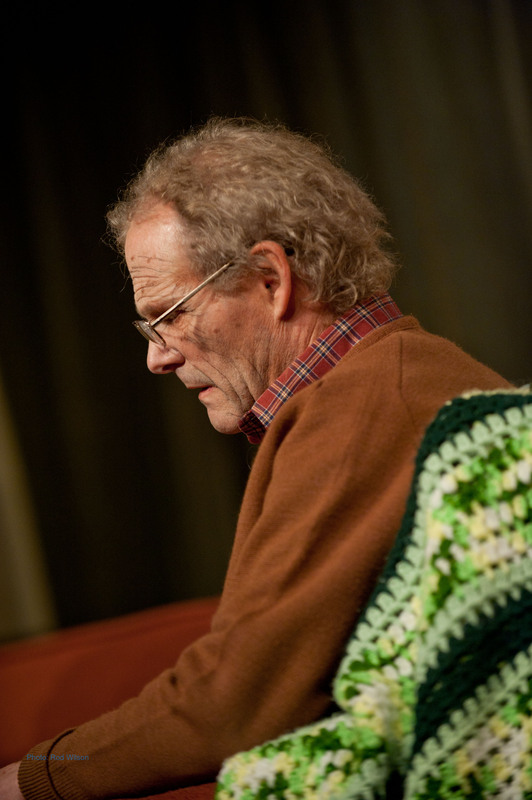 For Marion, in the end, the evidence is overwhelming but once declared unsuitable the outcome is a little unsettling for Marion. 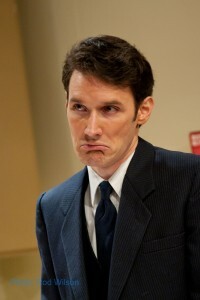 He has achieved what he set out to do but he seems to have some trouble accepting the rejection. 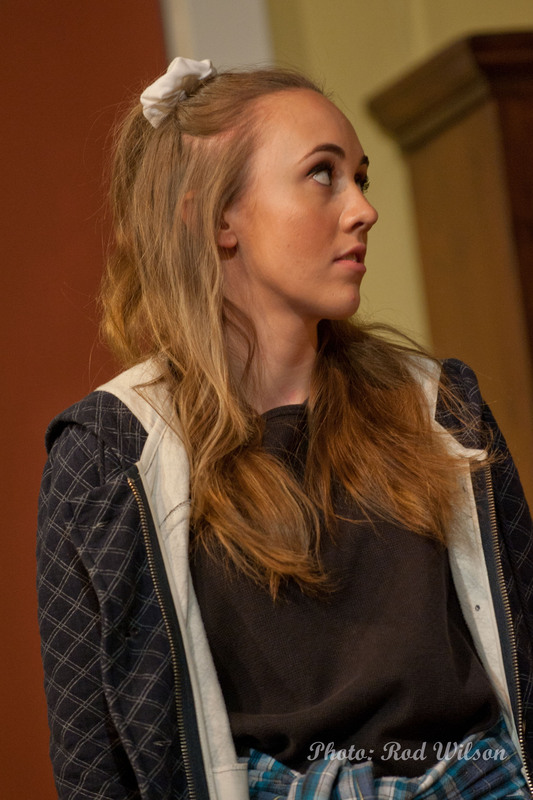 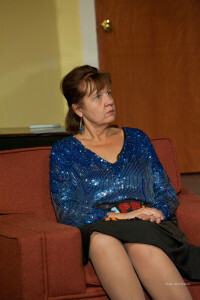 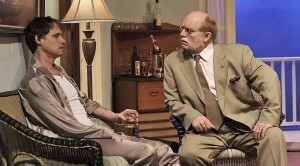 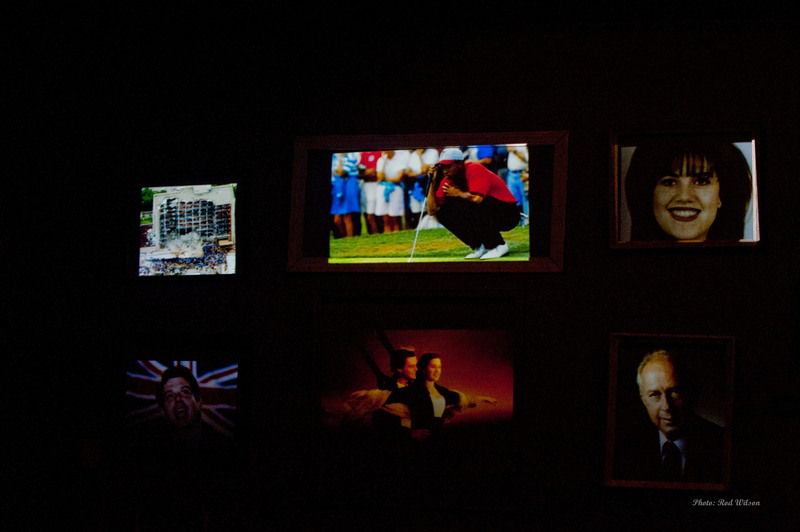 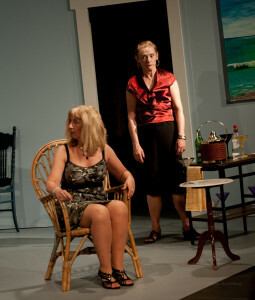 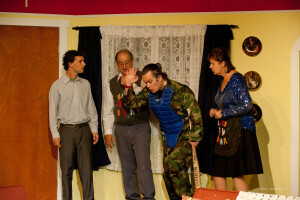 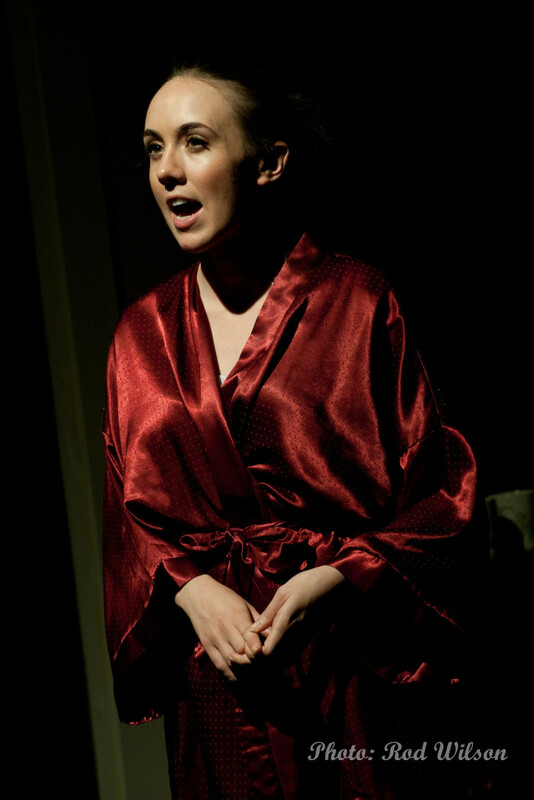 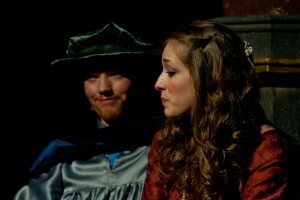 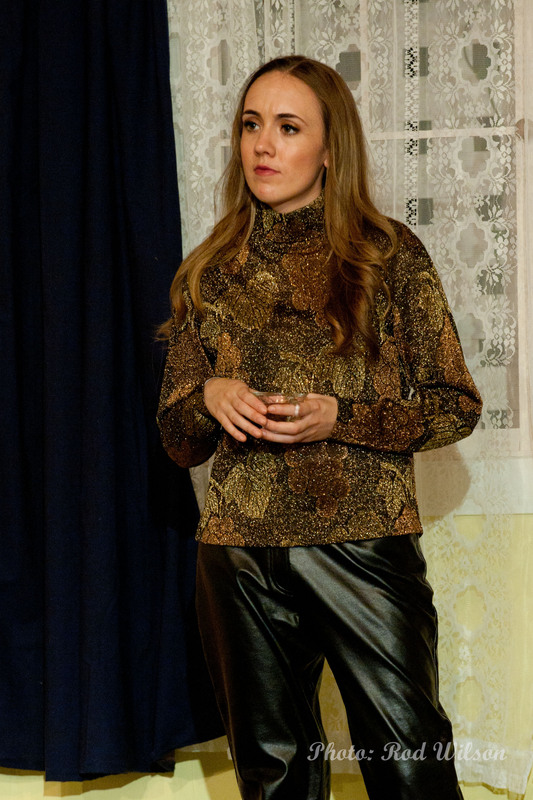 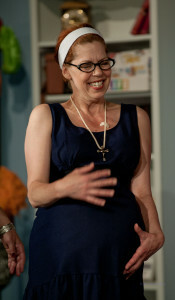 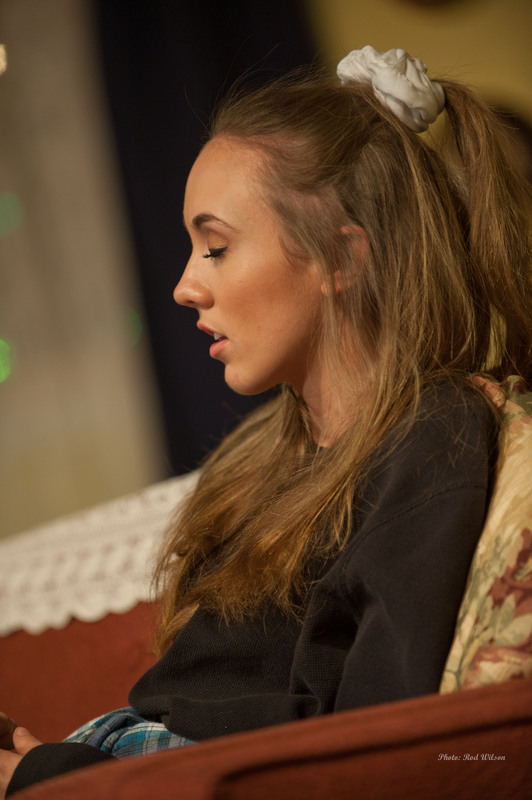 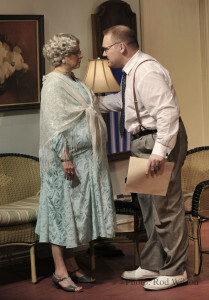 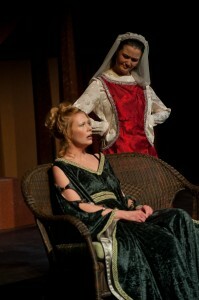 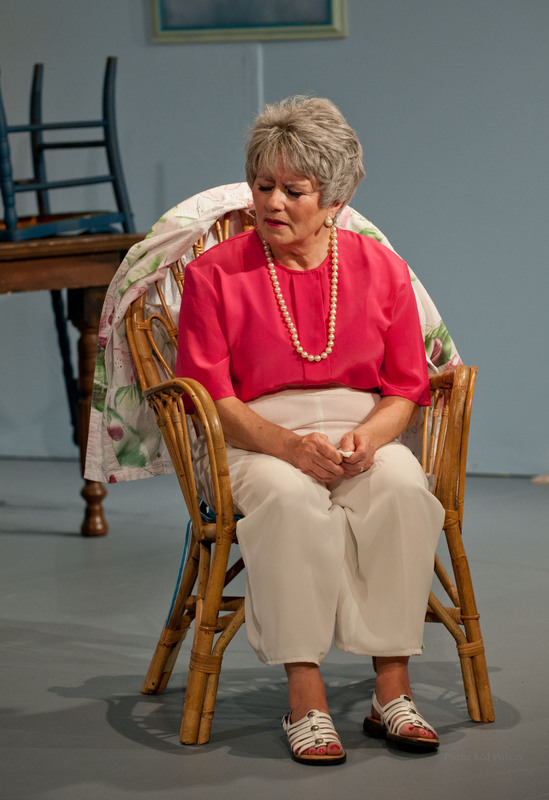 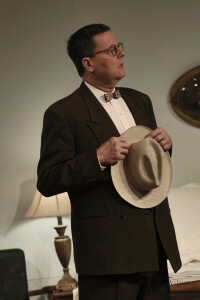 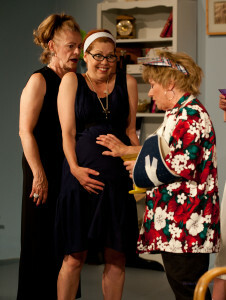 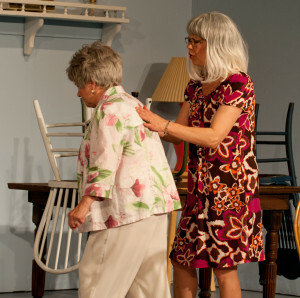 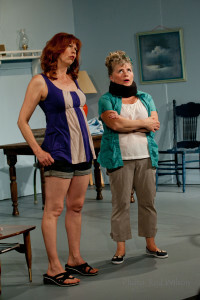 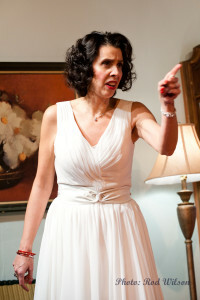 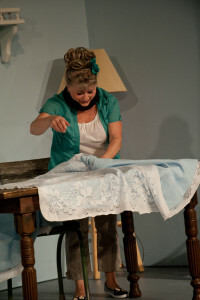 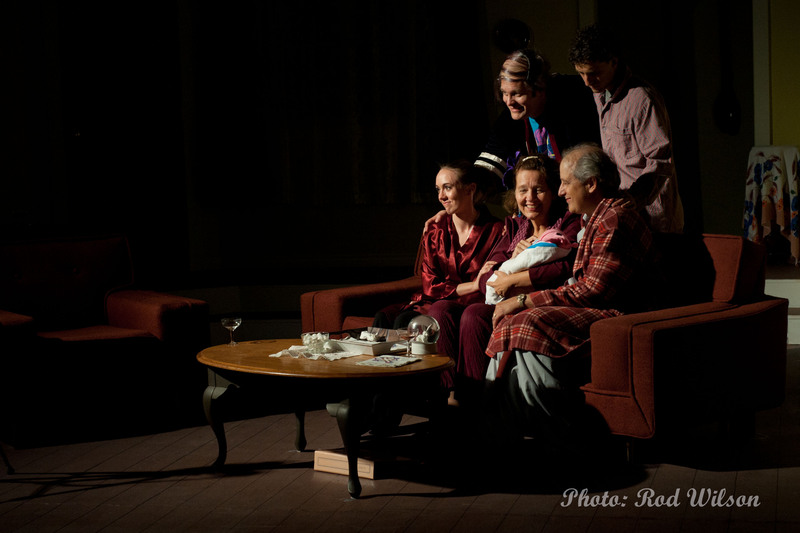 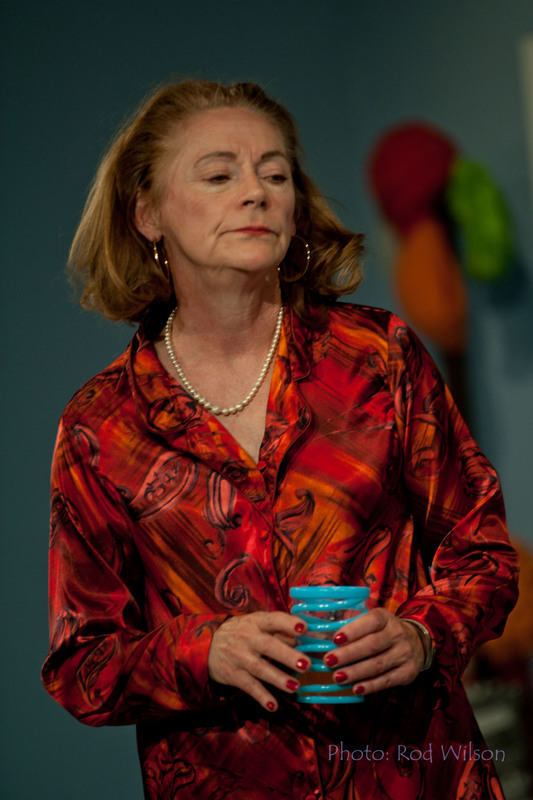 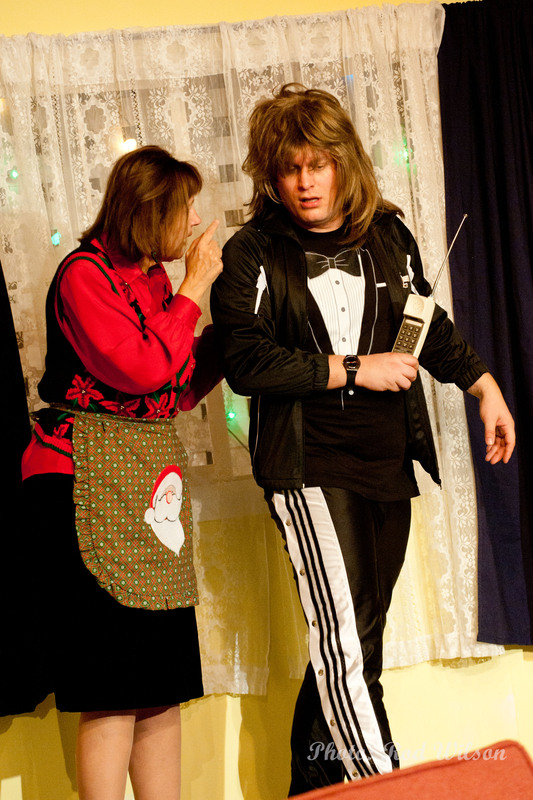 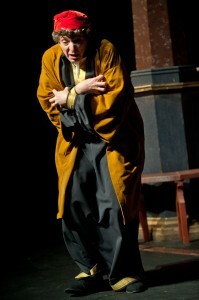 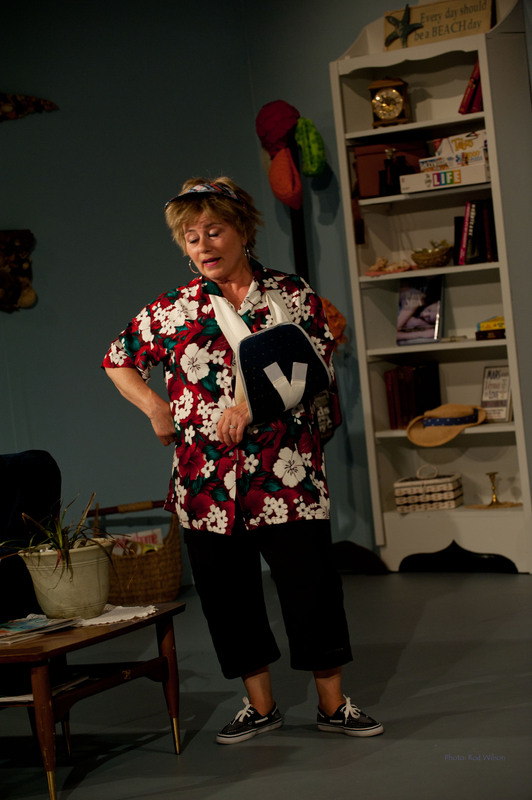 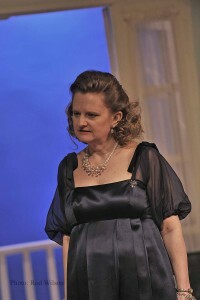 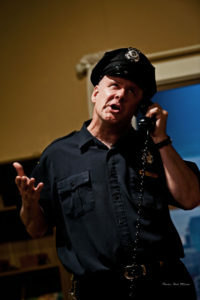 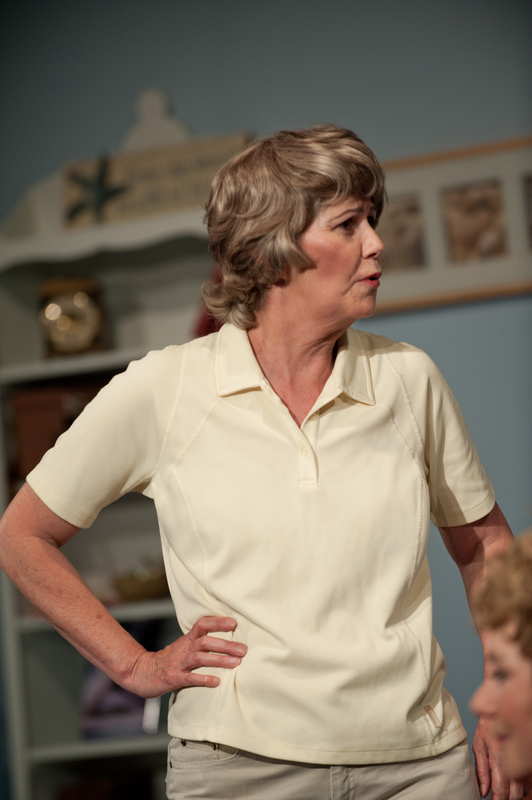 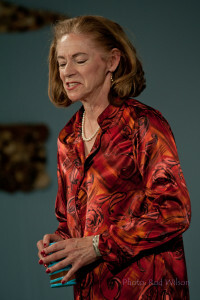 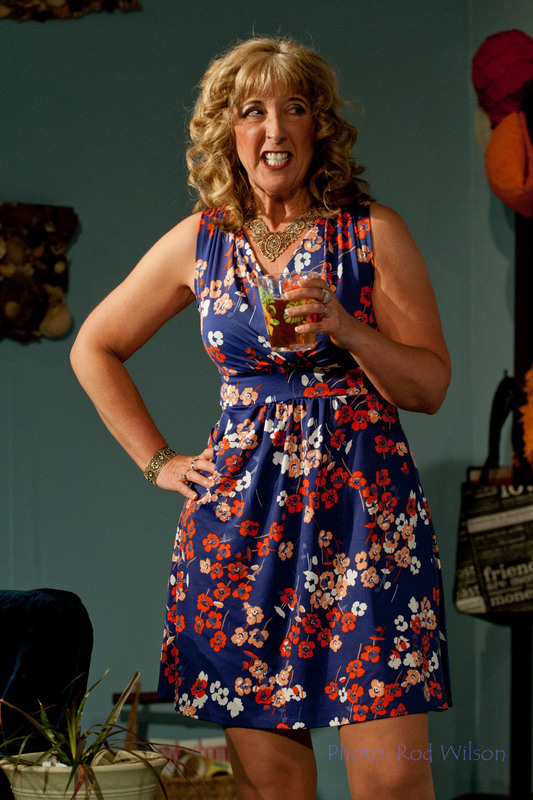 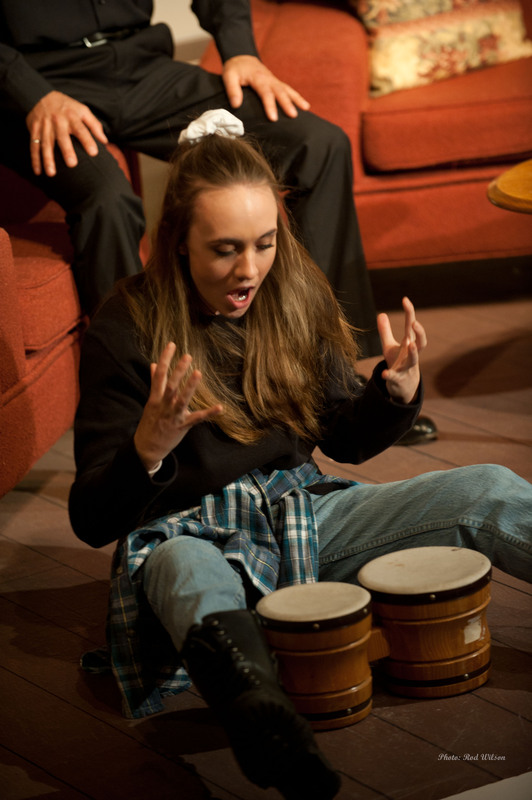 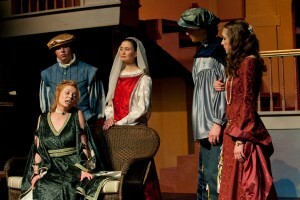 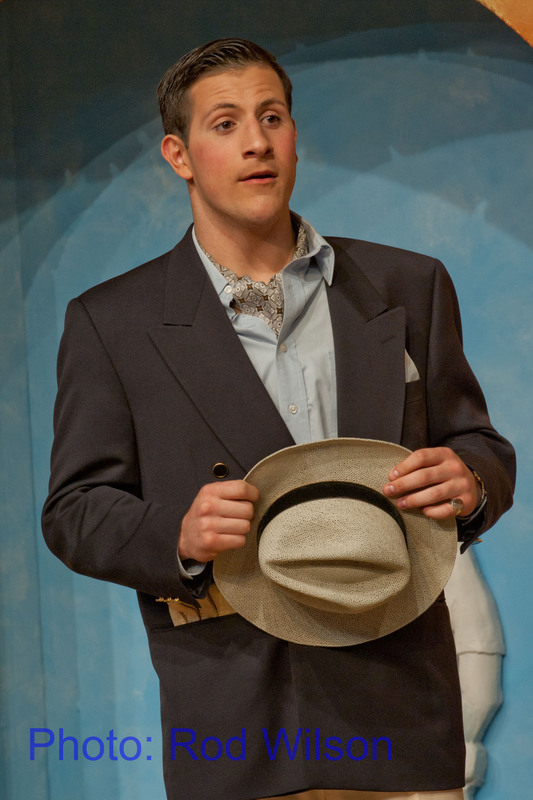 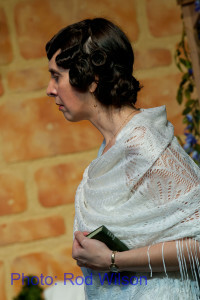 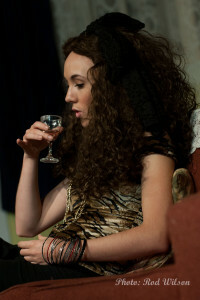 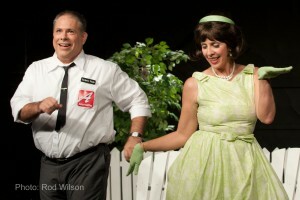 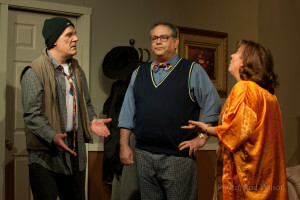 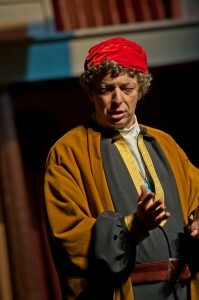 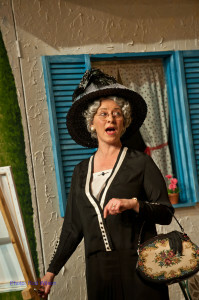 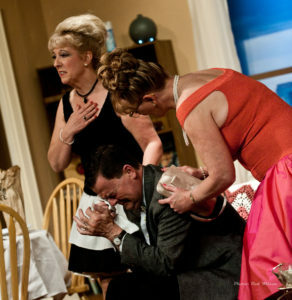 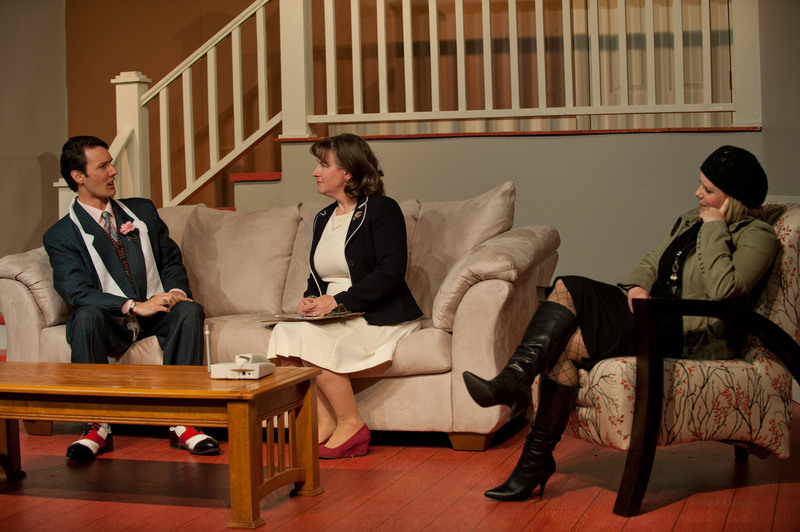 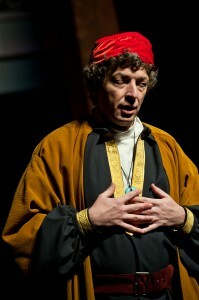 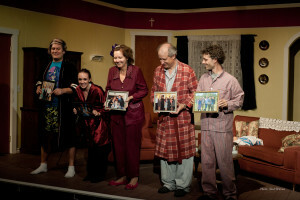 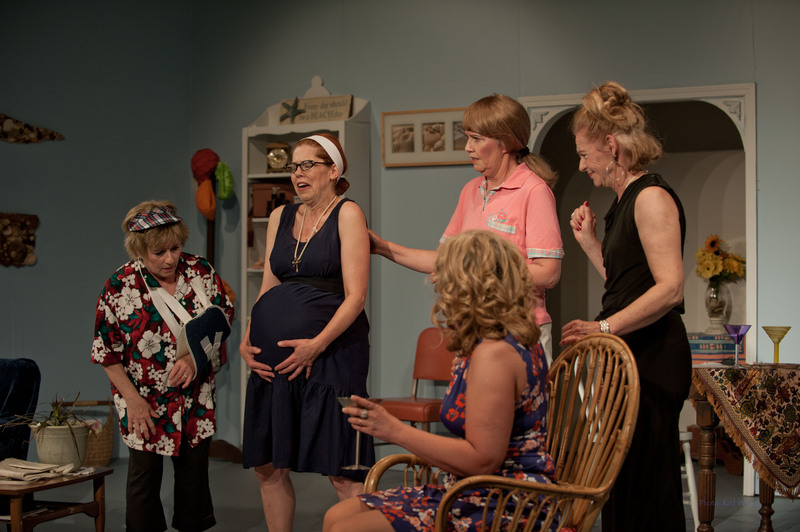 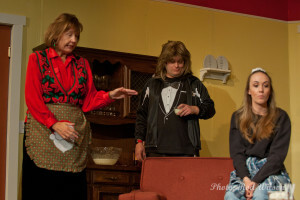 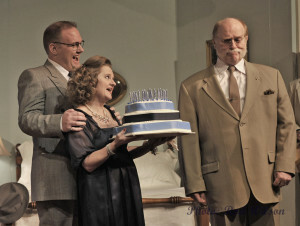 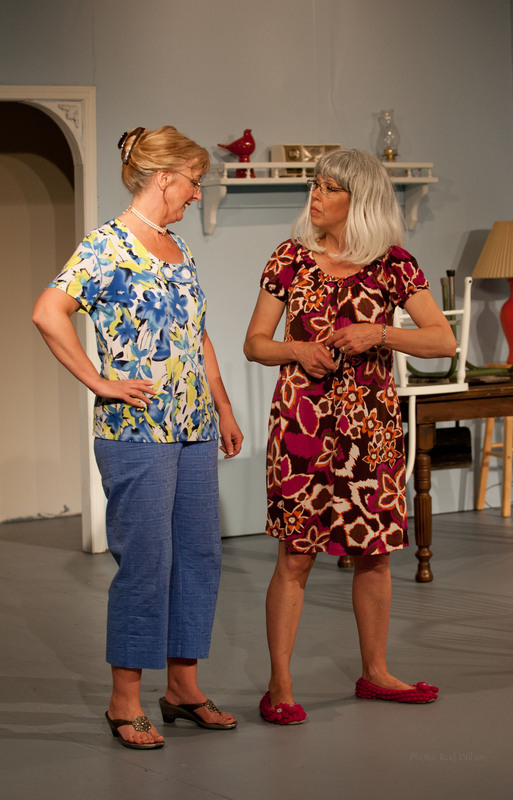 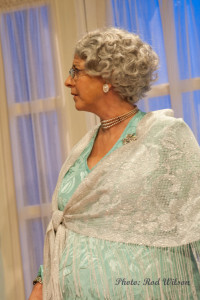 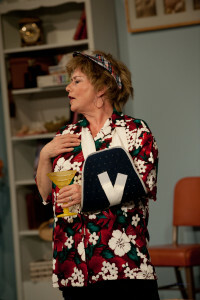 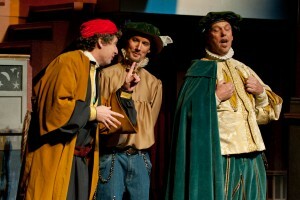 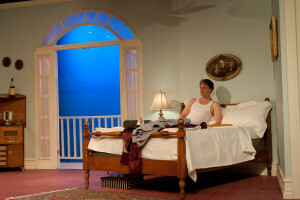 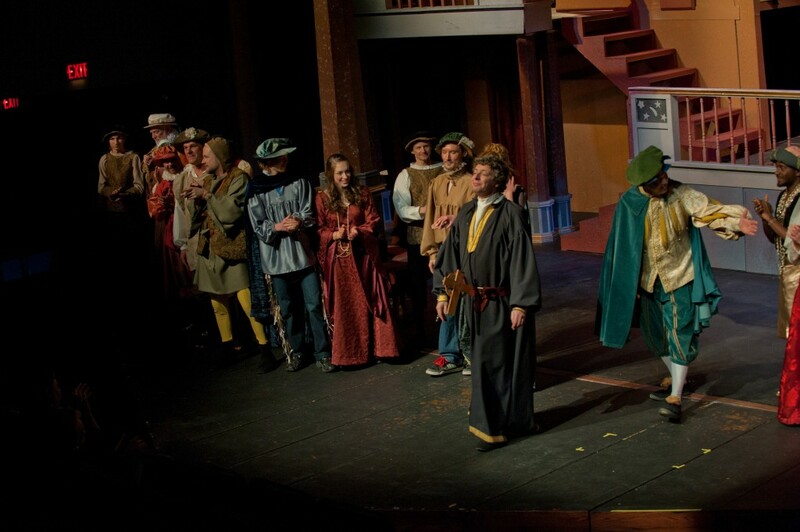 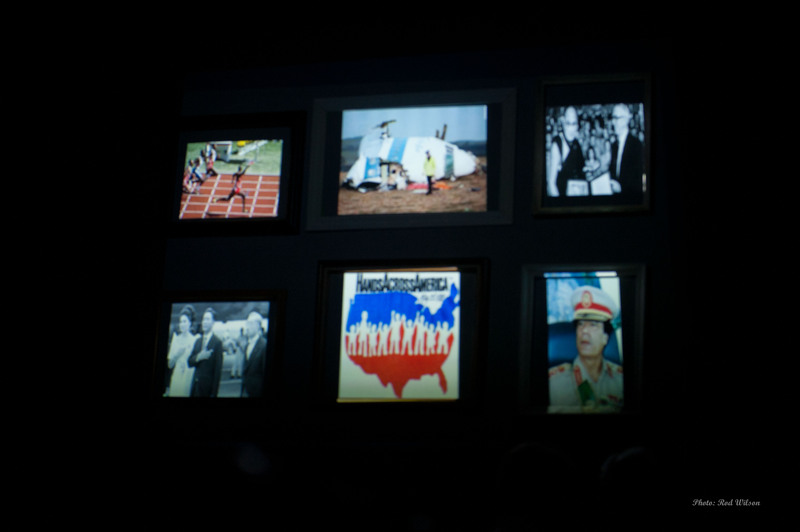 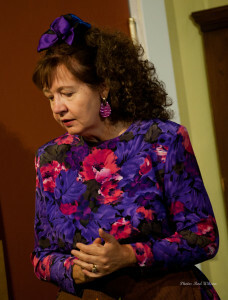 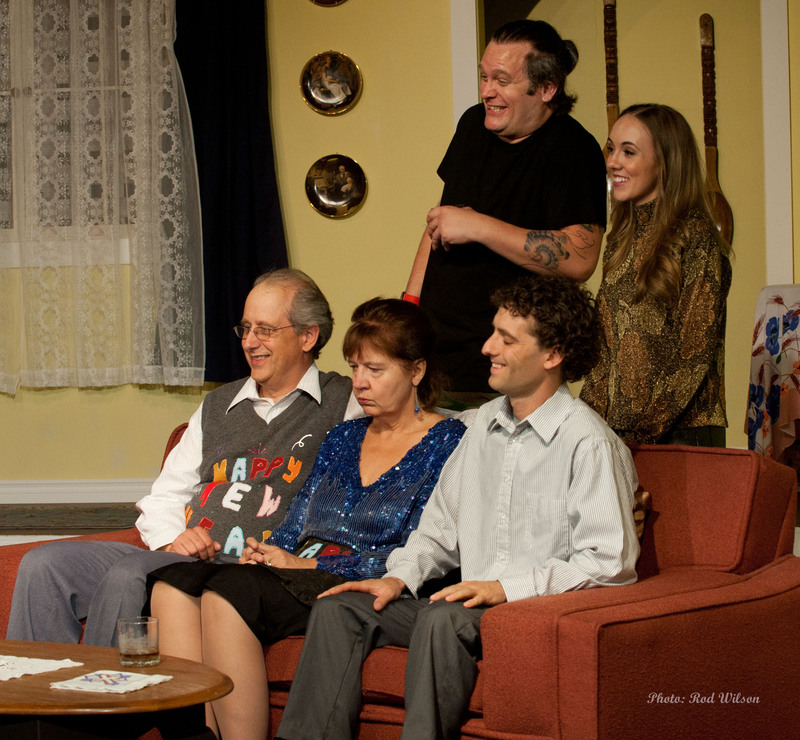 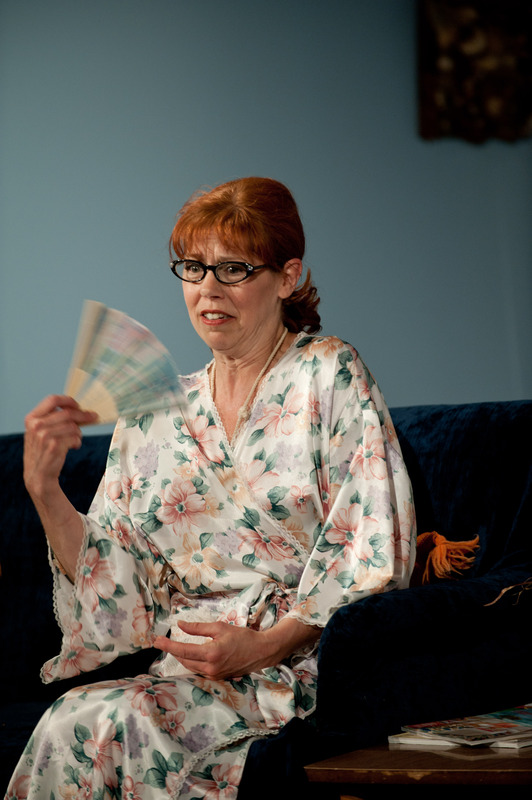 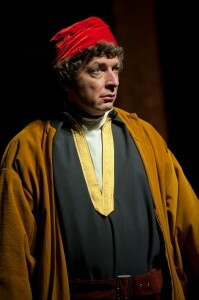 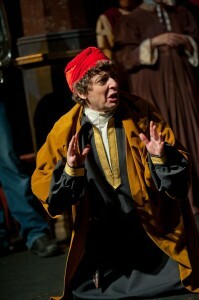 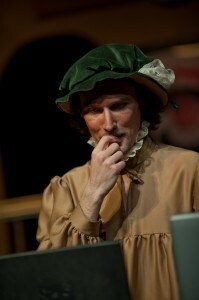 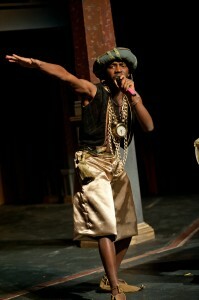 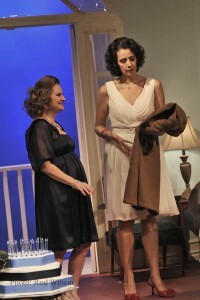 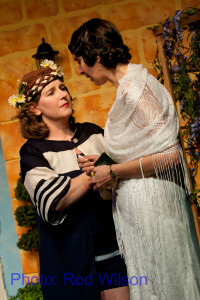 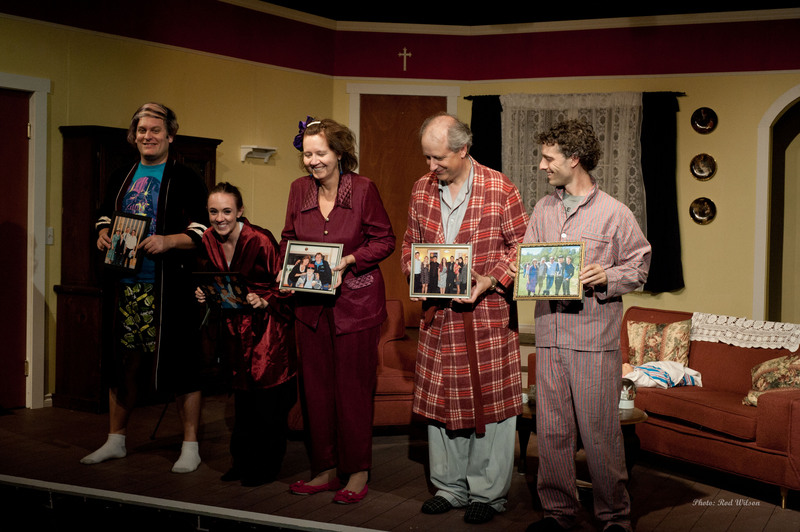 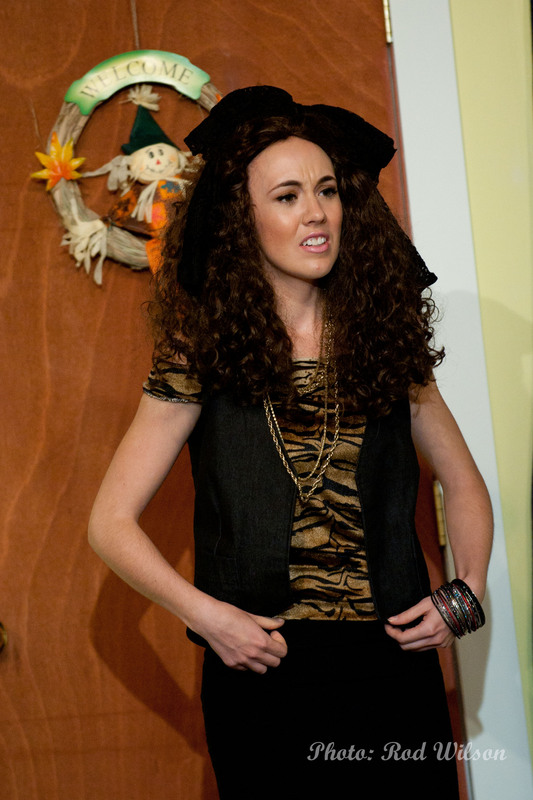 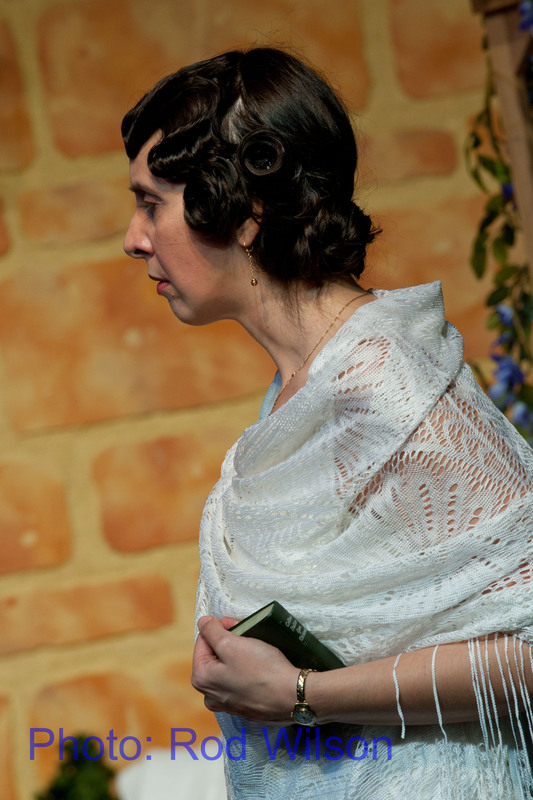 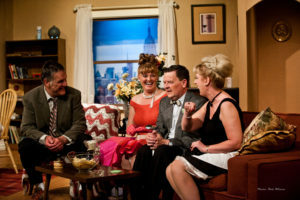 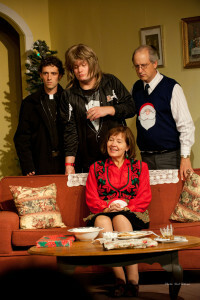 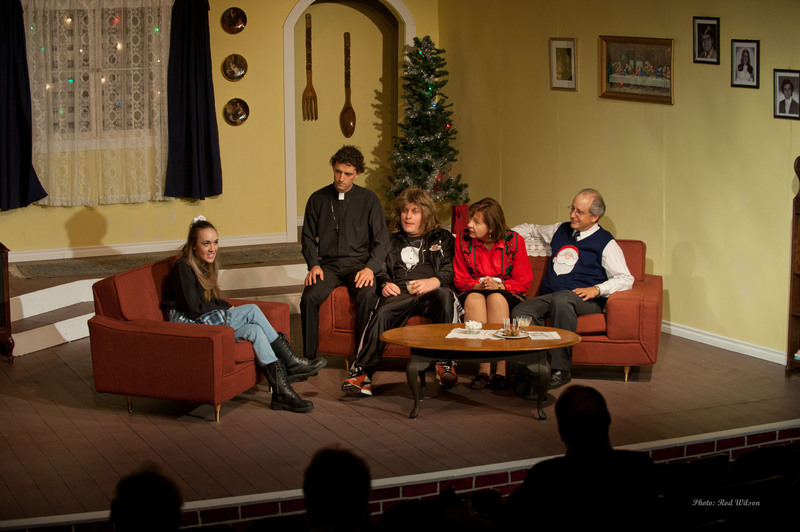 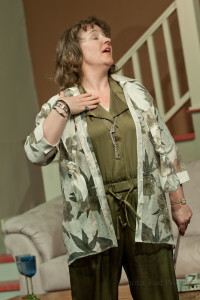 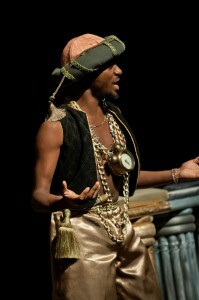 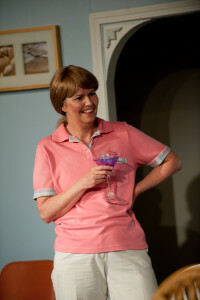 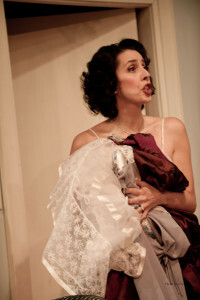 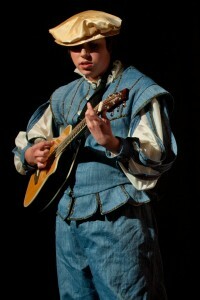 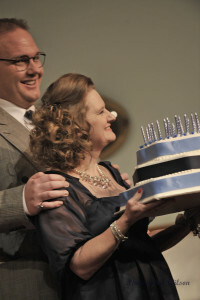 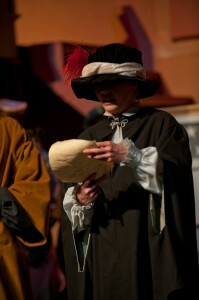 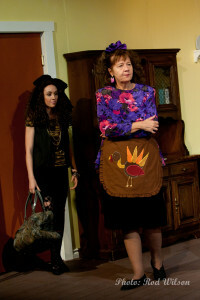 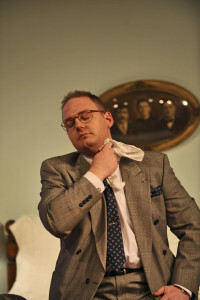 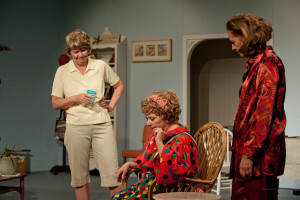 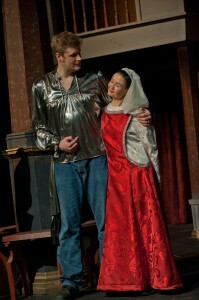 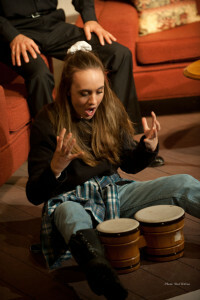 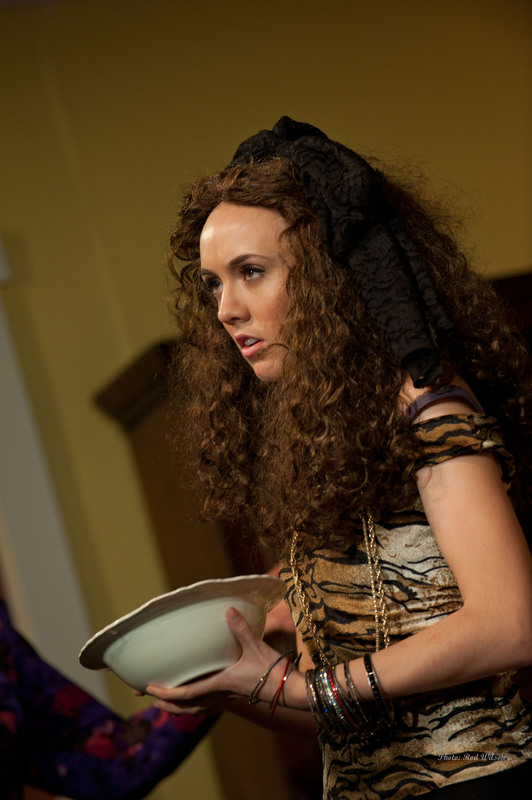 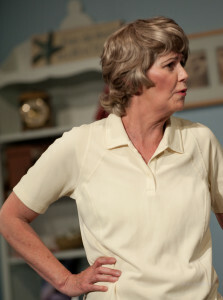 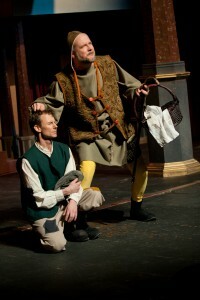 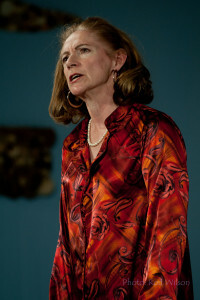 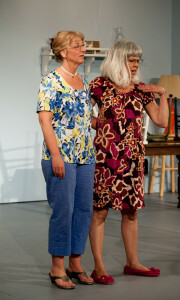 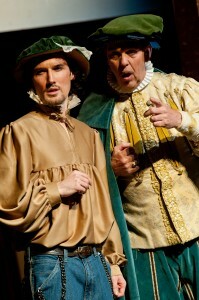 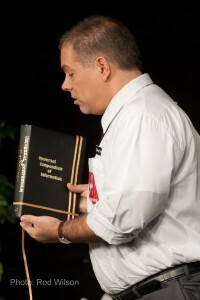 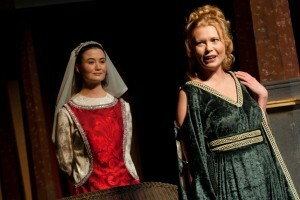 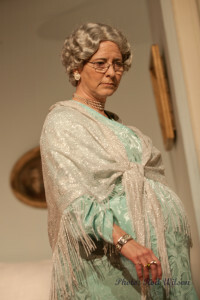 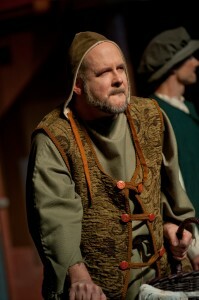 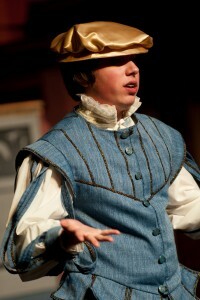 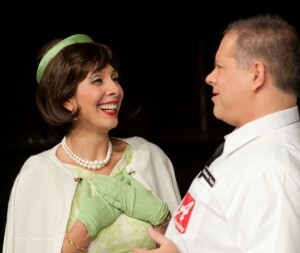 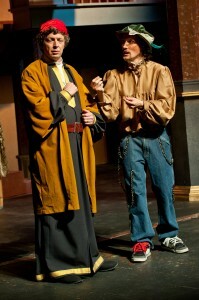 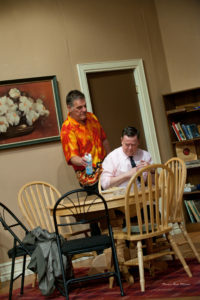 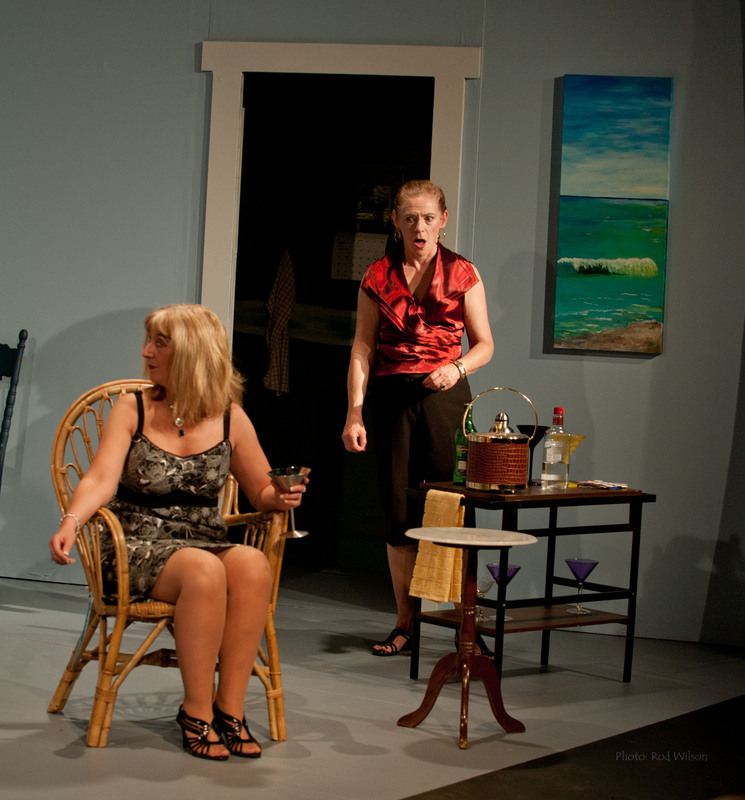 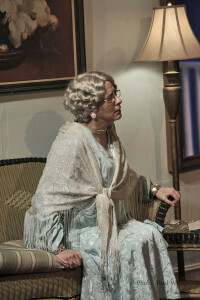 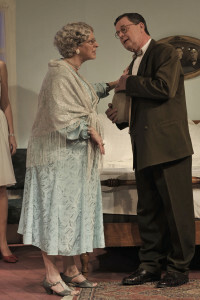 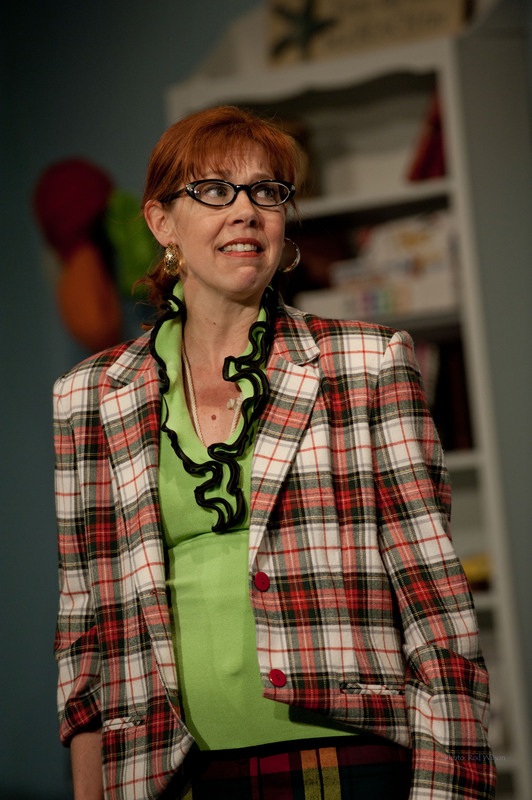 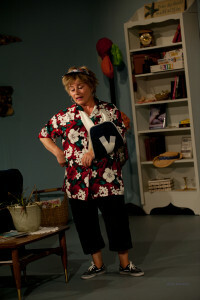 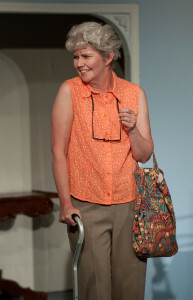 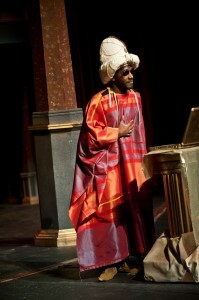 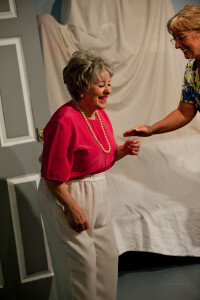 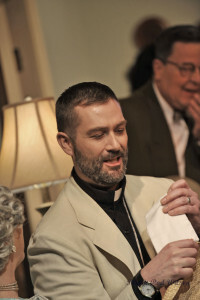 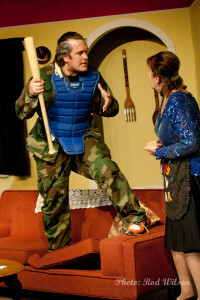 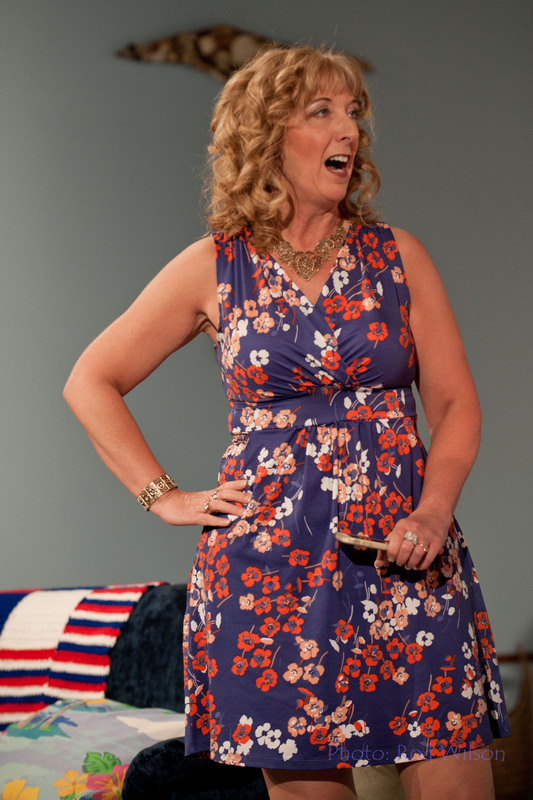 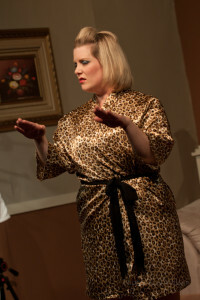 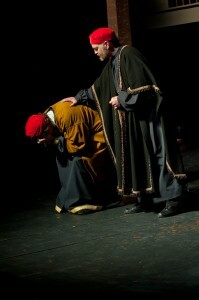 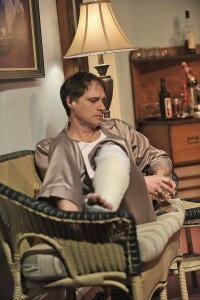 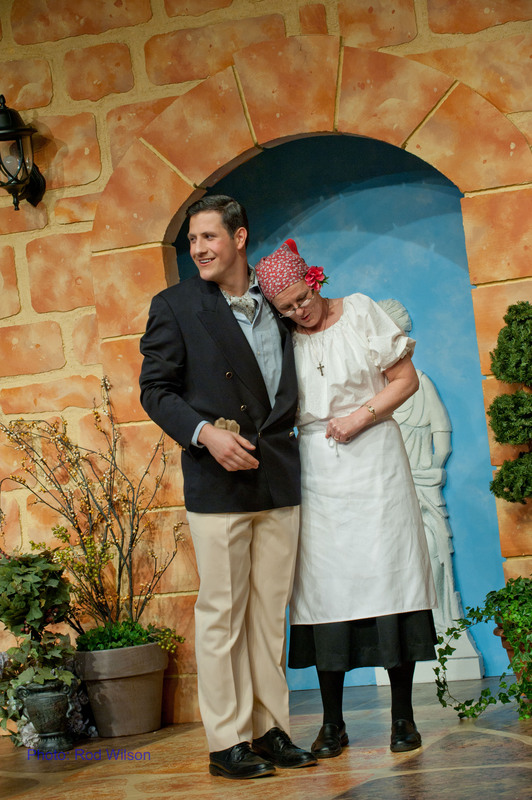 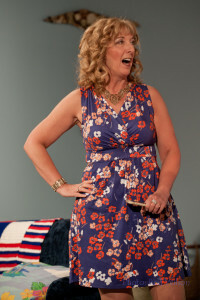 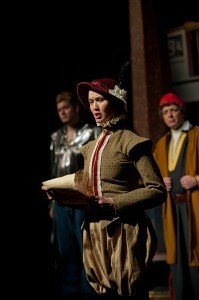 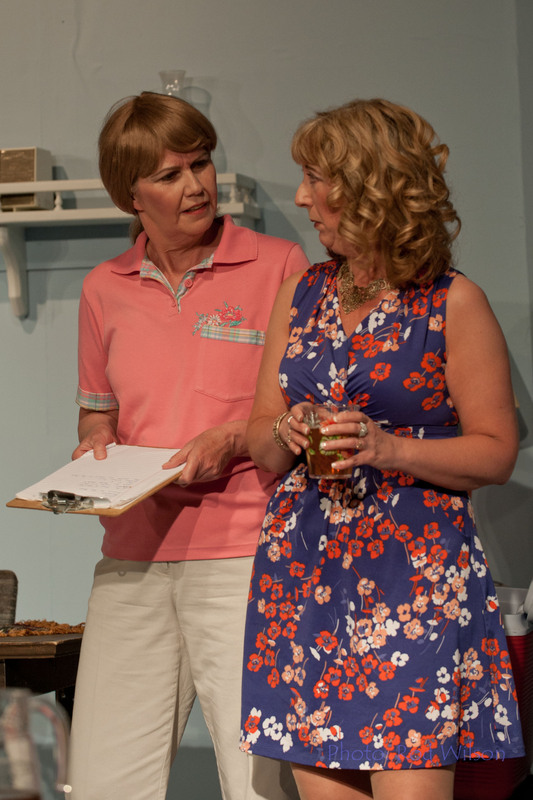 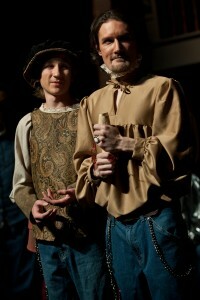 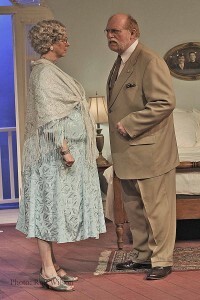 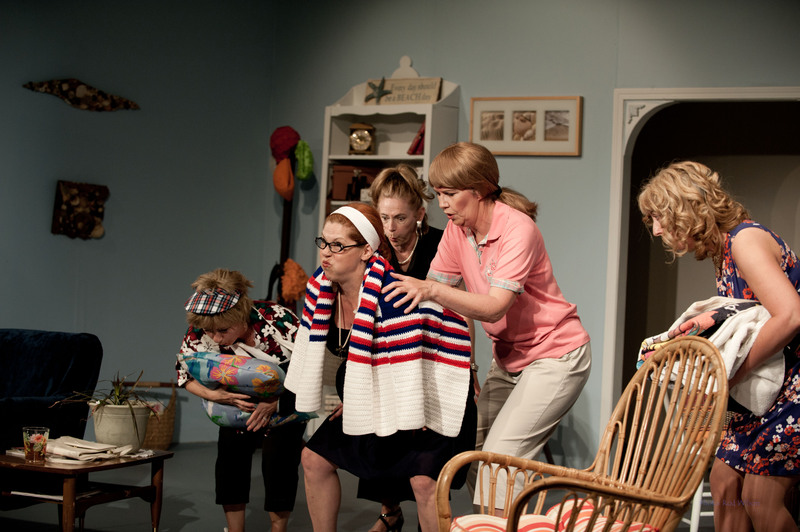 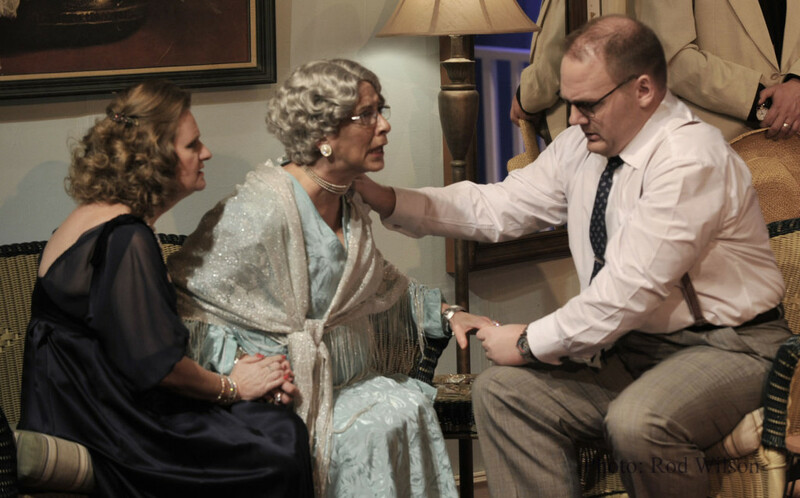 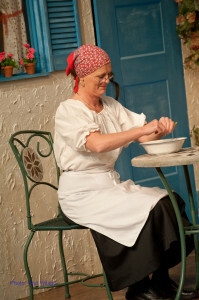 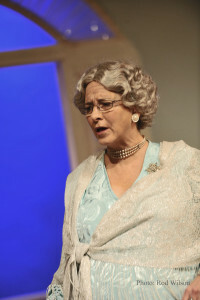 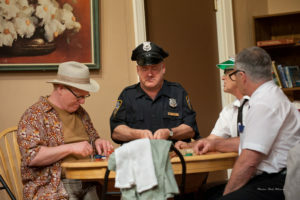 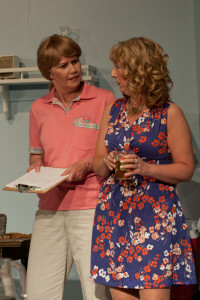 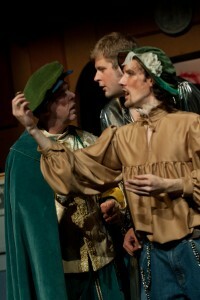 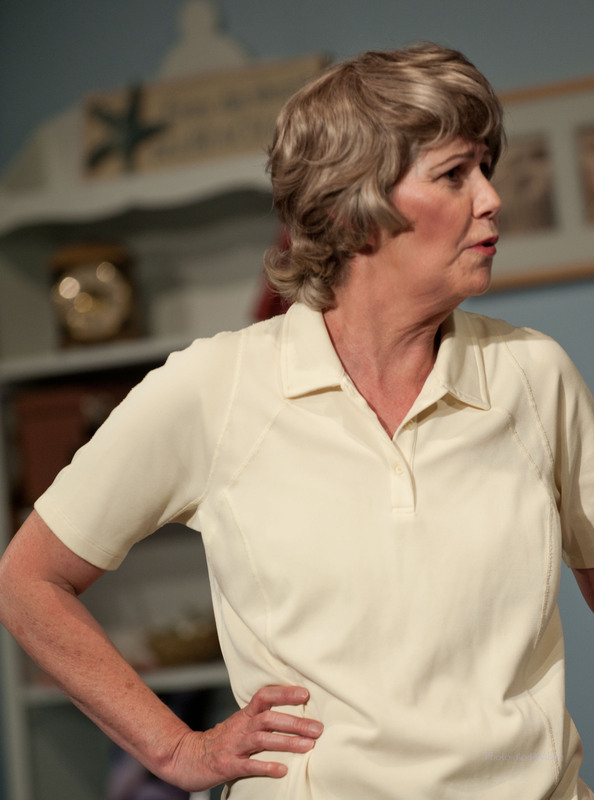 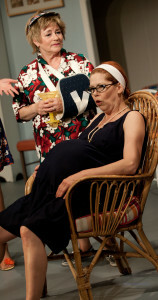 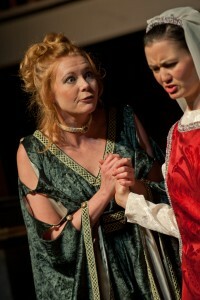 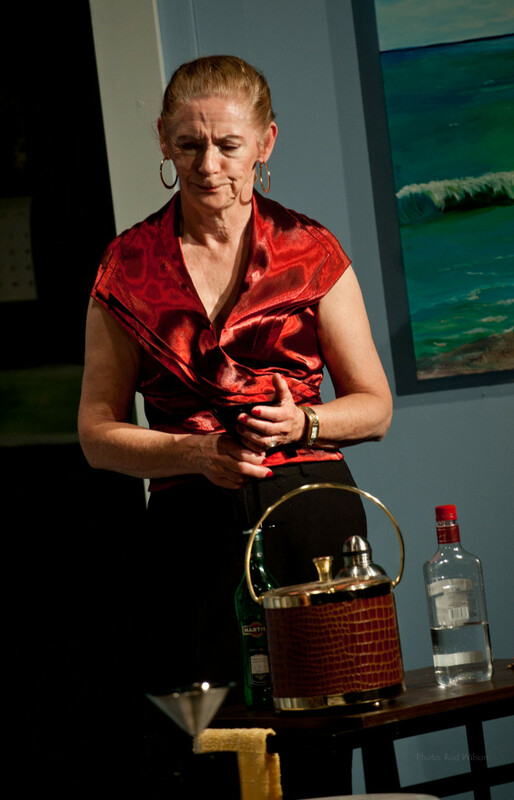 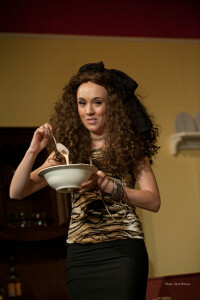 Here are some images from the play. 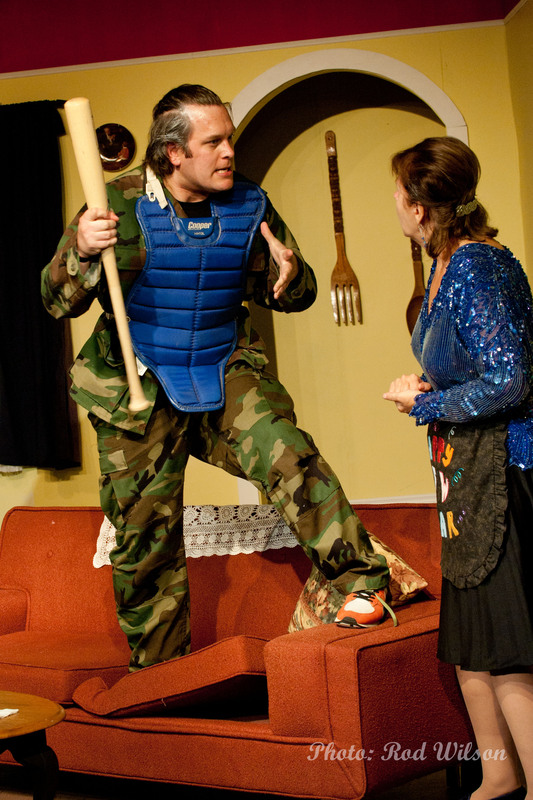 This play is another good reason to miss a TV hockey game.